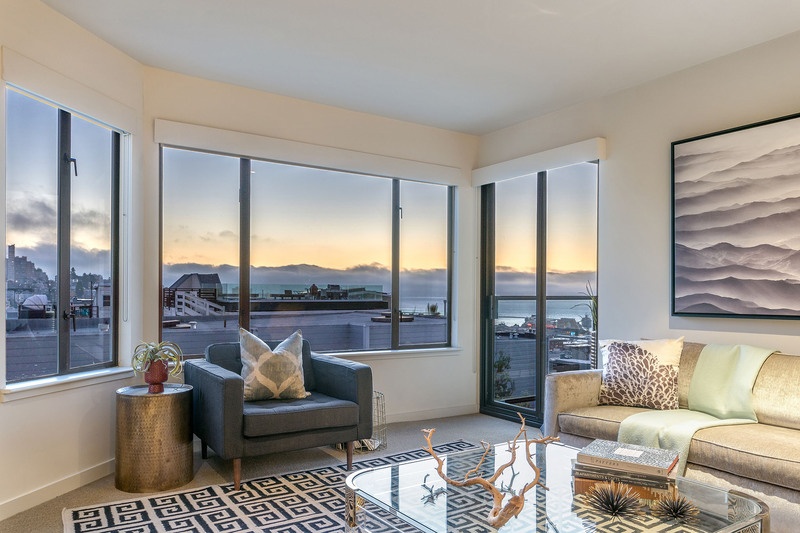 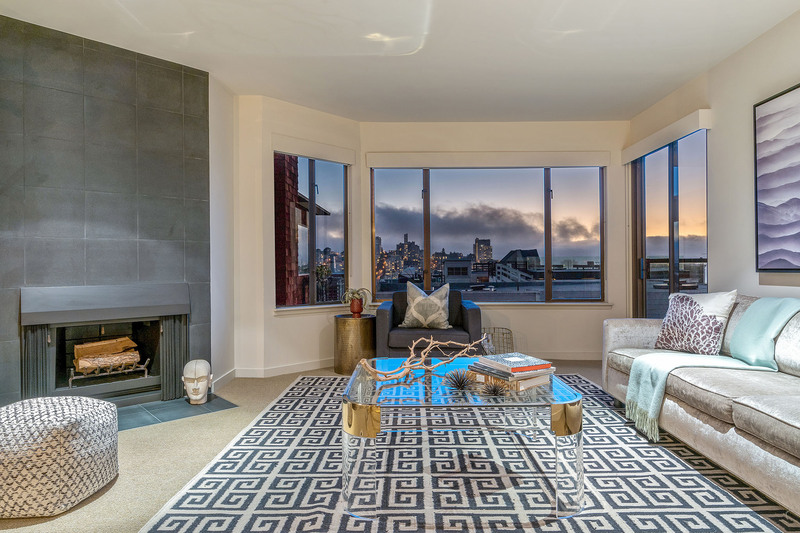 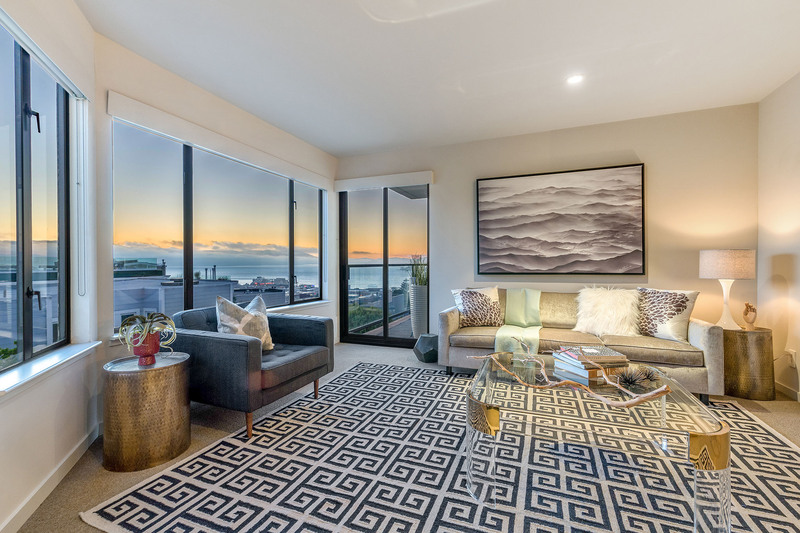 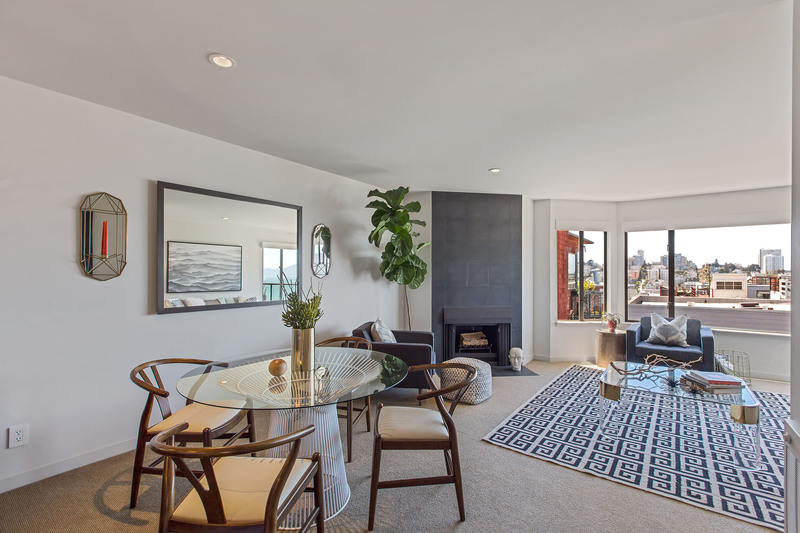 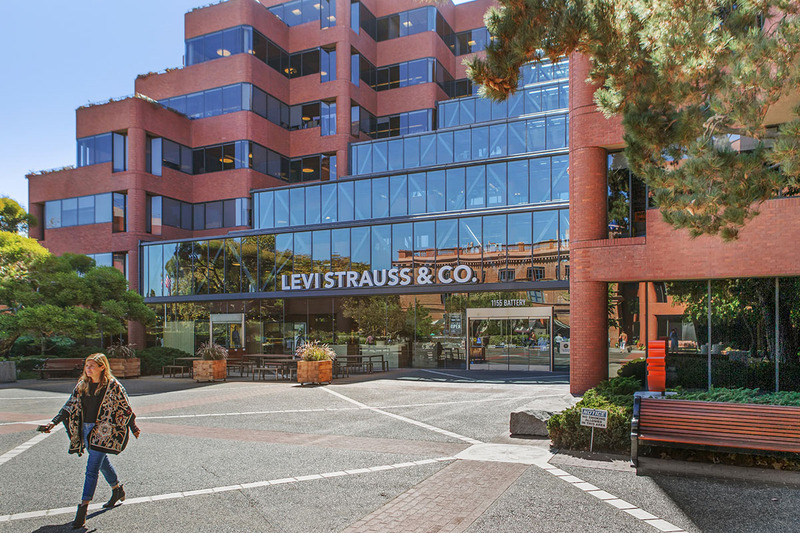 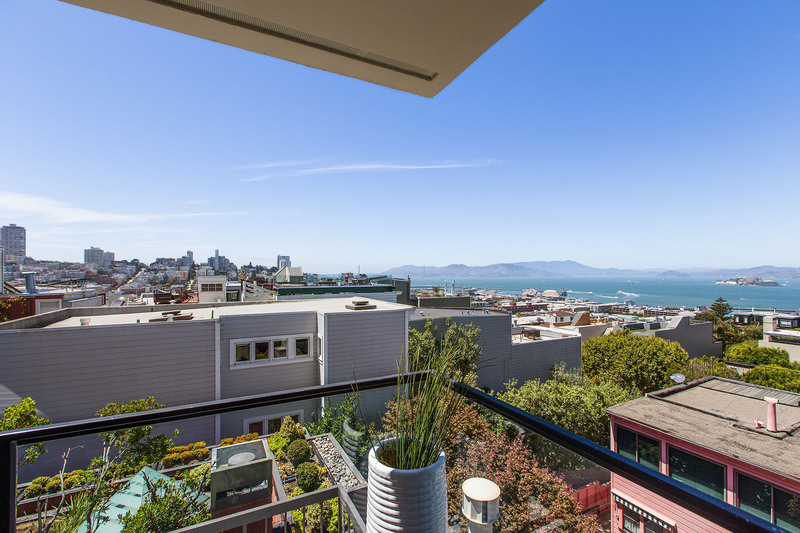 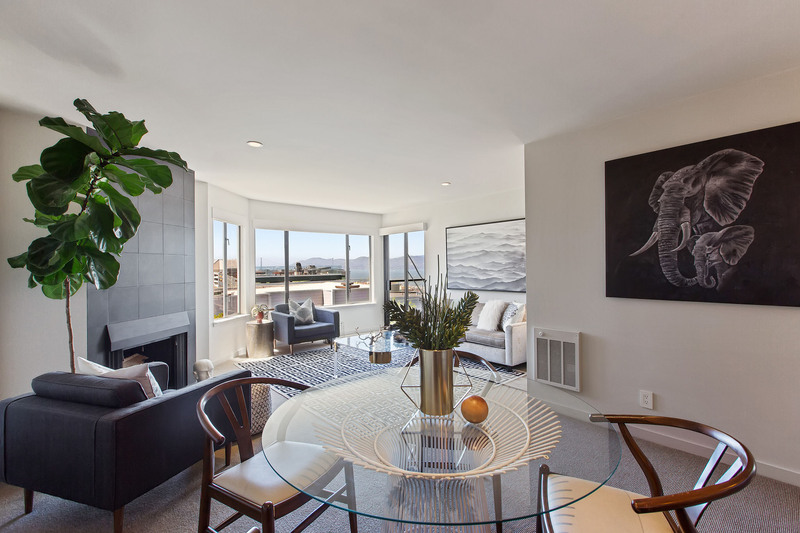 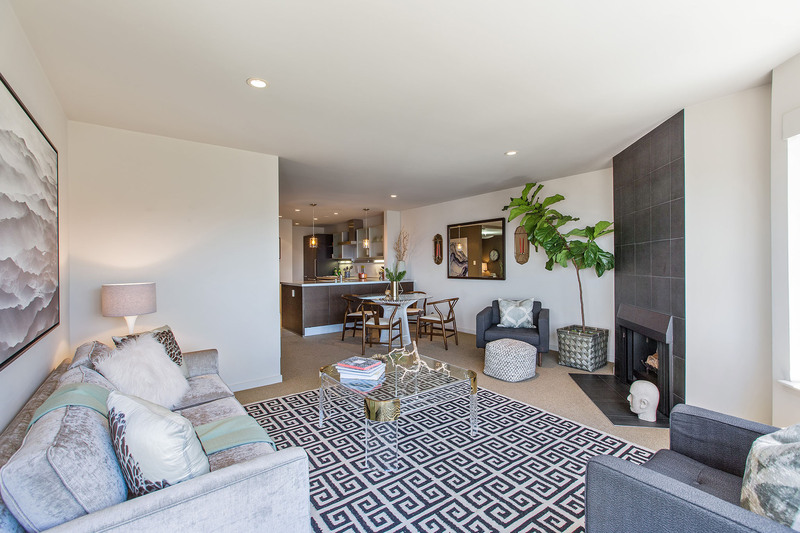 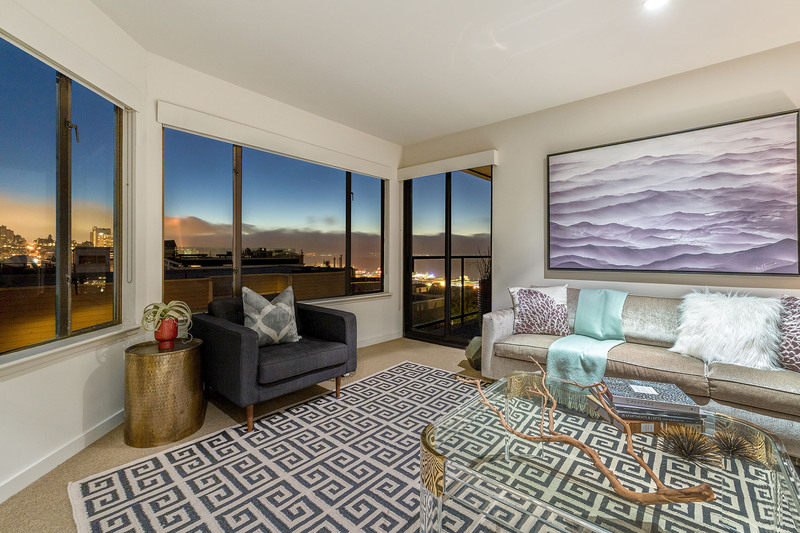 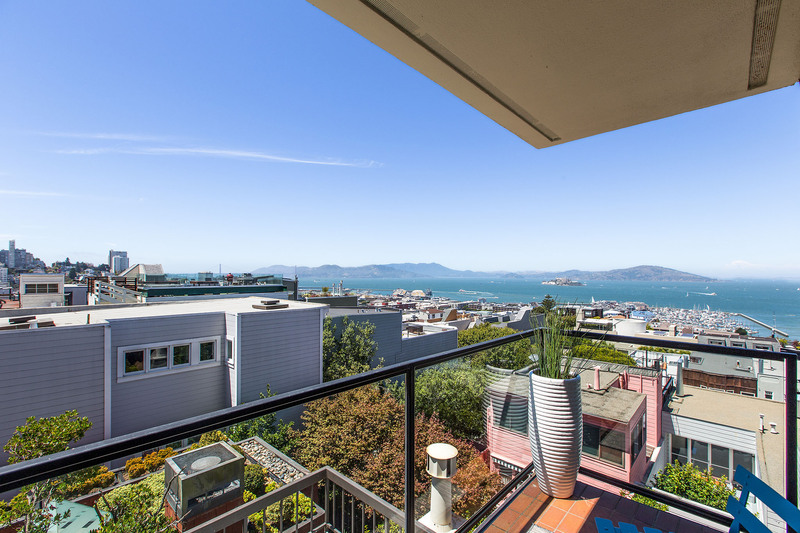 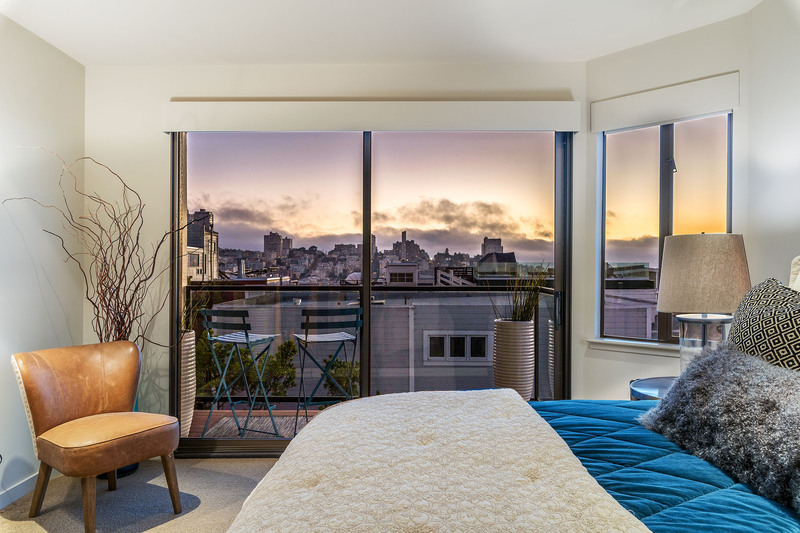 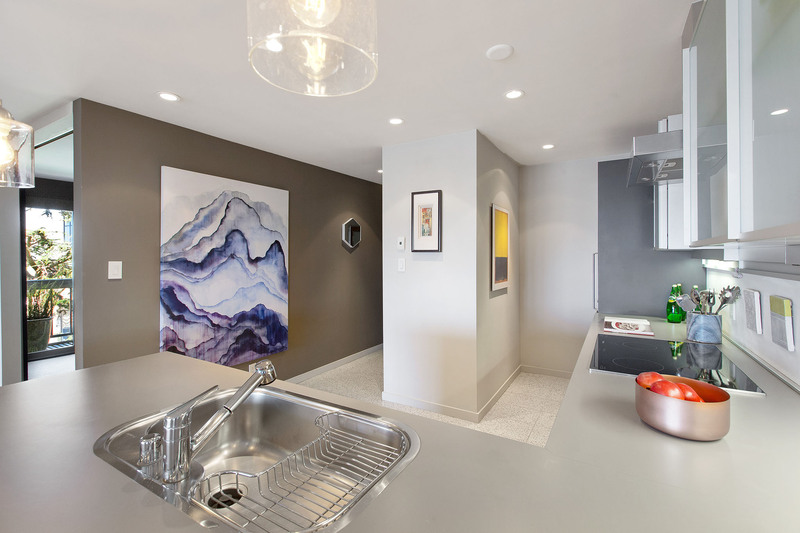 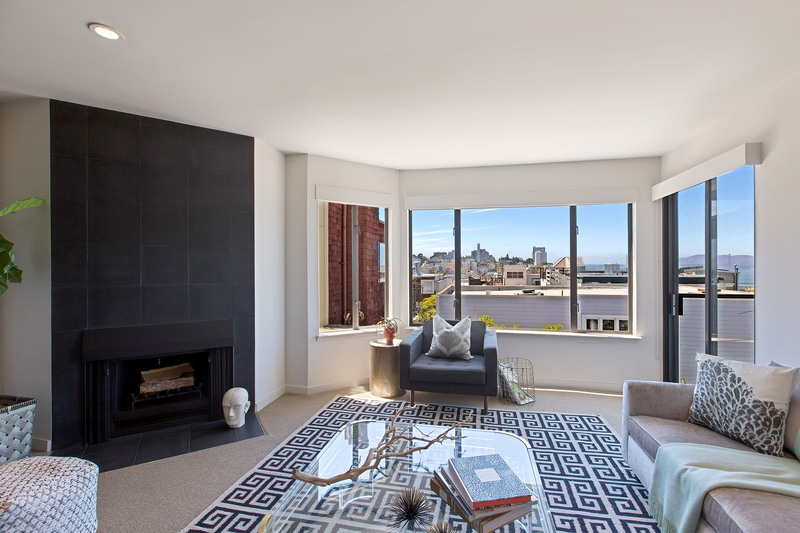 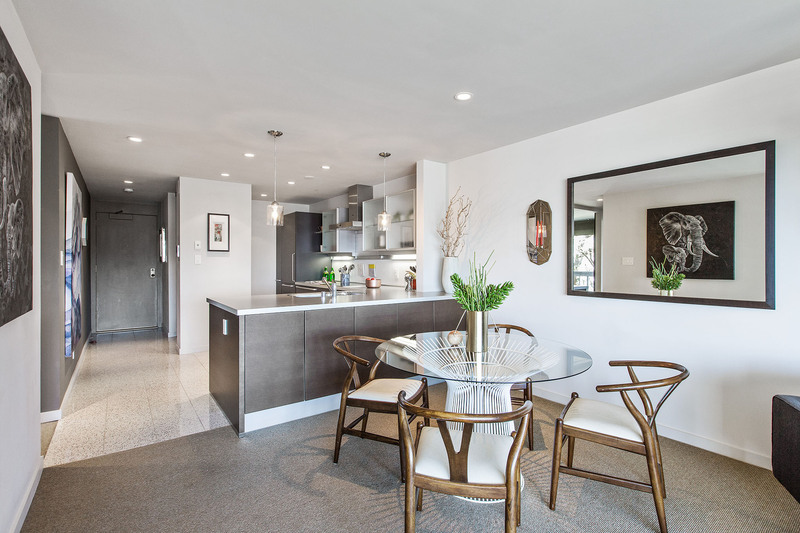 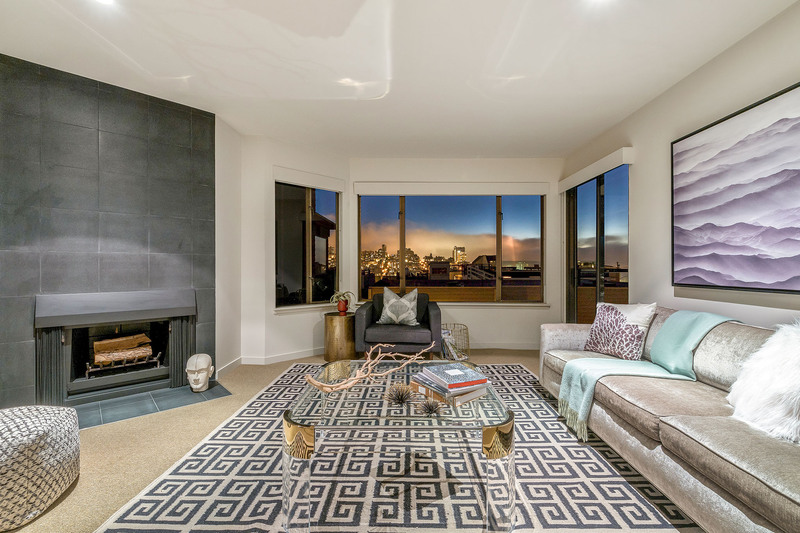 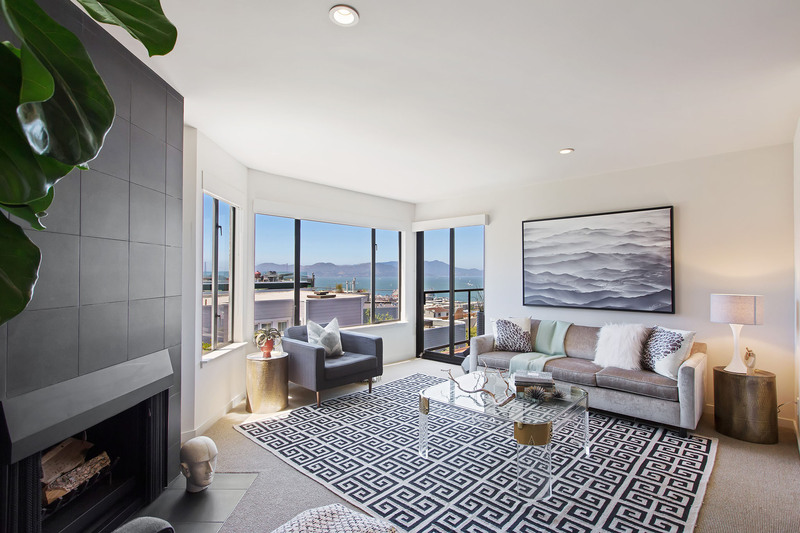 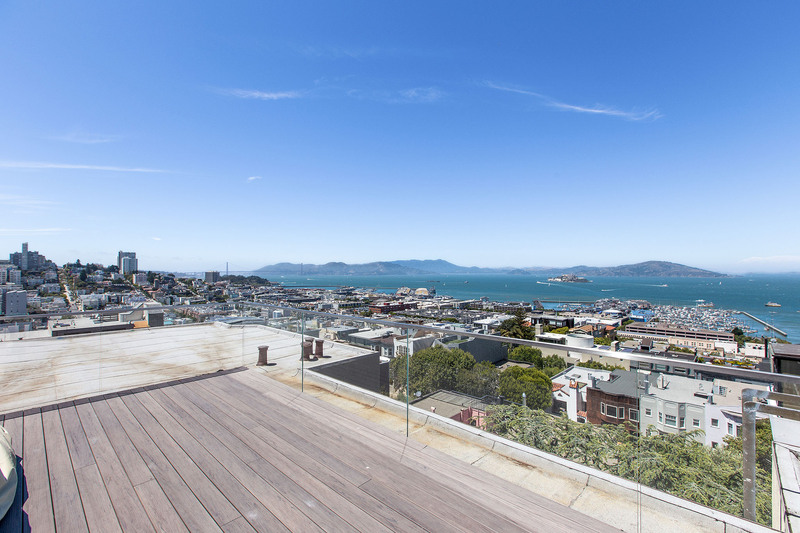 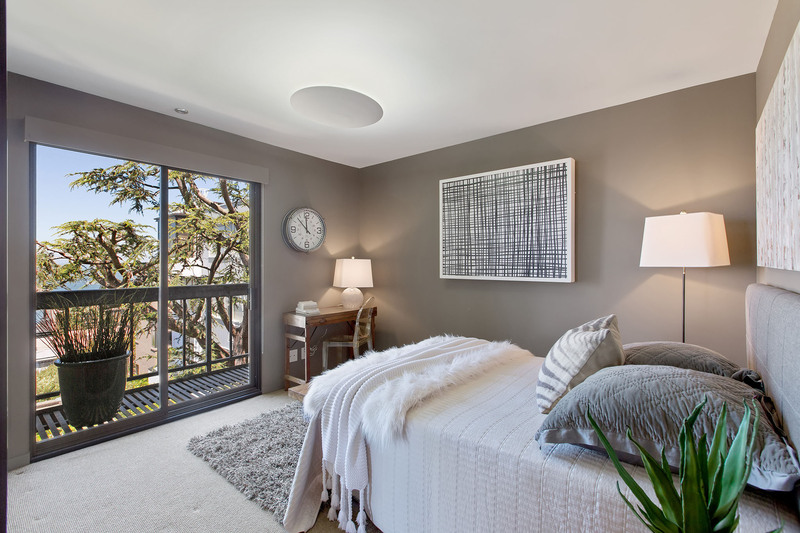 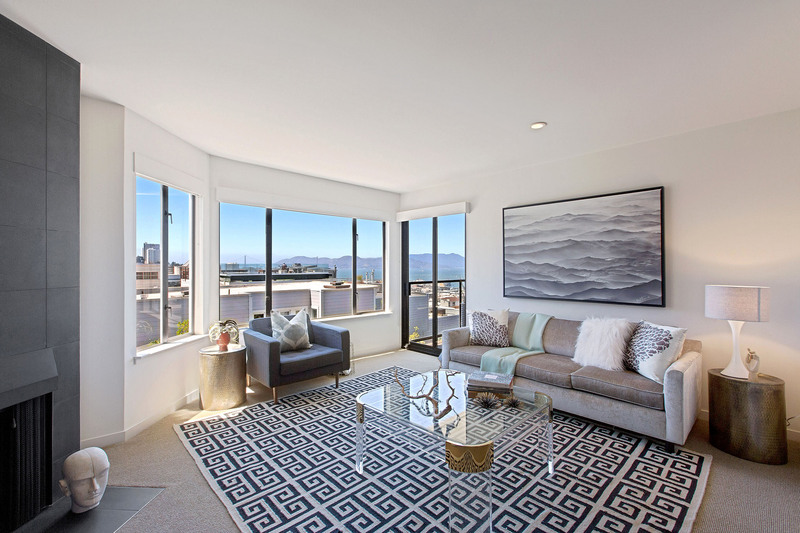 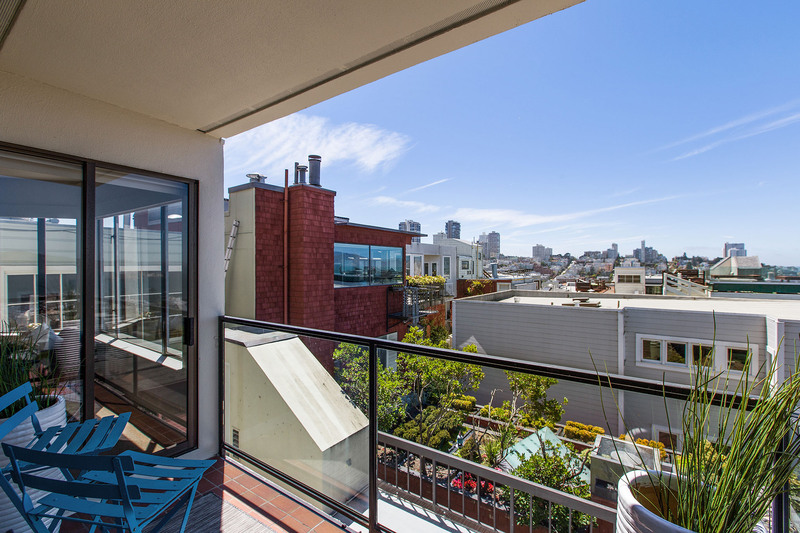 Rarely available well-appointed Luxury condo on coveted Telegraph Hill Boulevard. 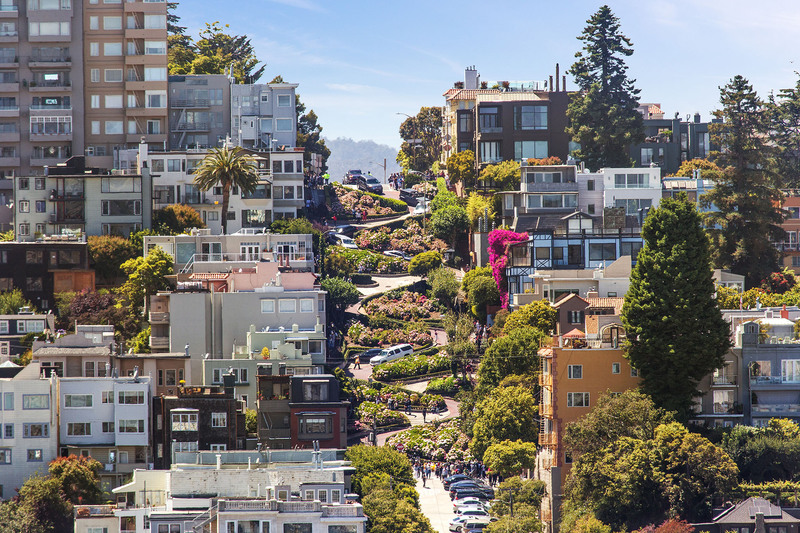 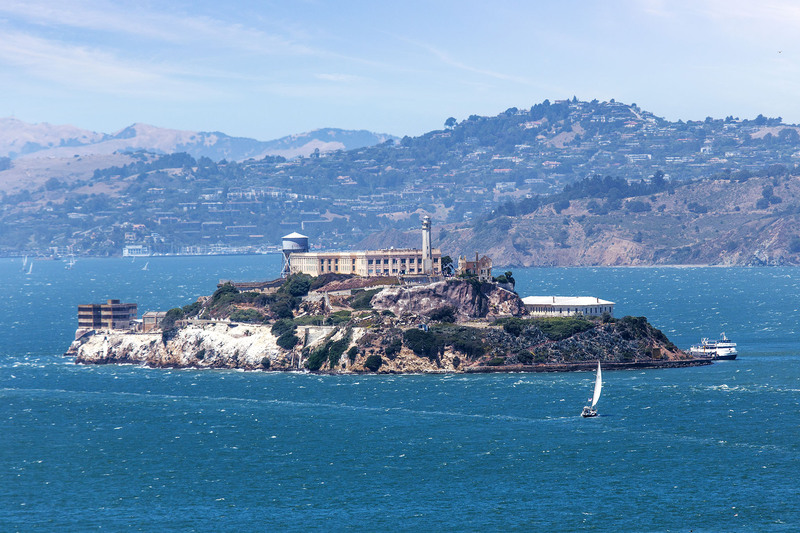 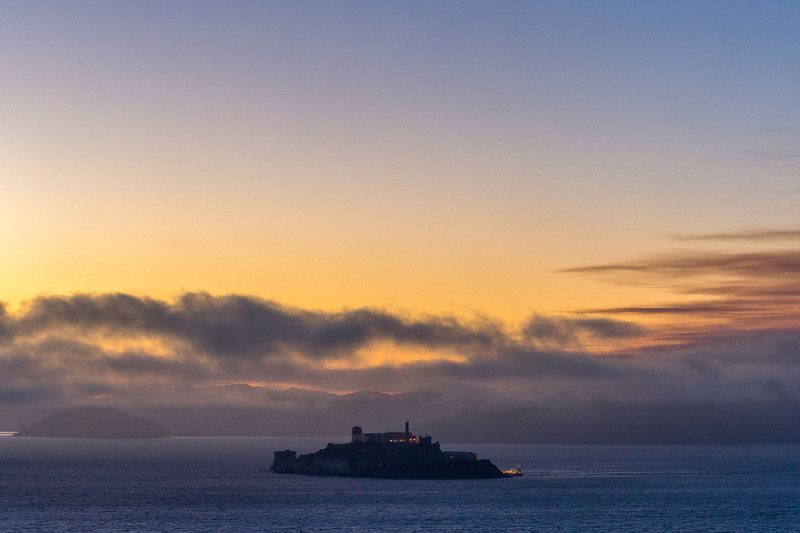 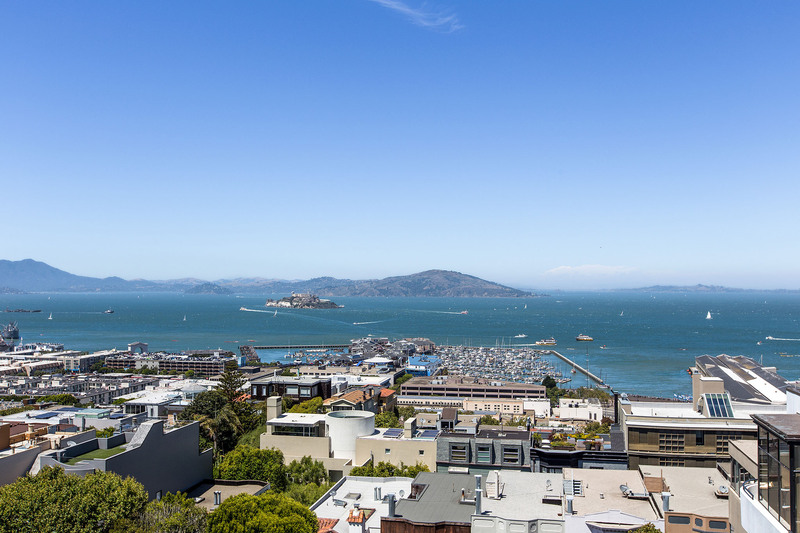 Take in the spectacular panoramic views of the Golden Gate Bridge and Alcatraz or watch cars come down the Crookedest Street. 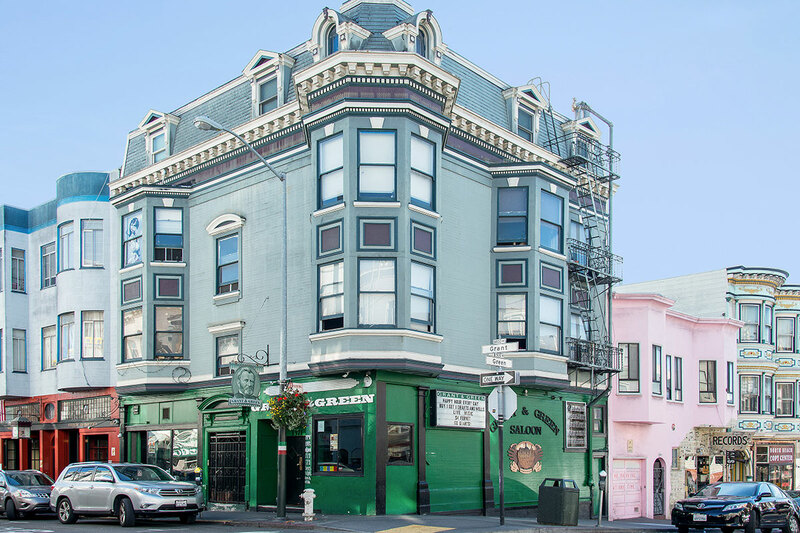 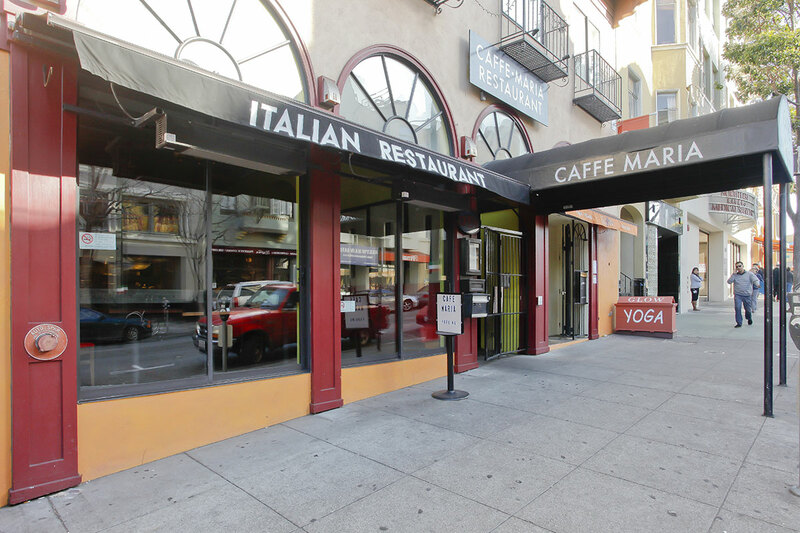 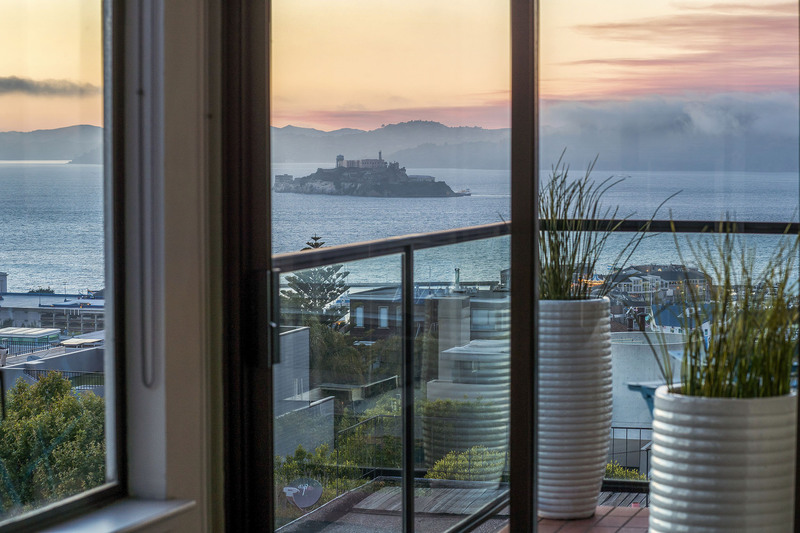 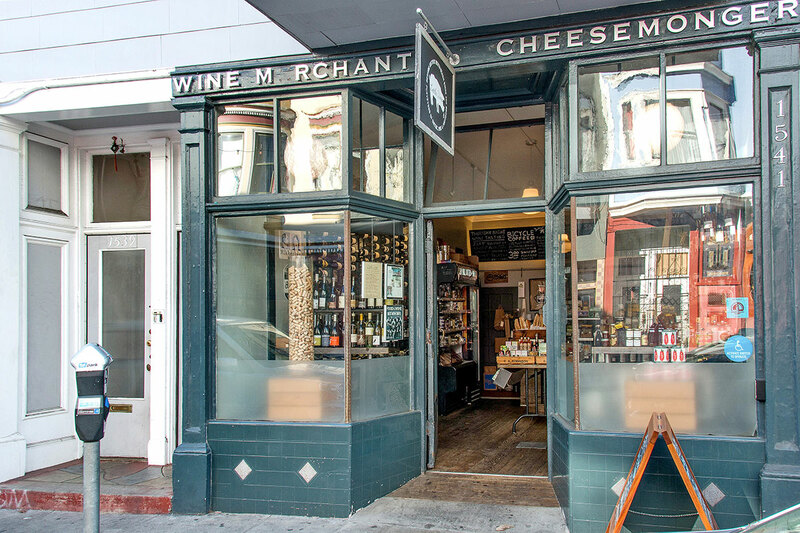 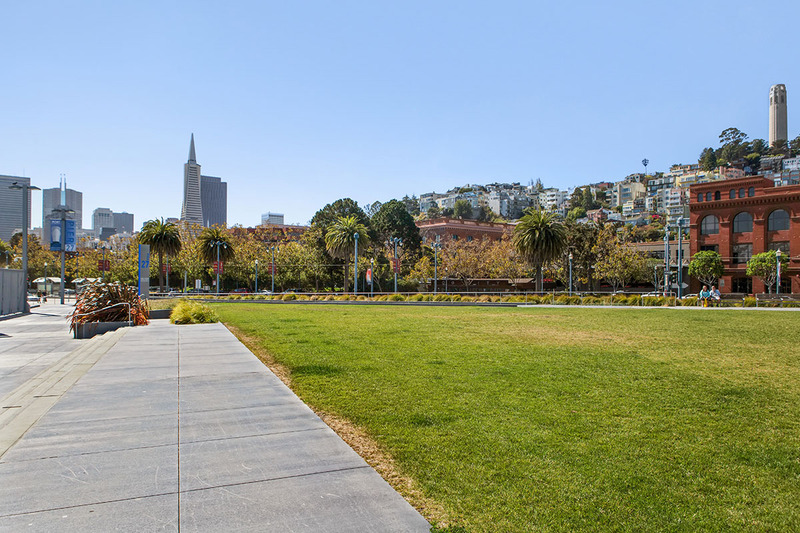 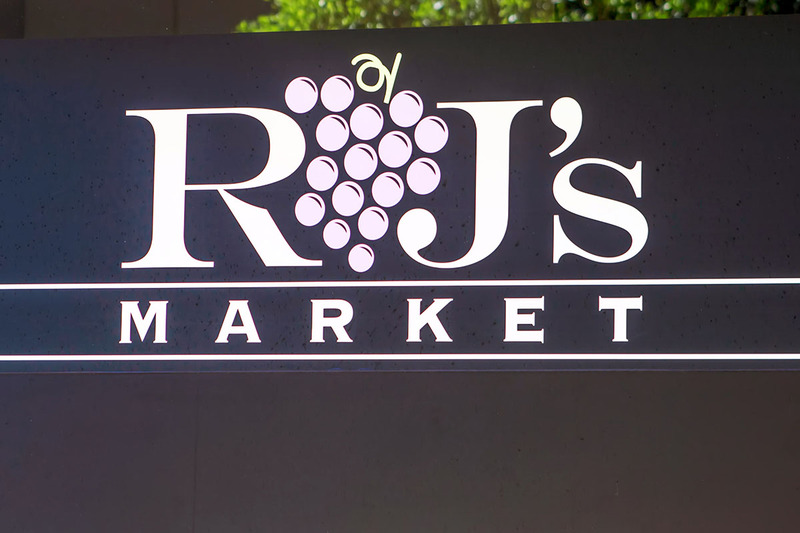 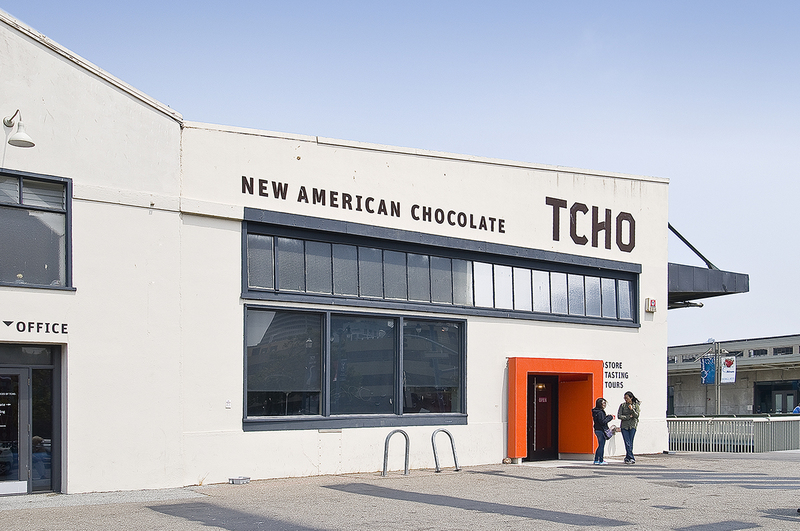 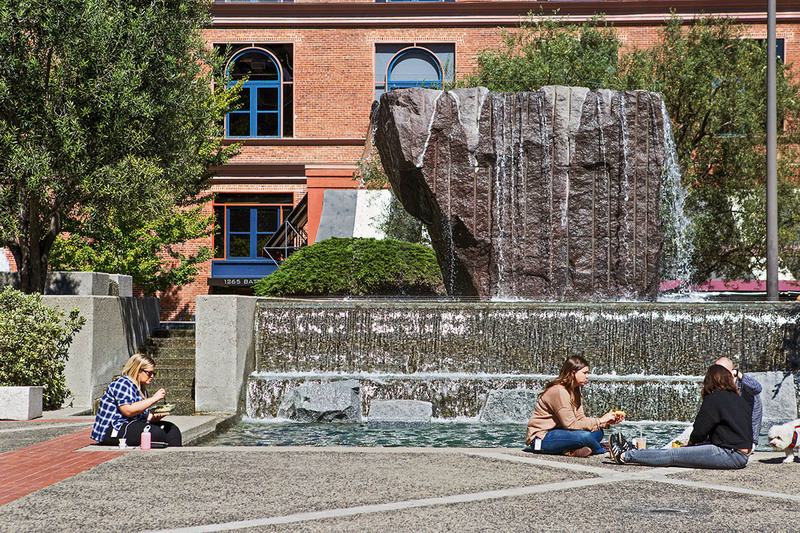 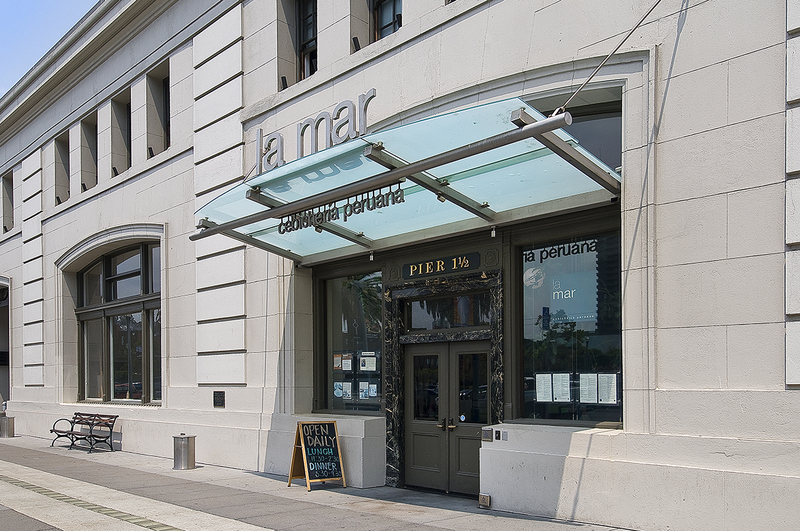 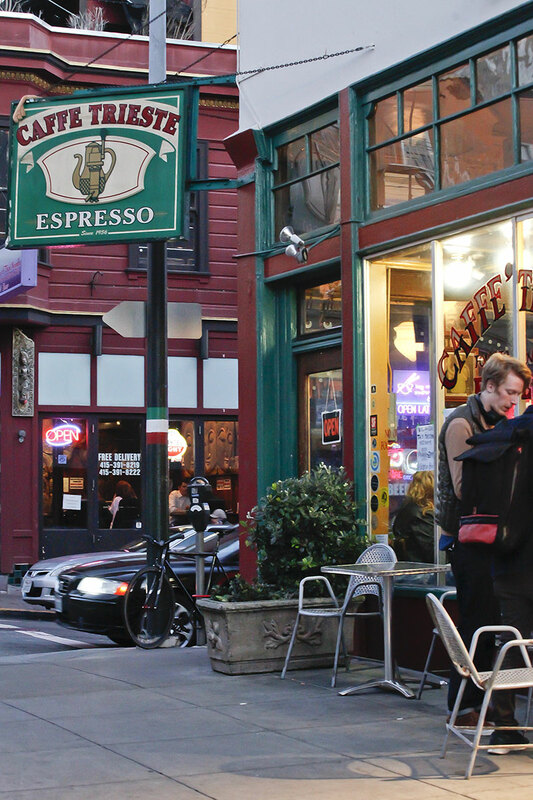 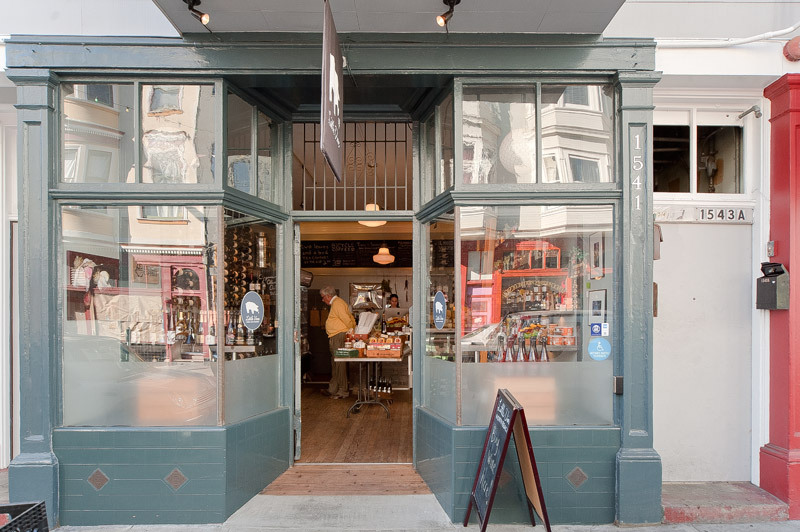 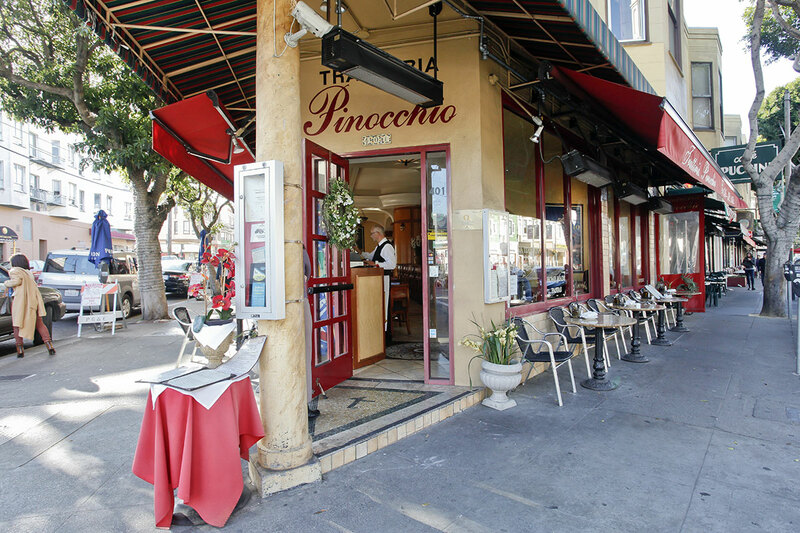 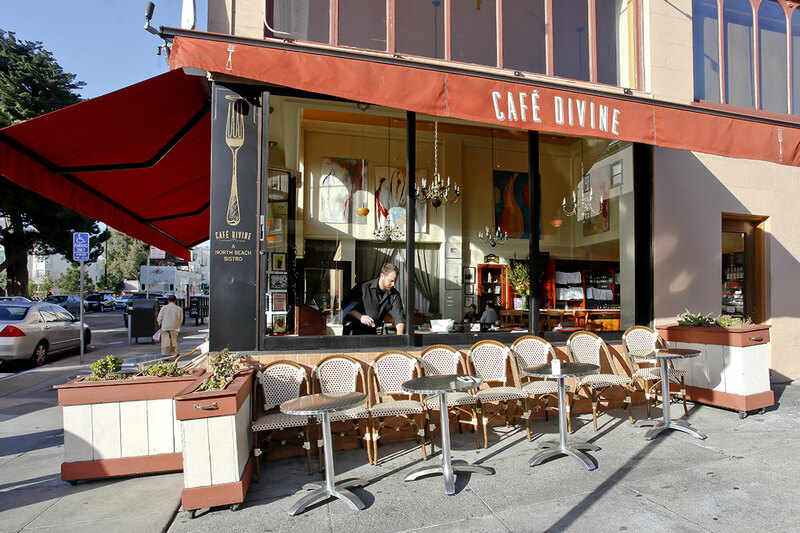 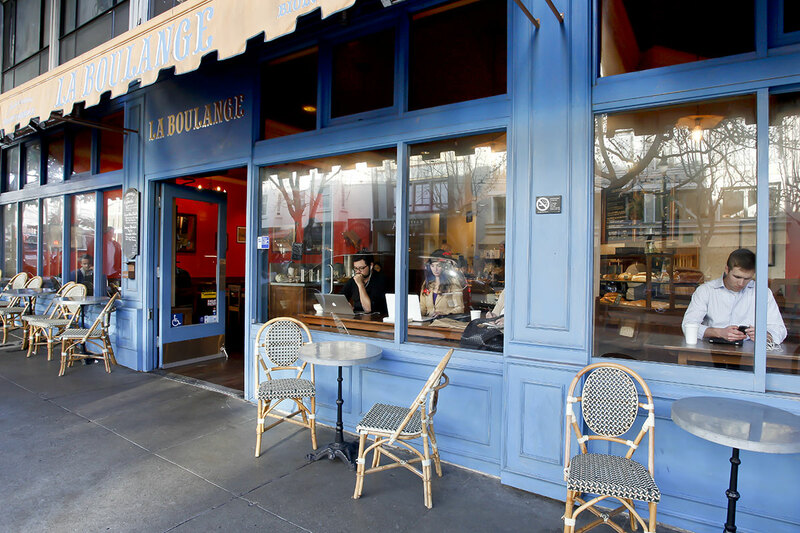 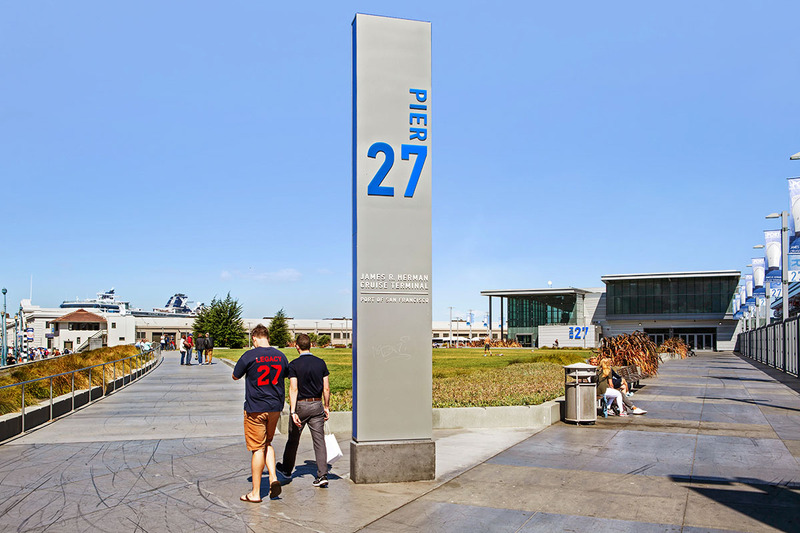 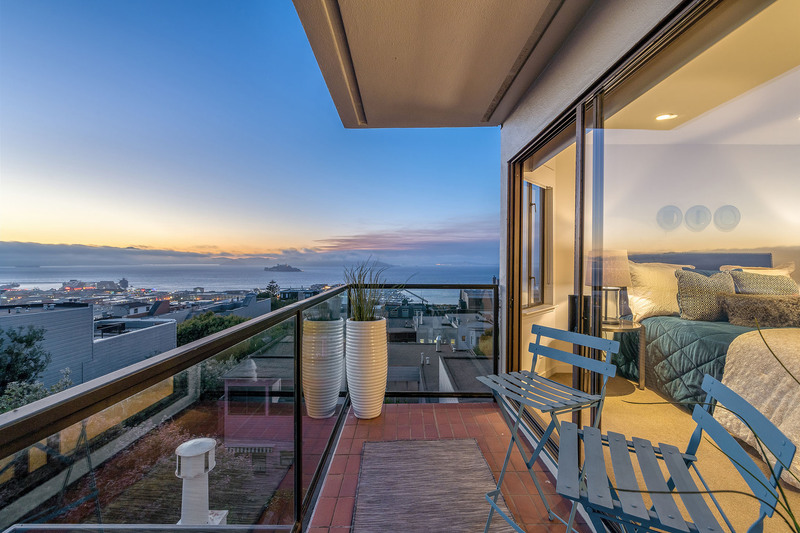 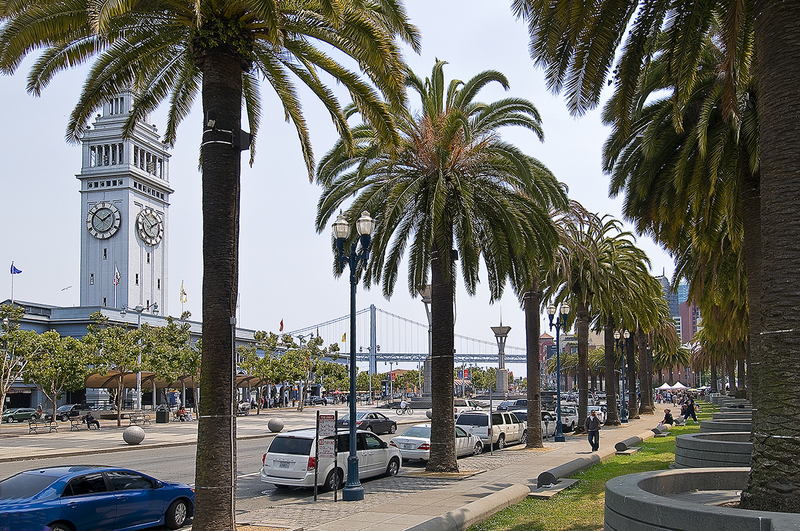 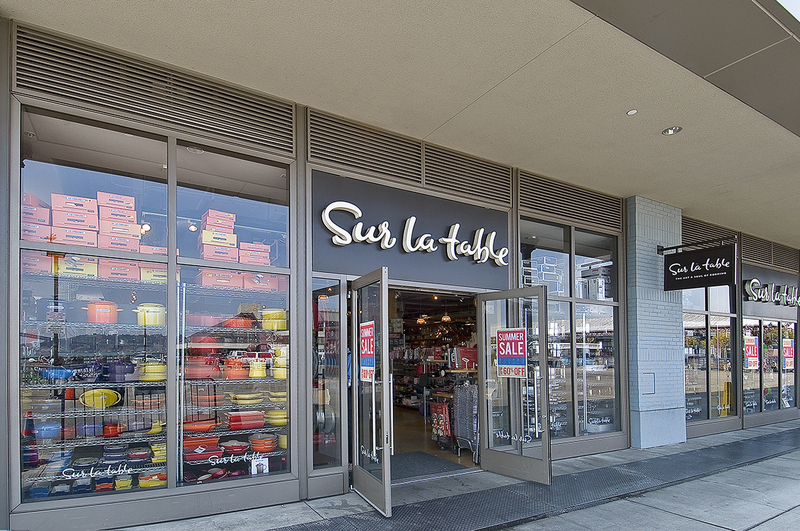 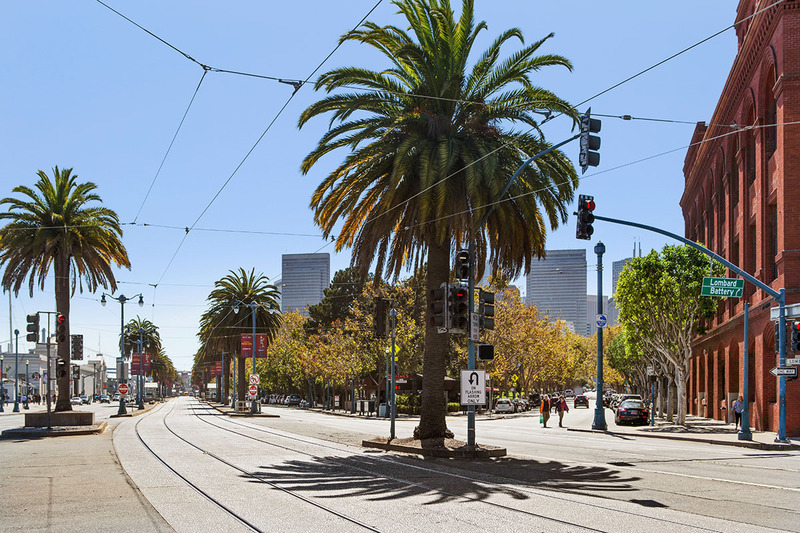 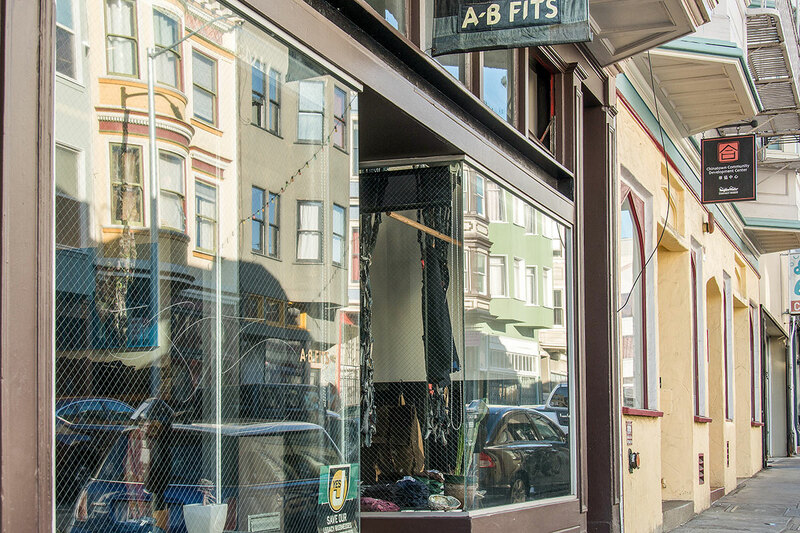 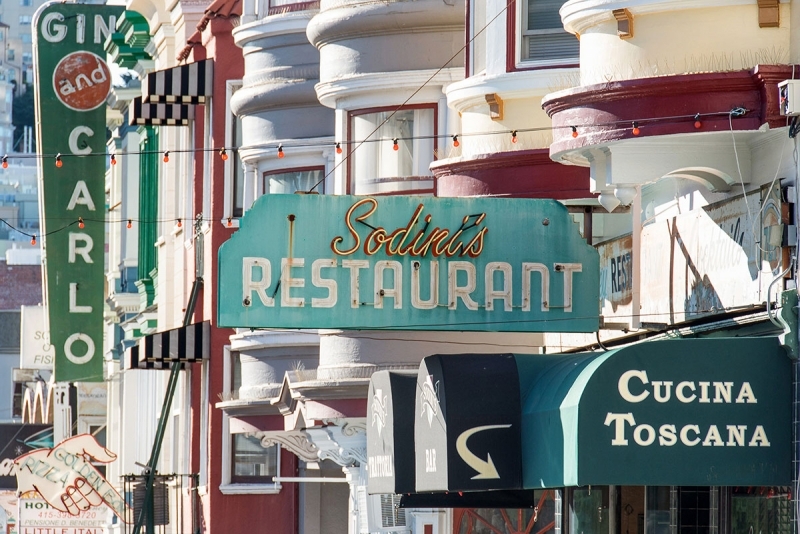 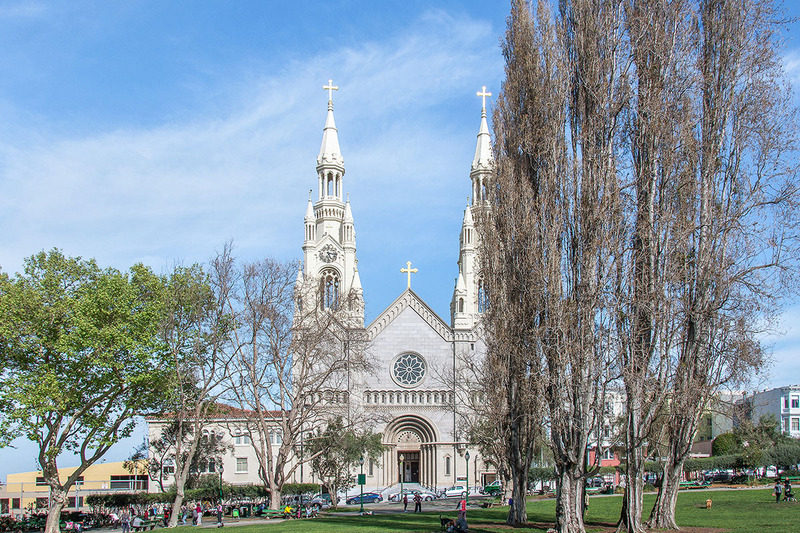 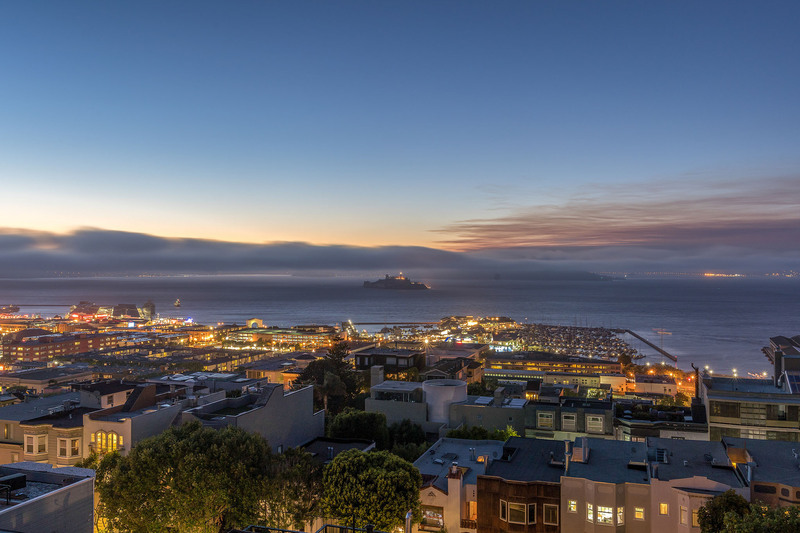 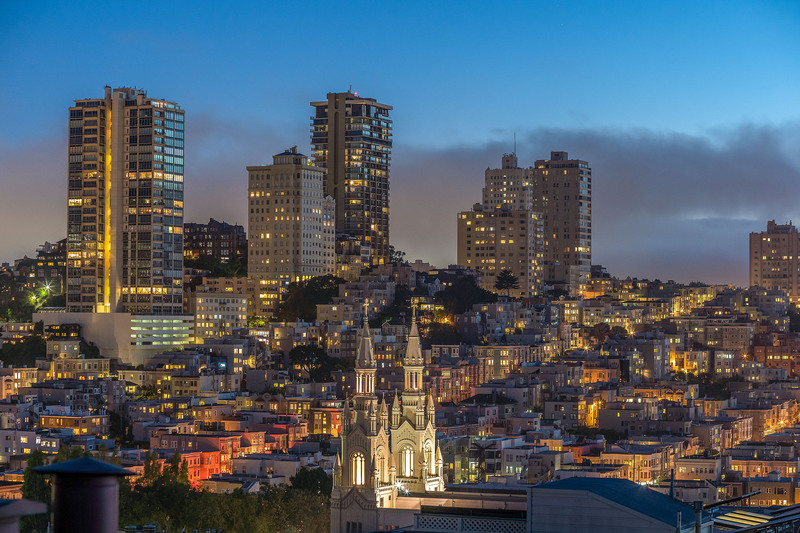 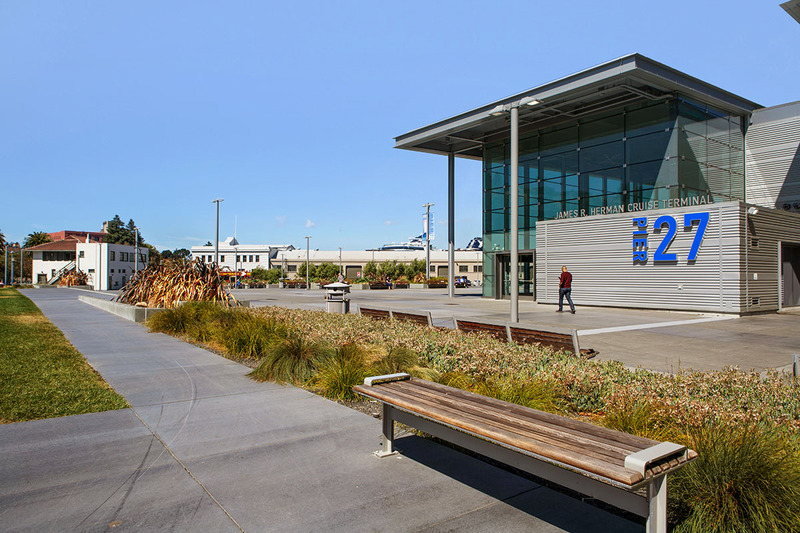 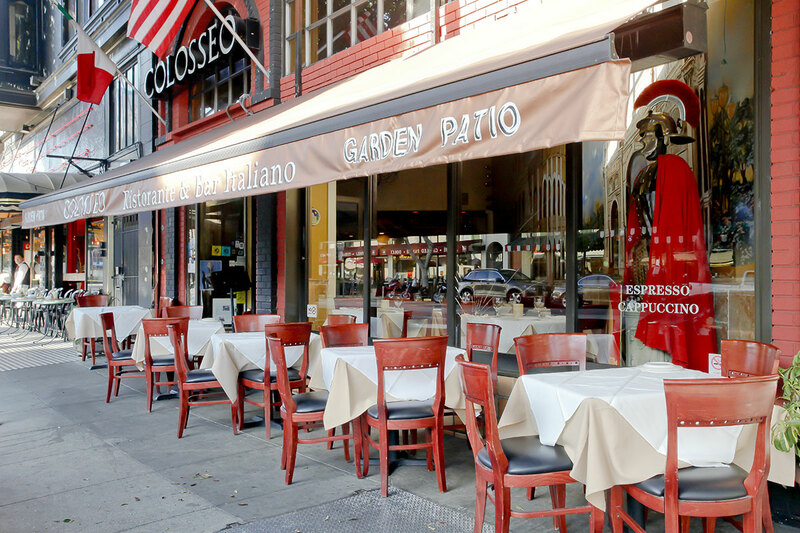 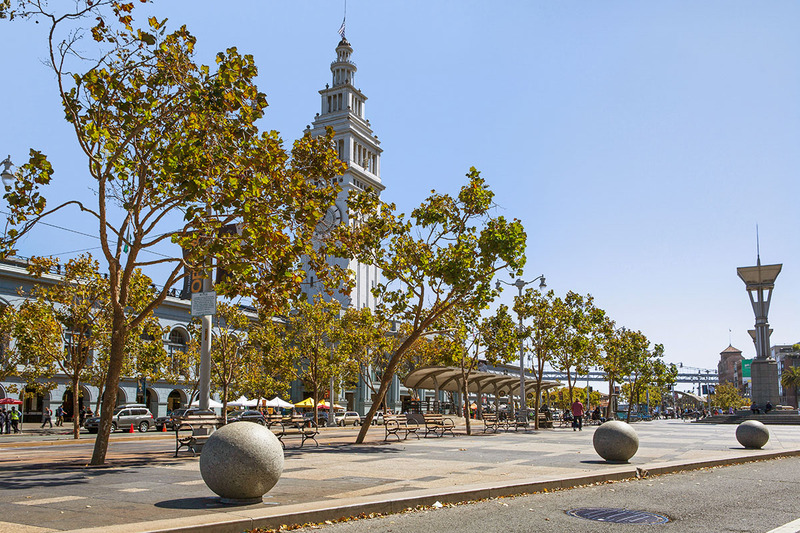 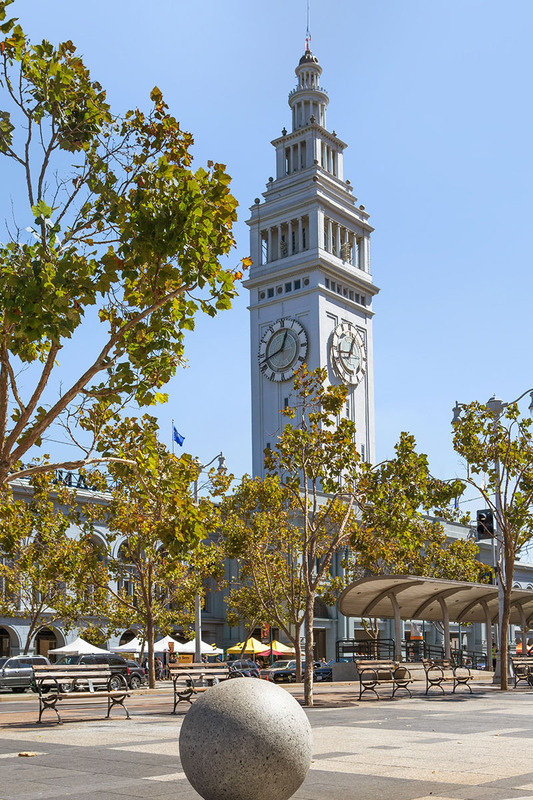 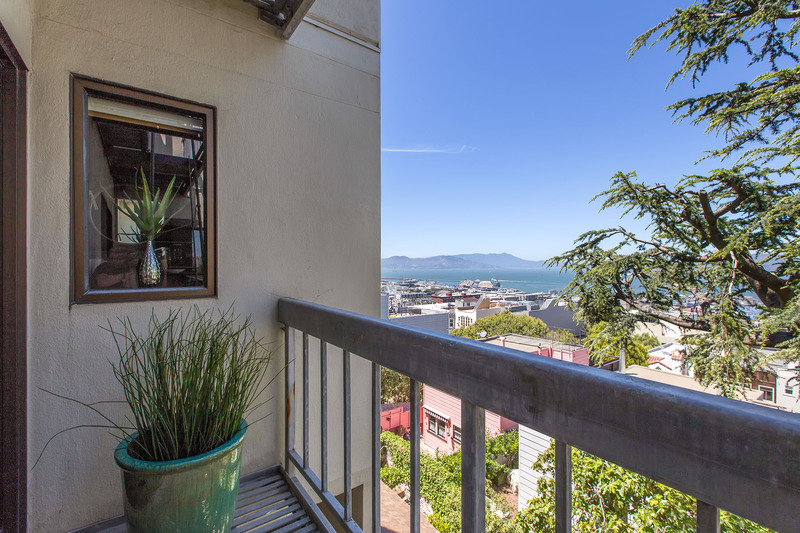 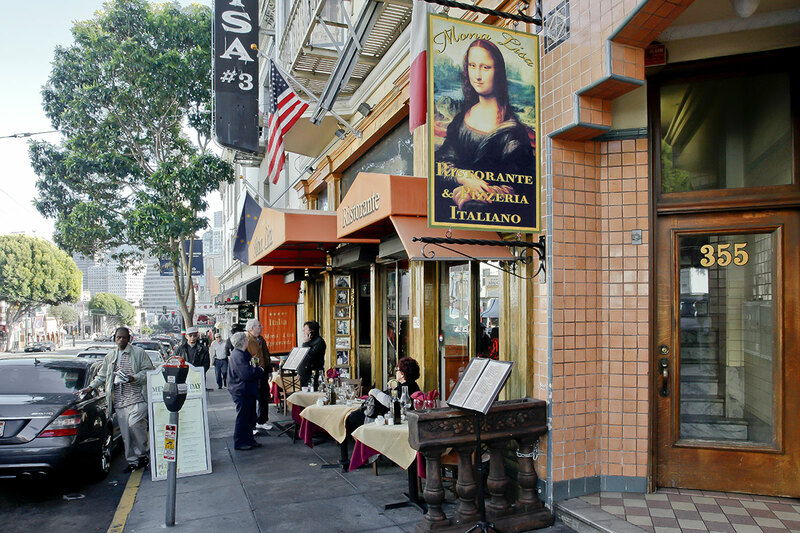 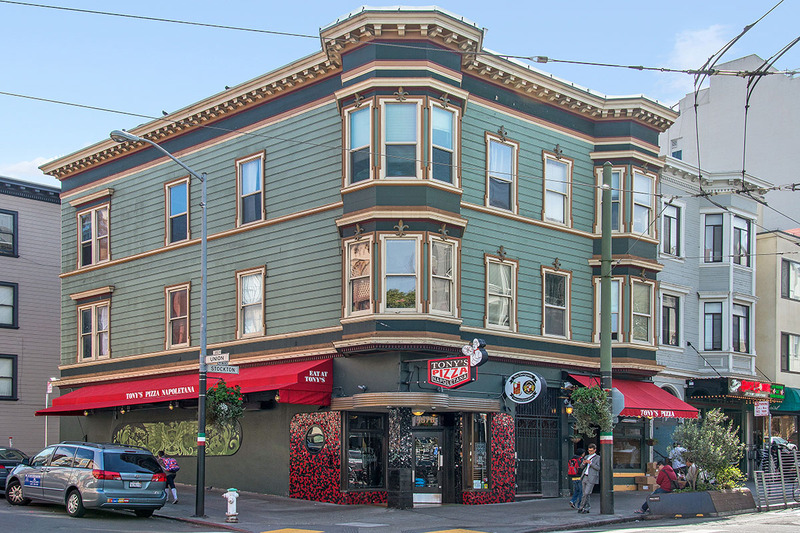 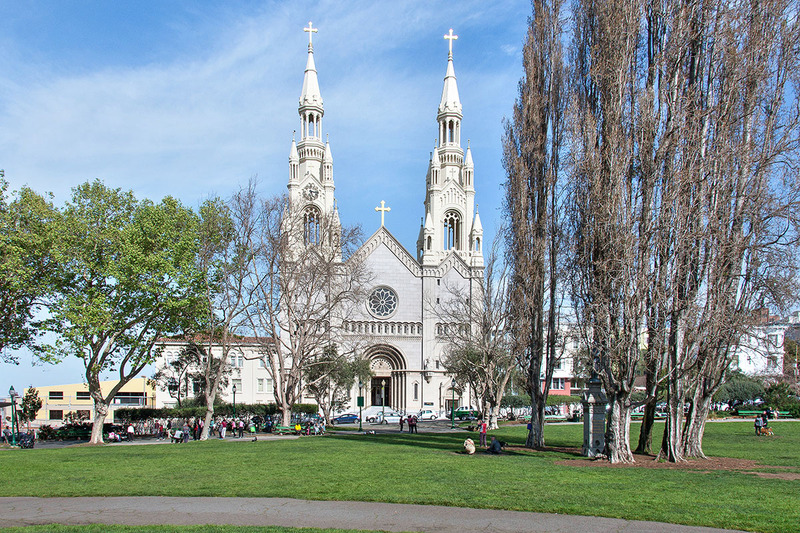 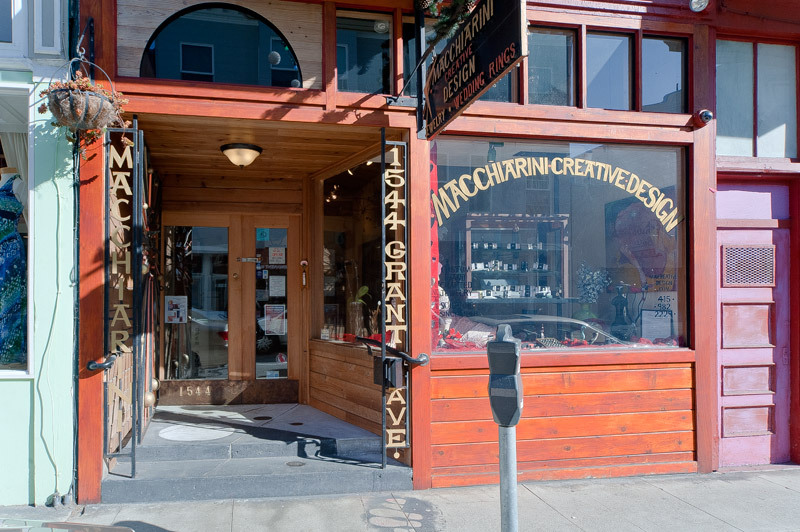 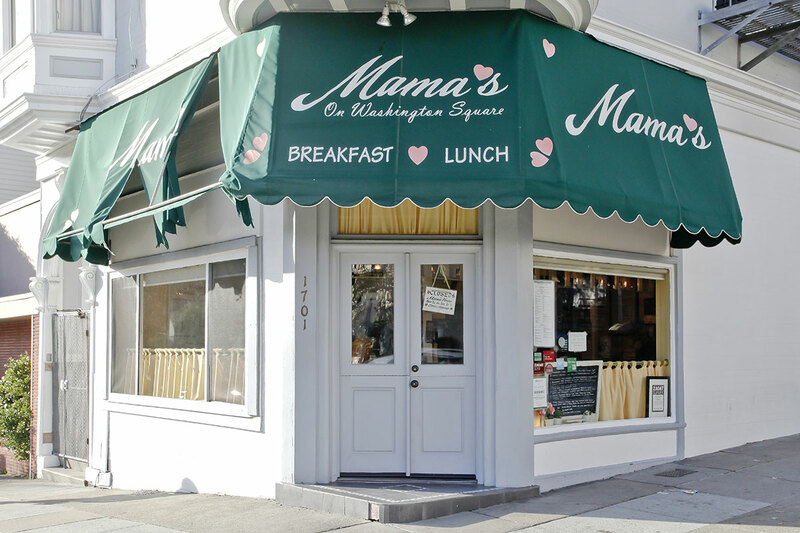 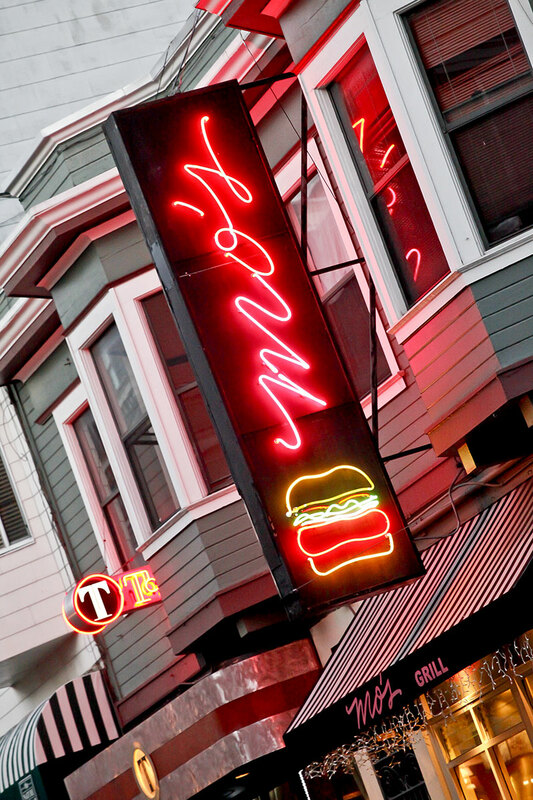 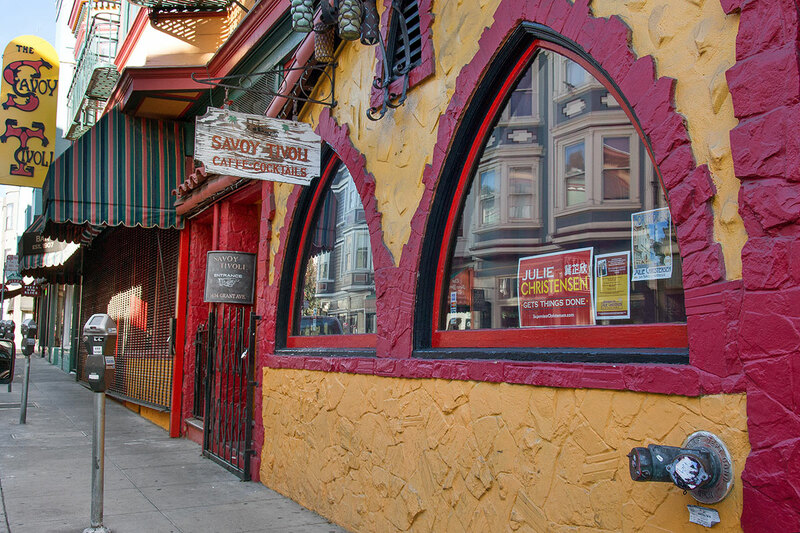 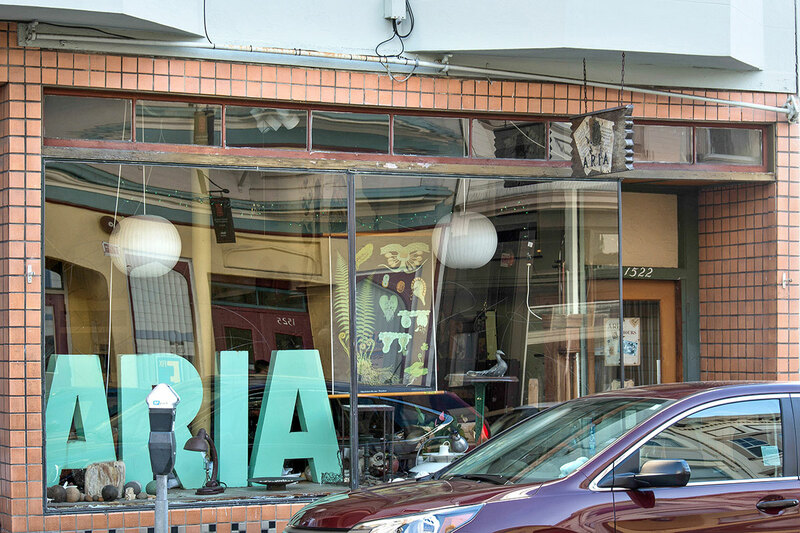 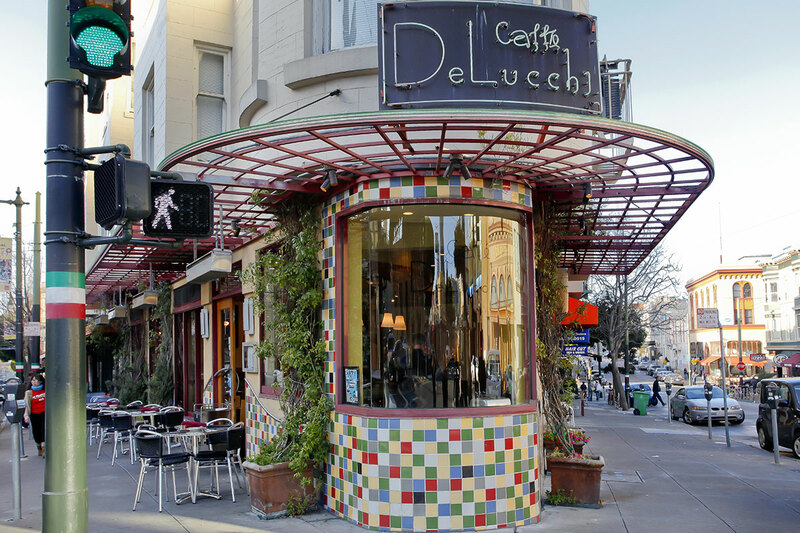 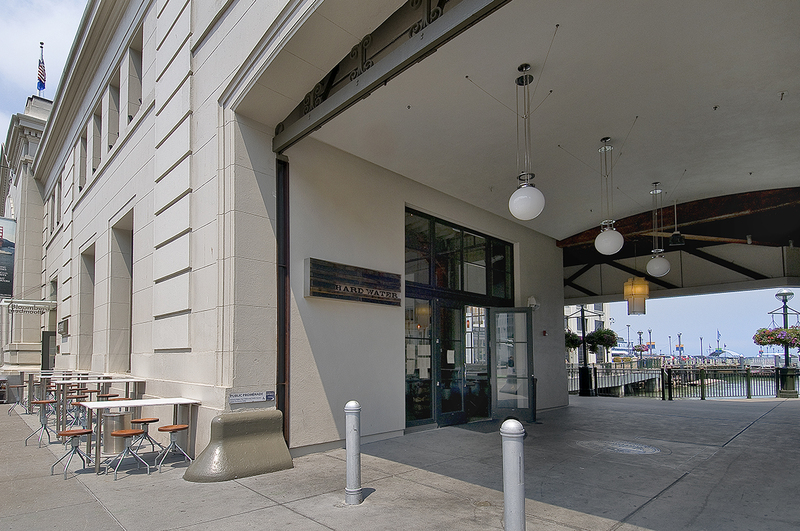 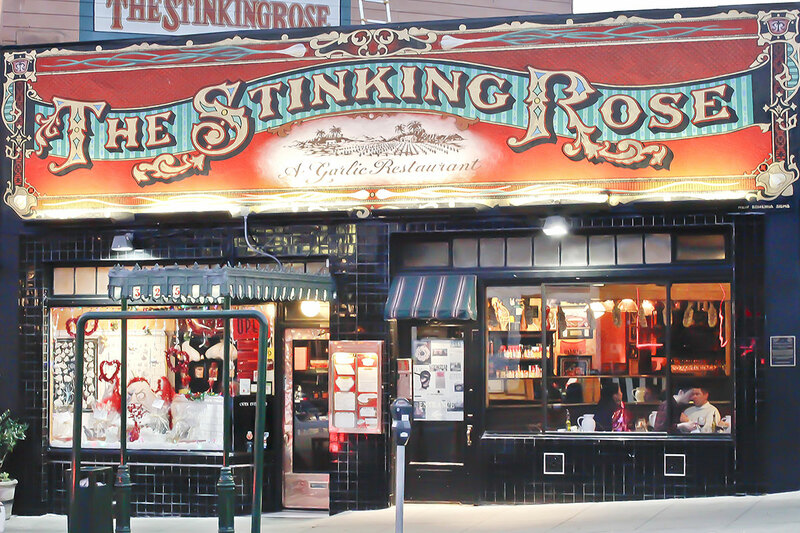 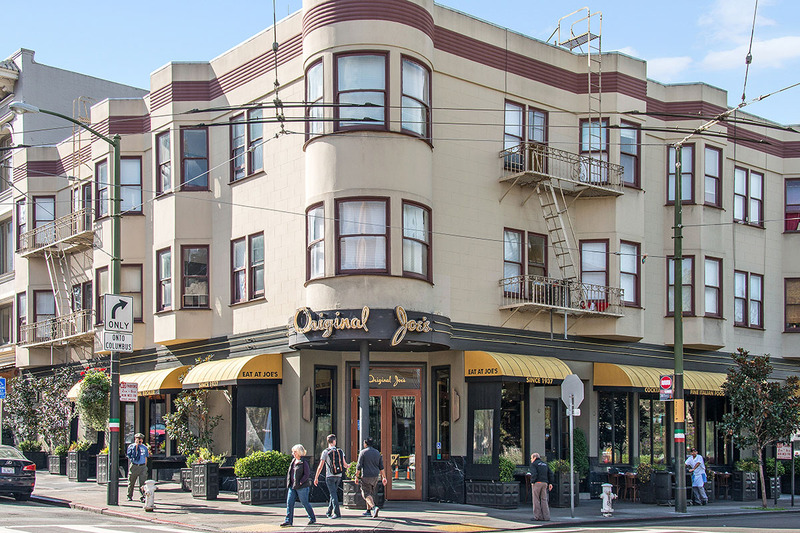 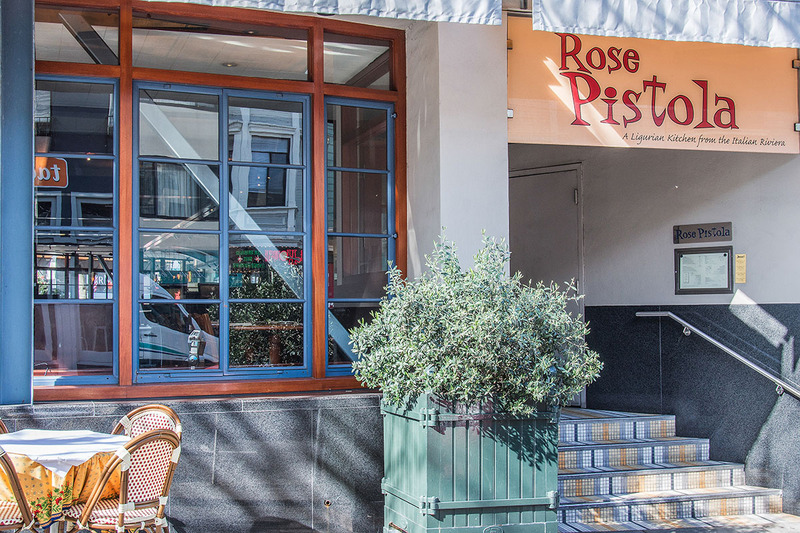 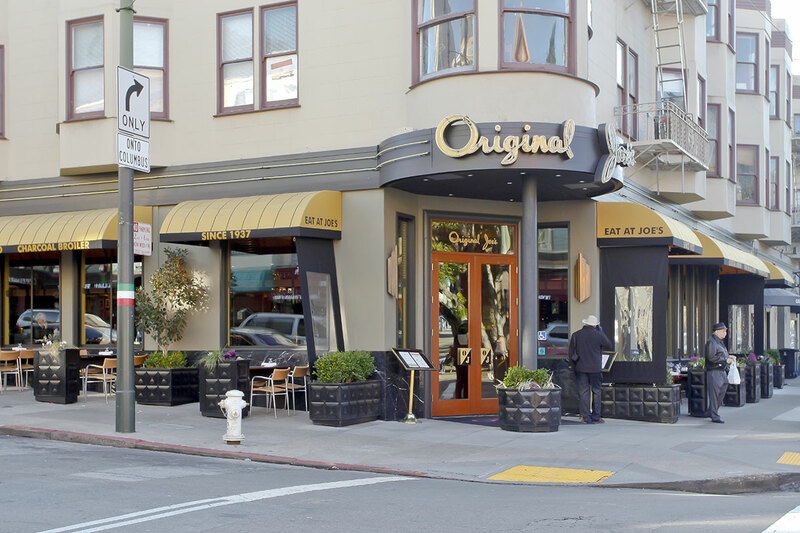 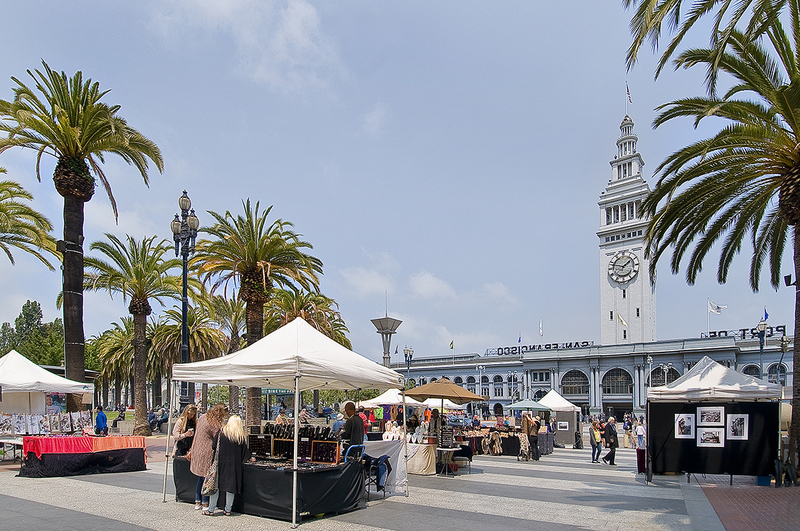 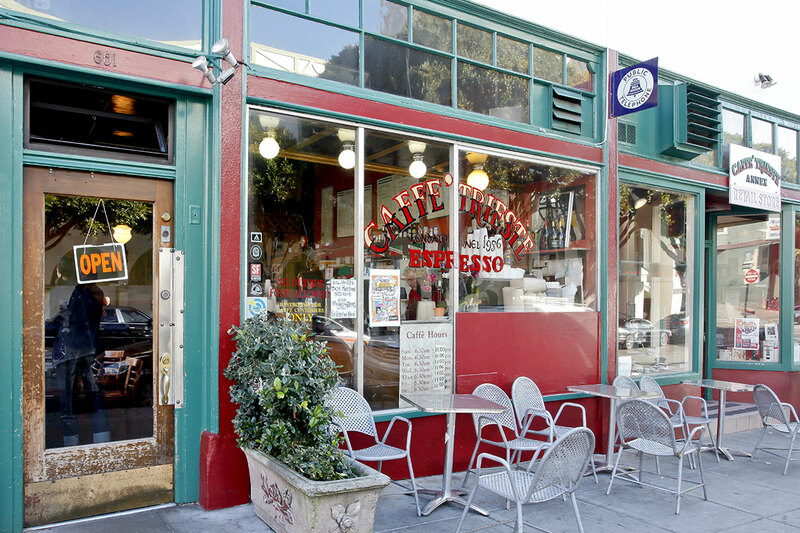 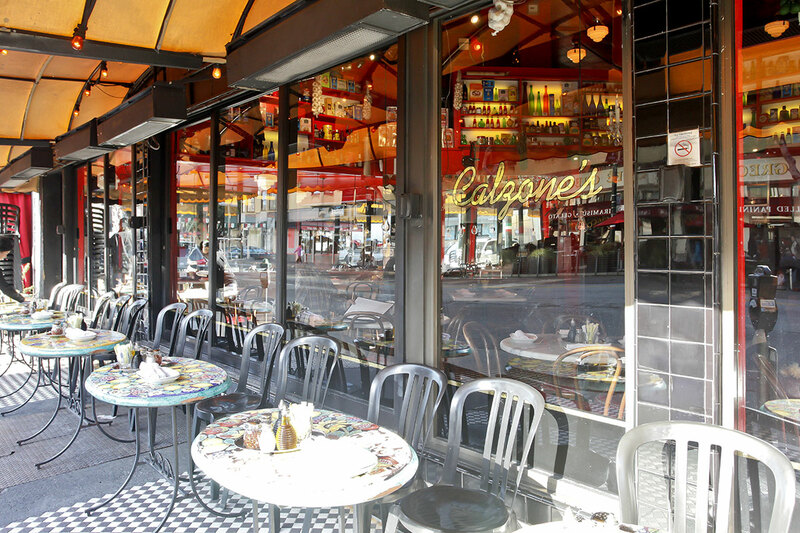 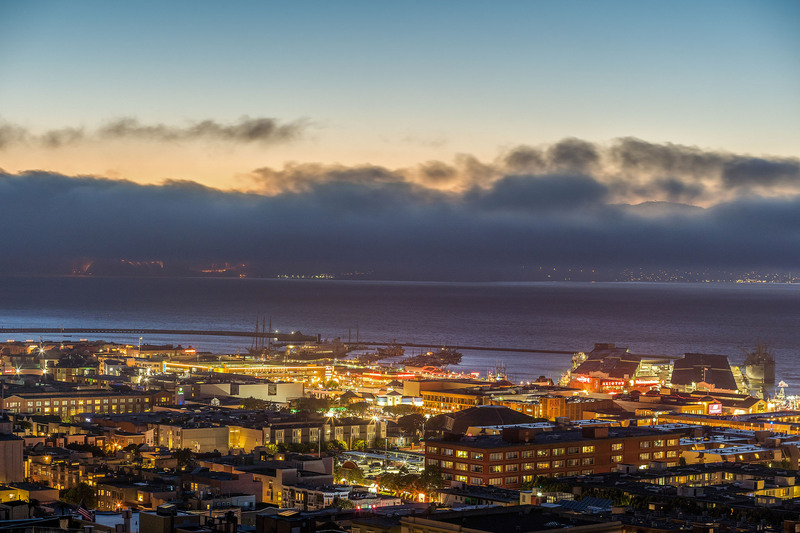 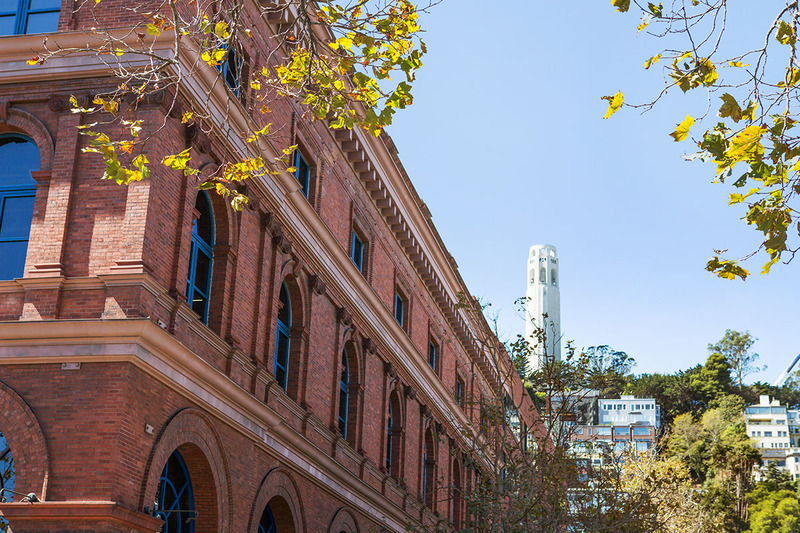 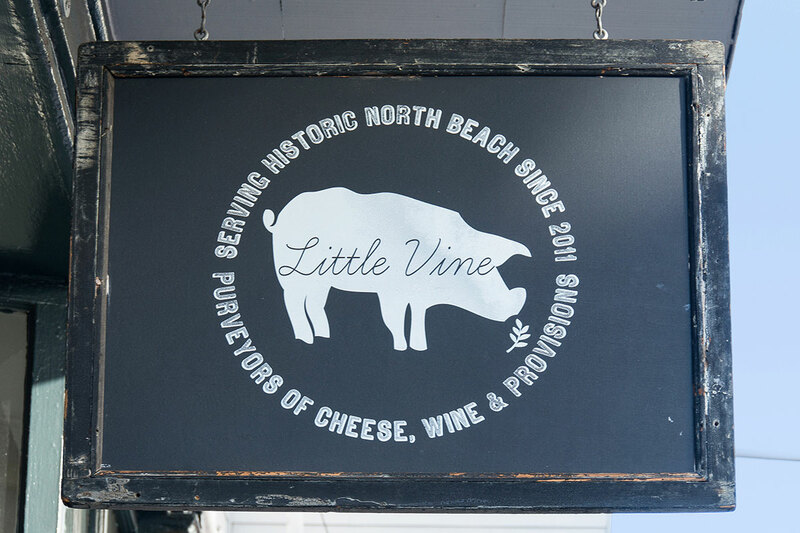 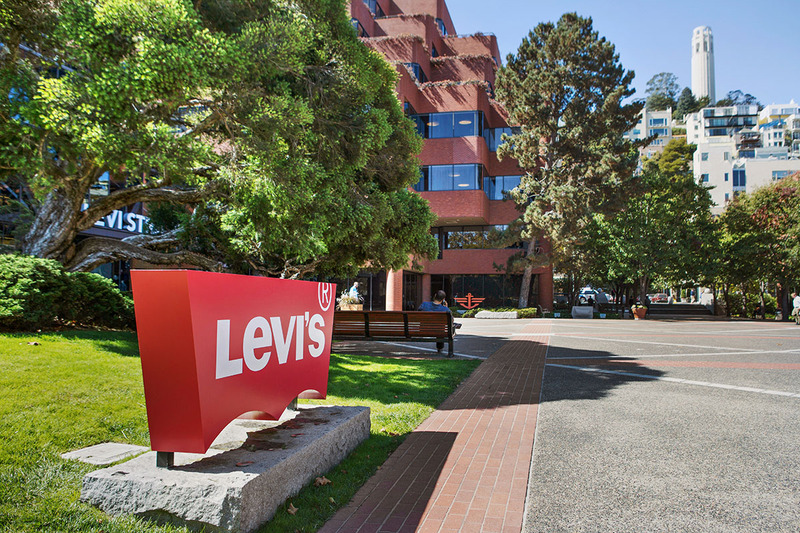 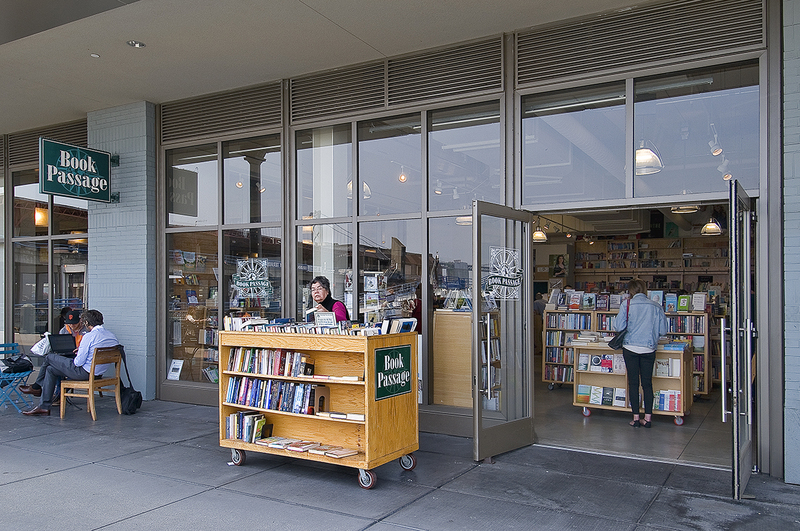 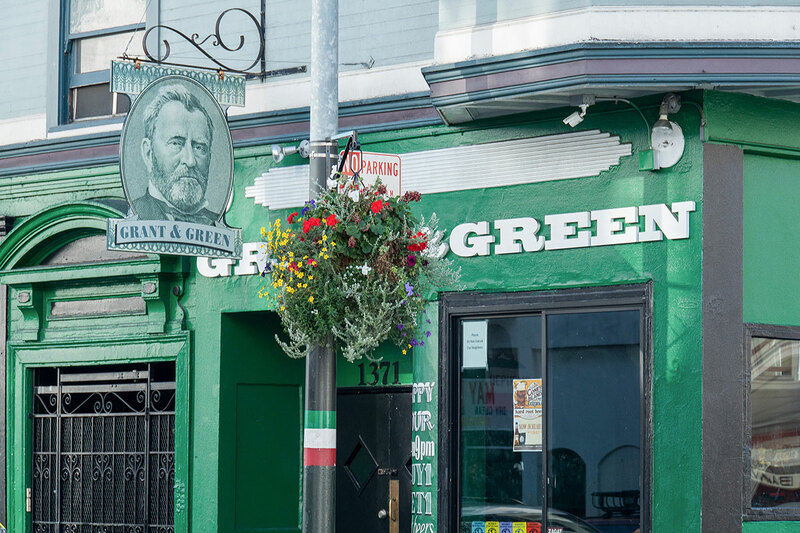 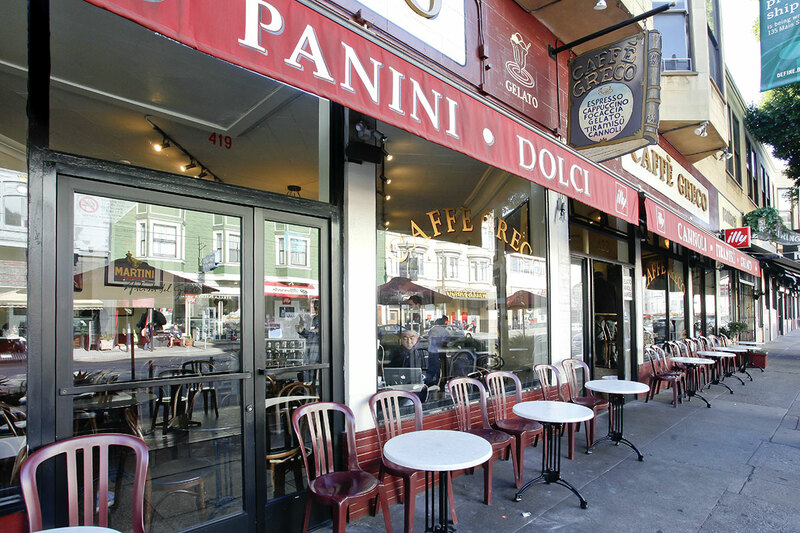 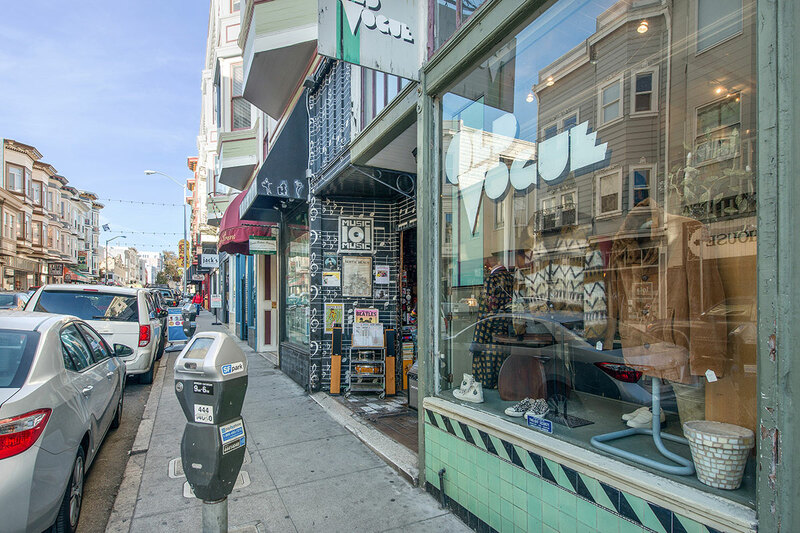 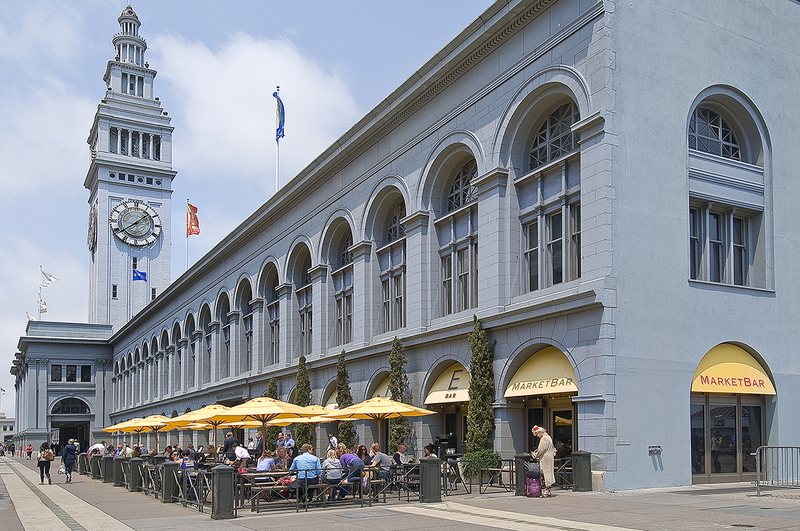 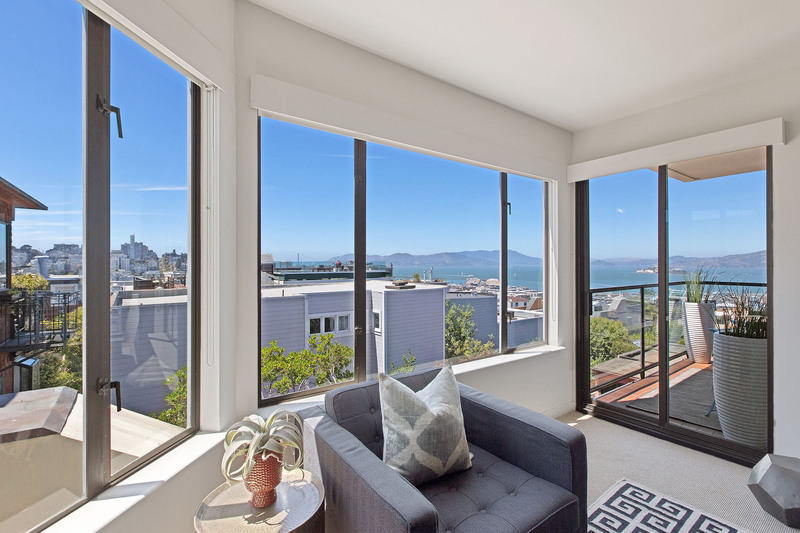 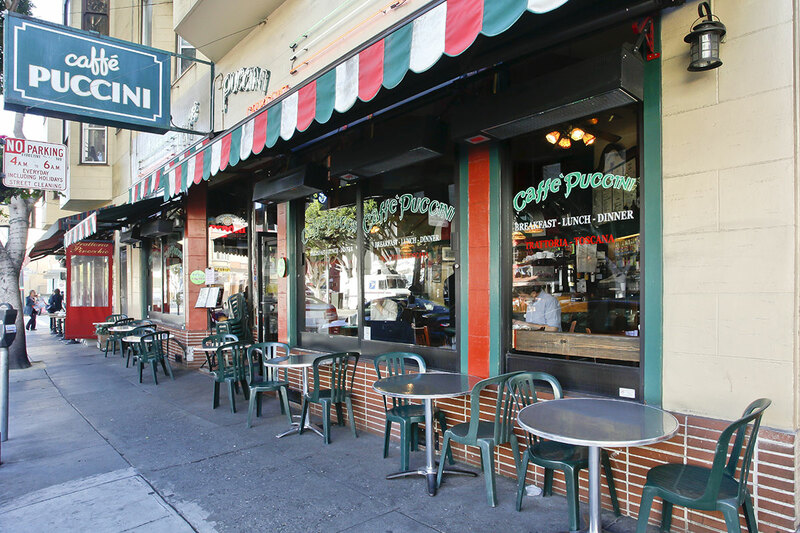 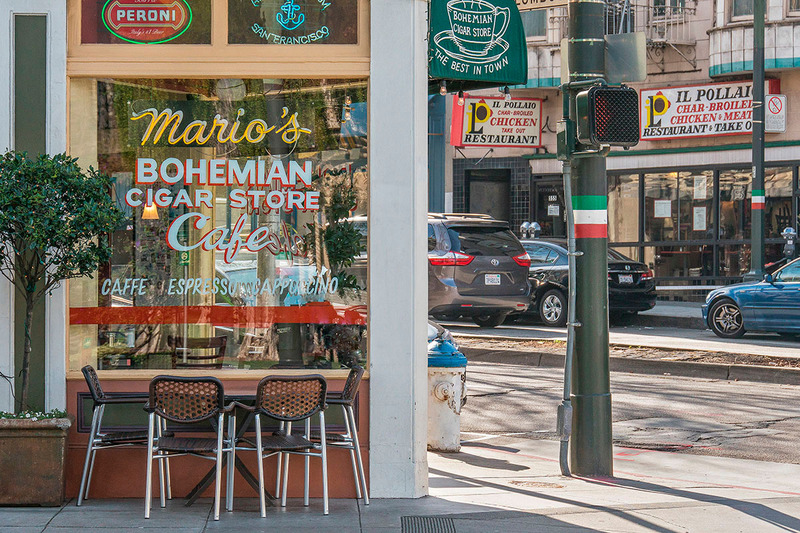 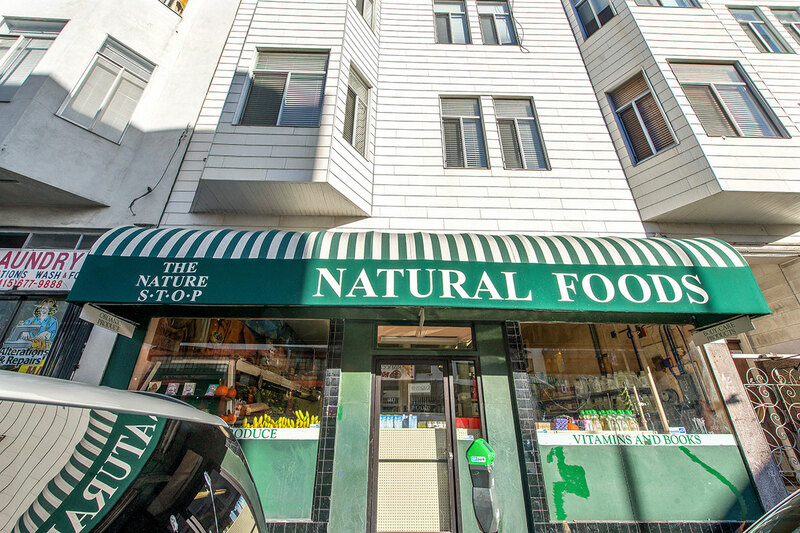 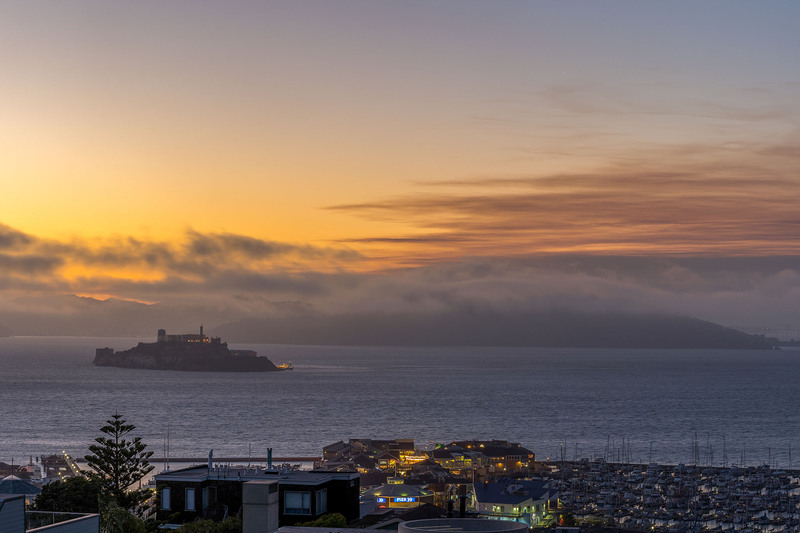 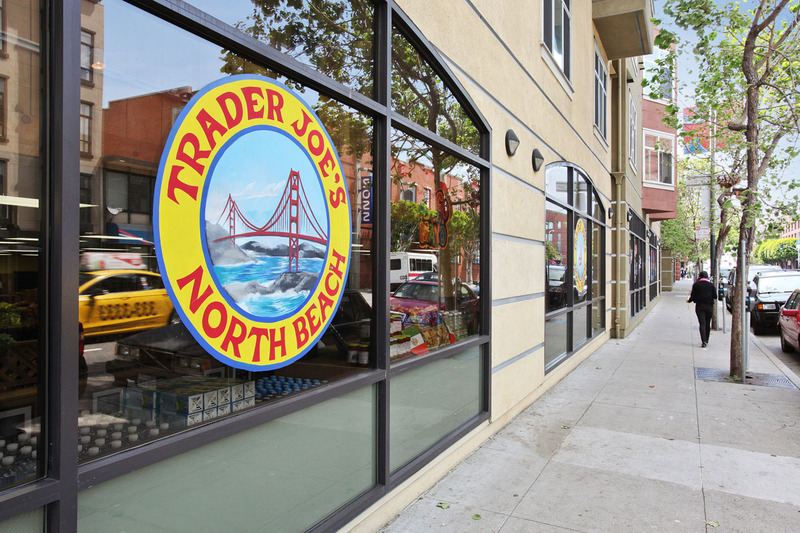 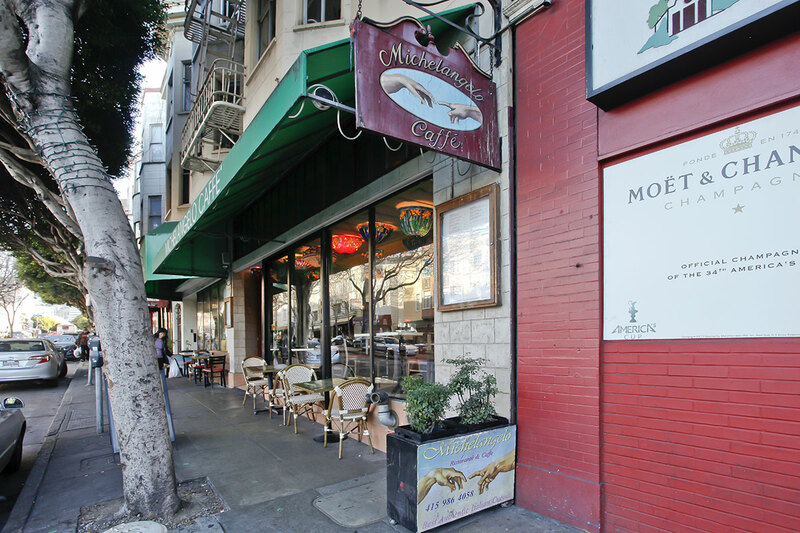 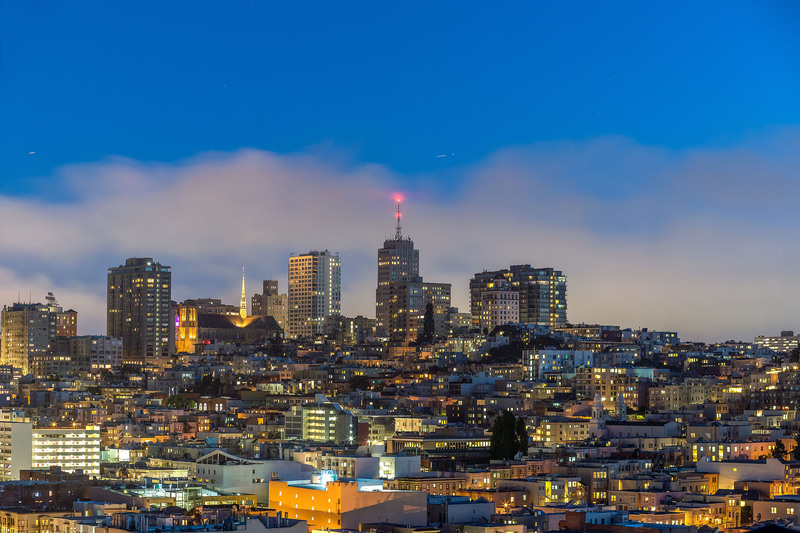 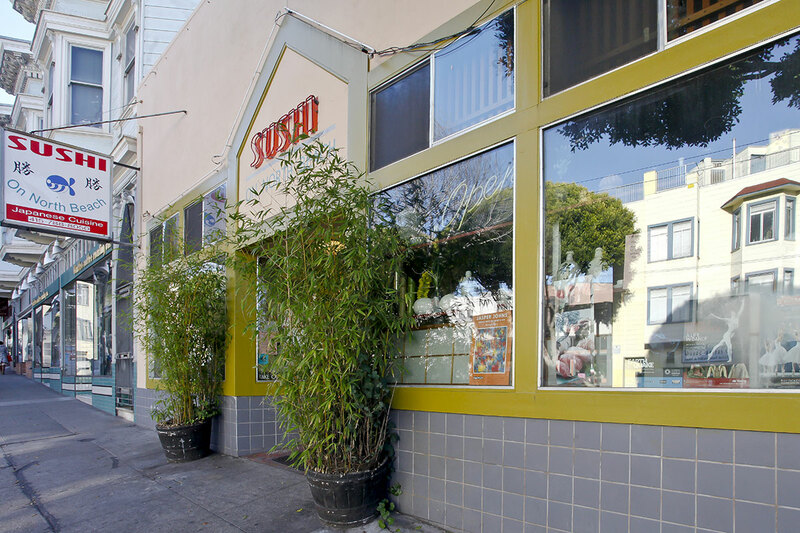 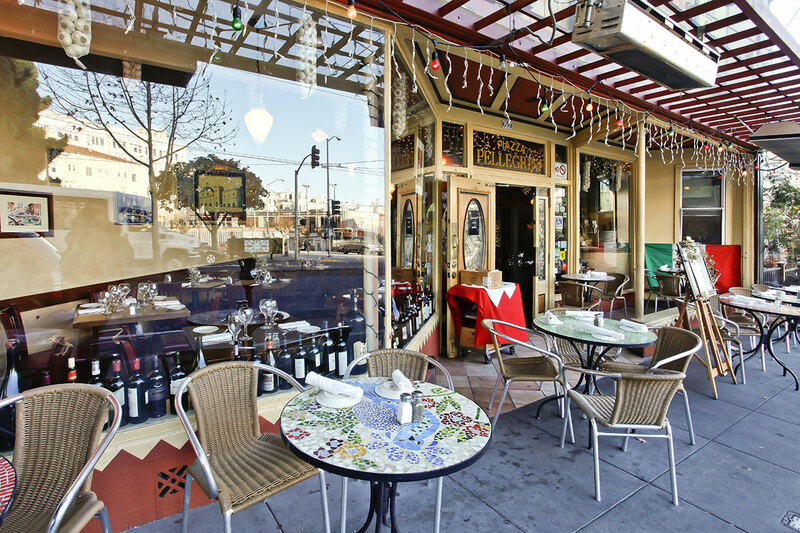 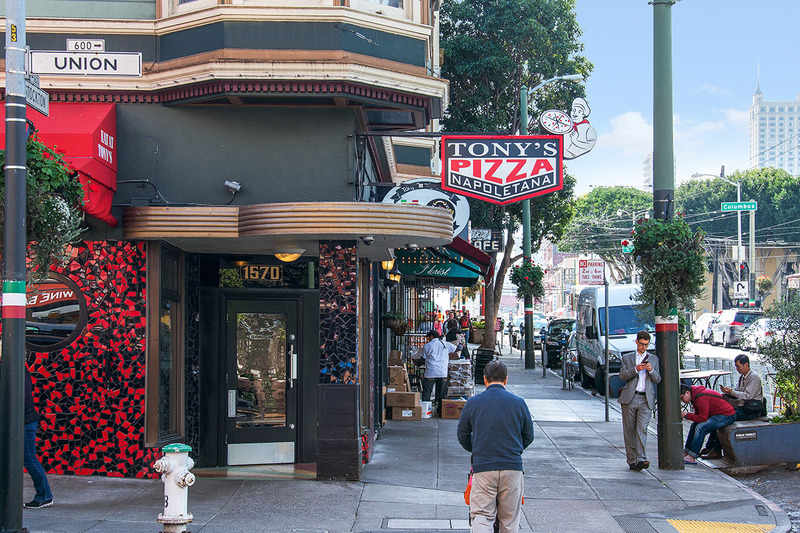 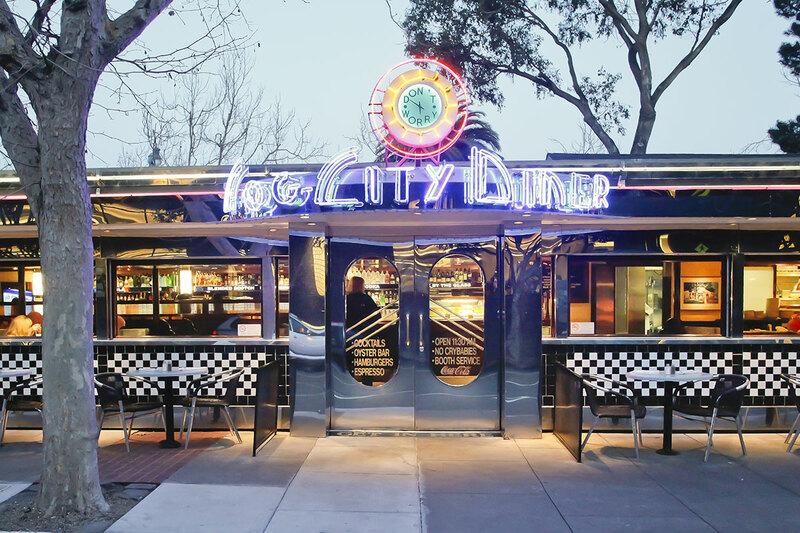 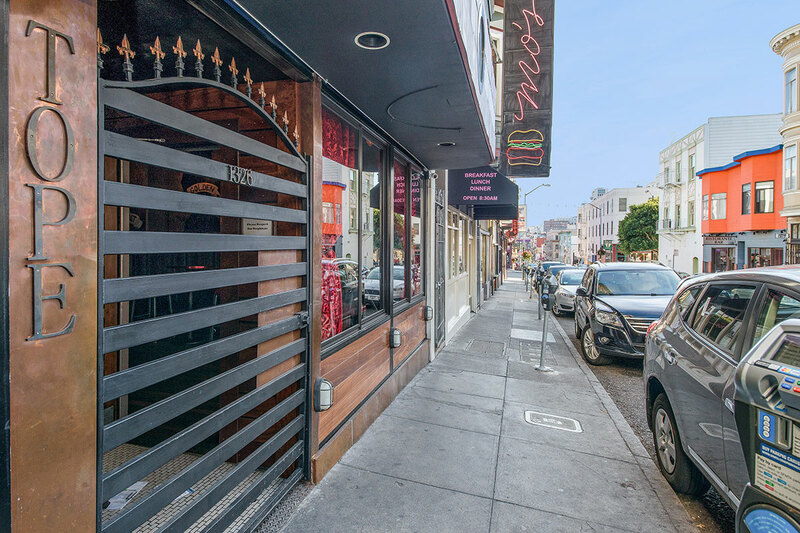 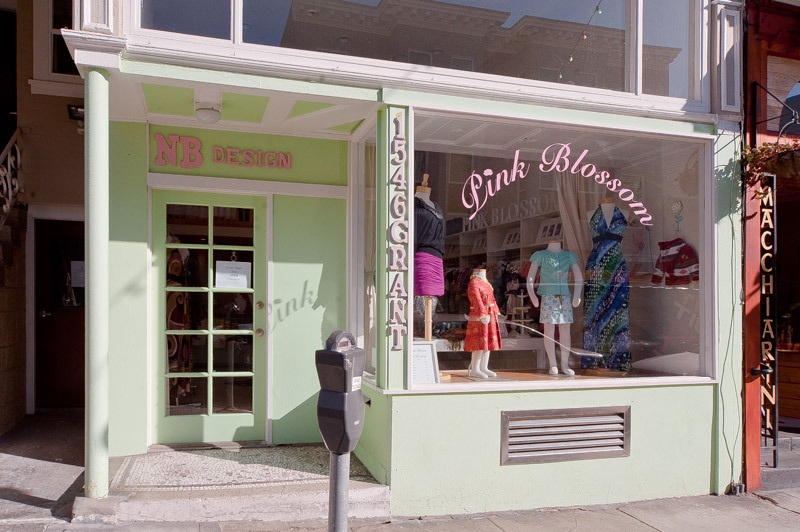 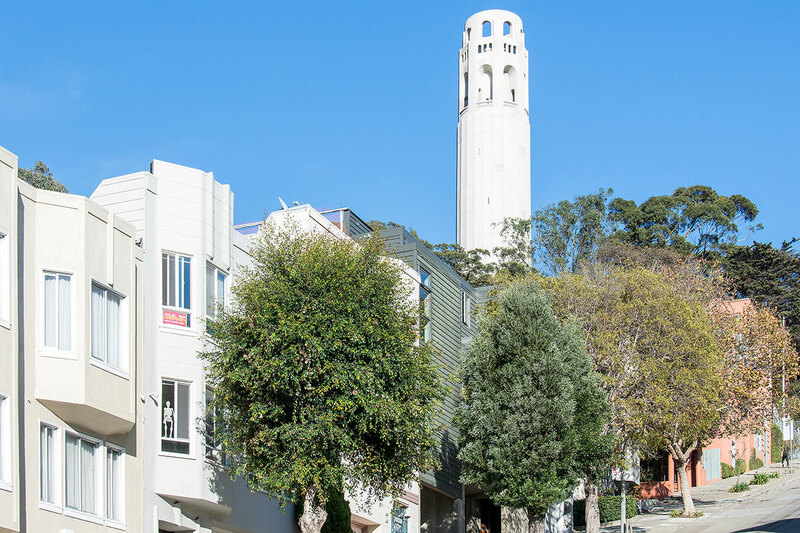 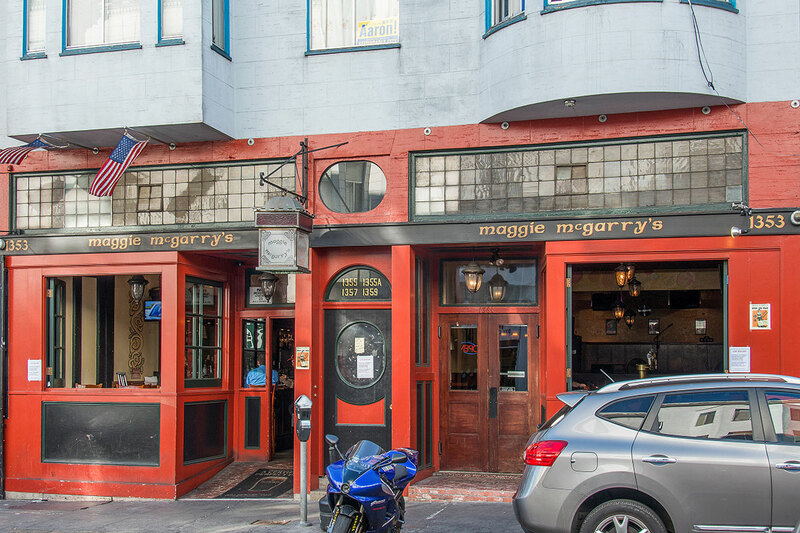 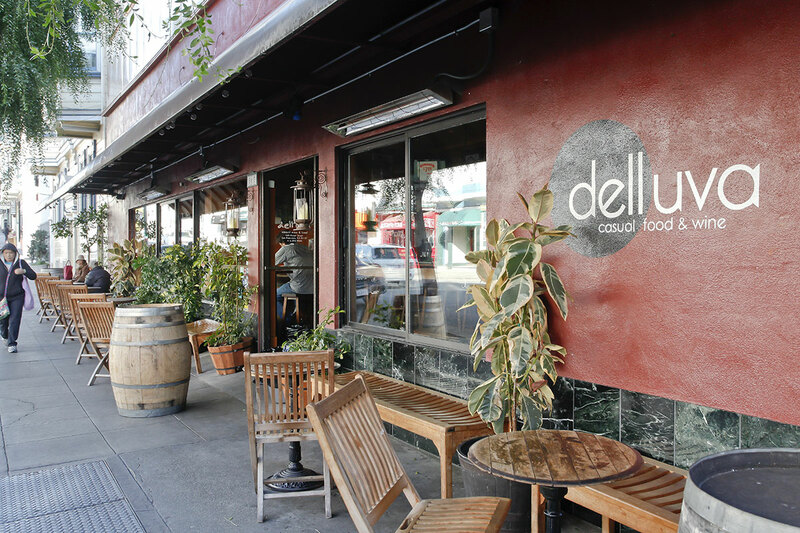 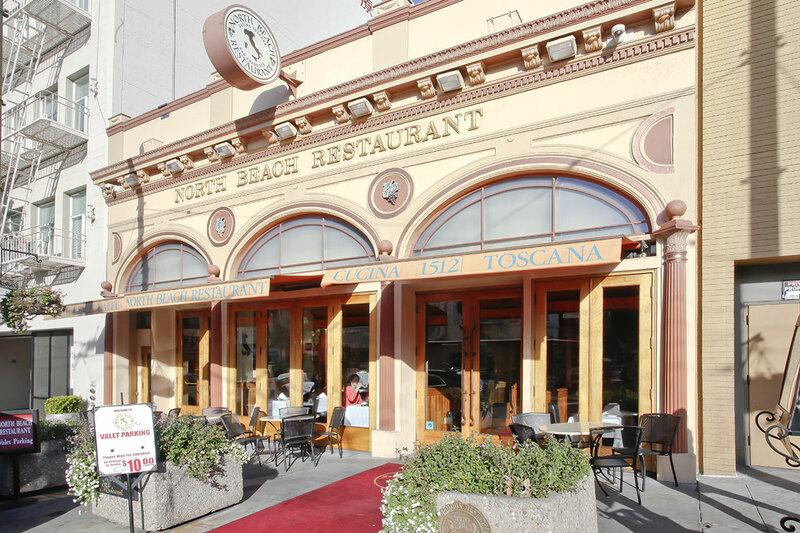 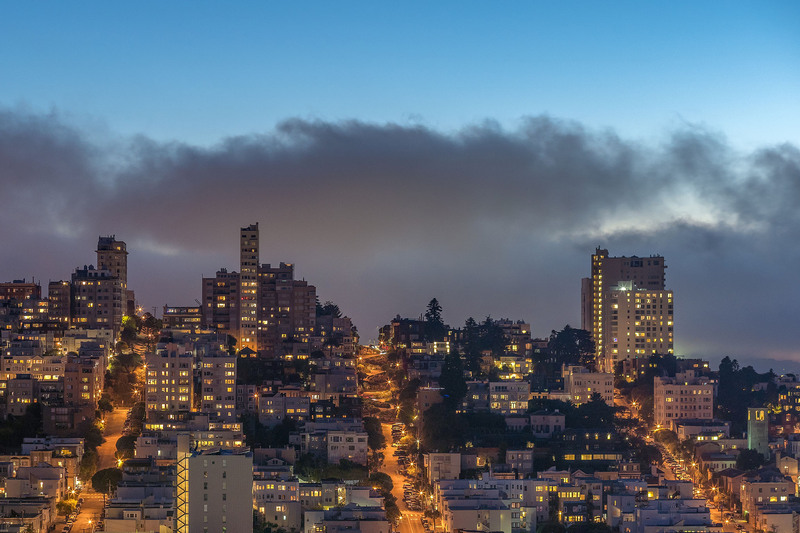 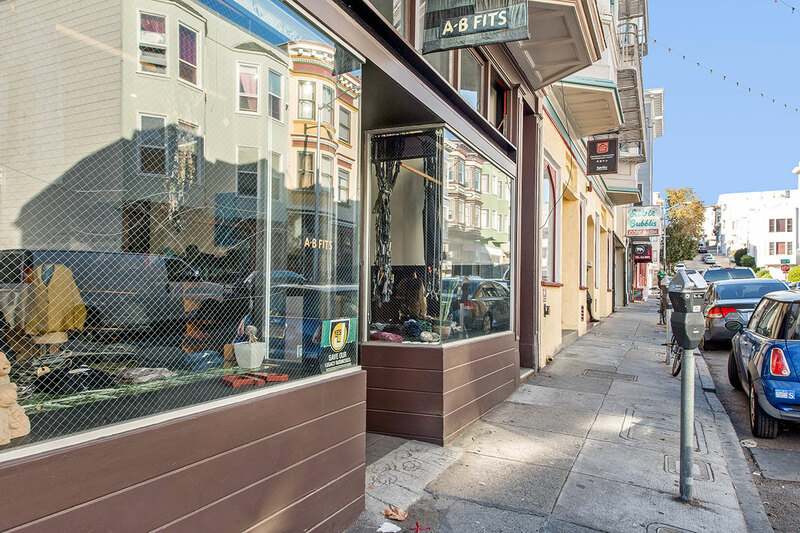 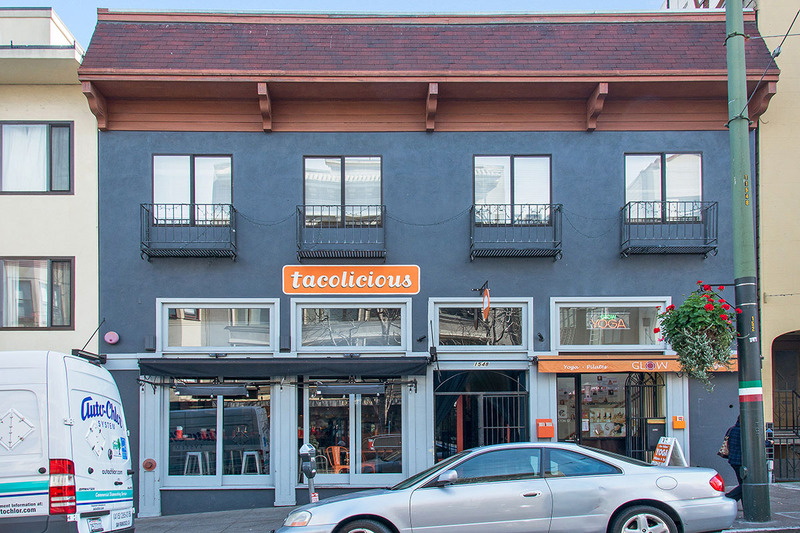 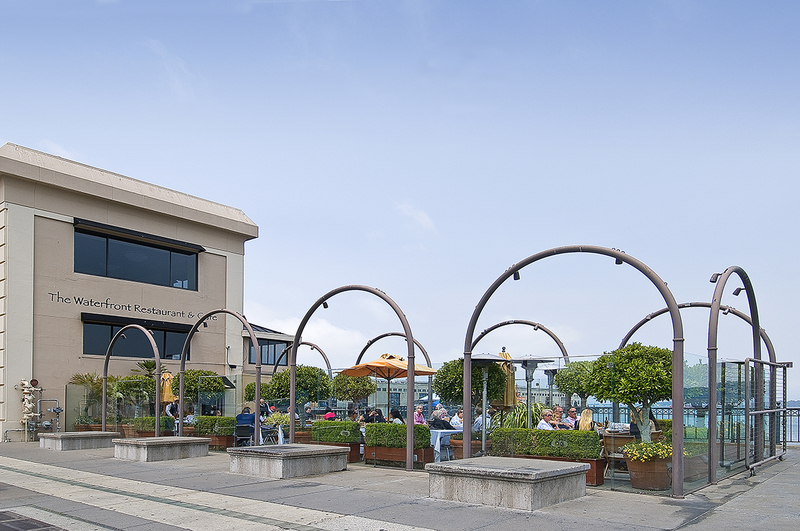 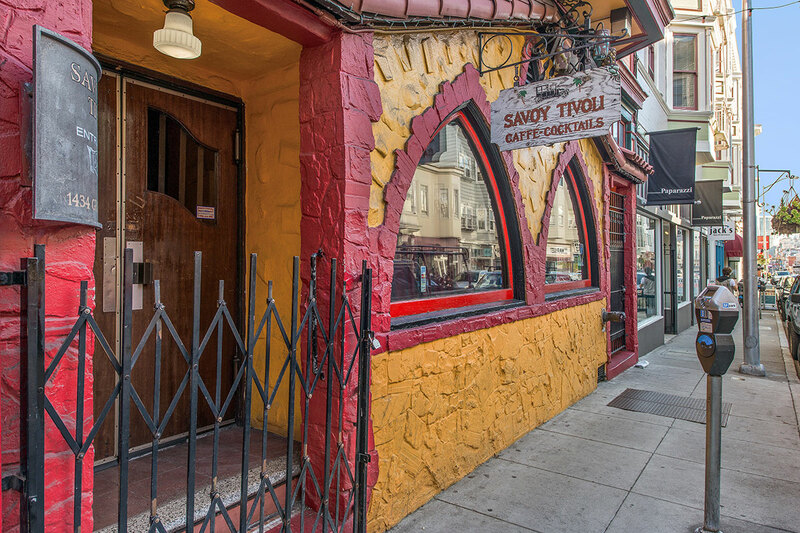 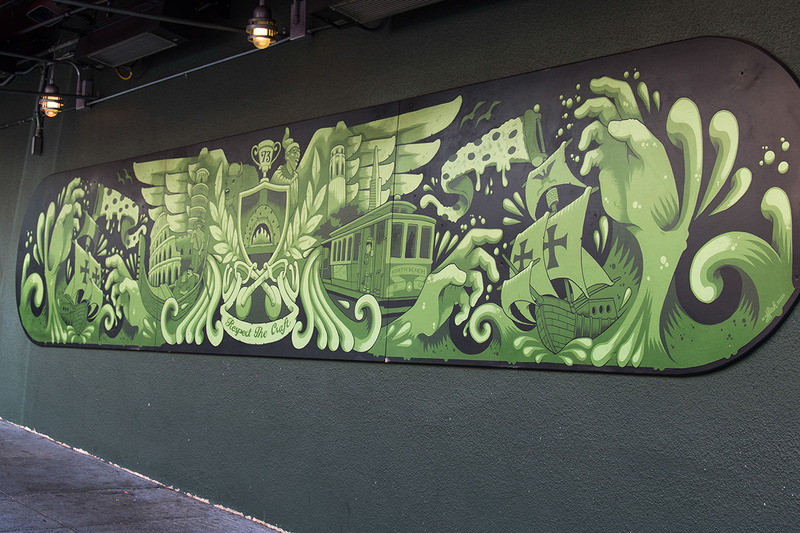 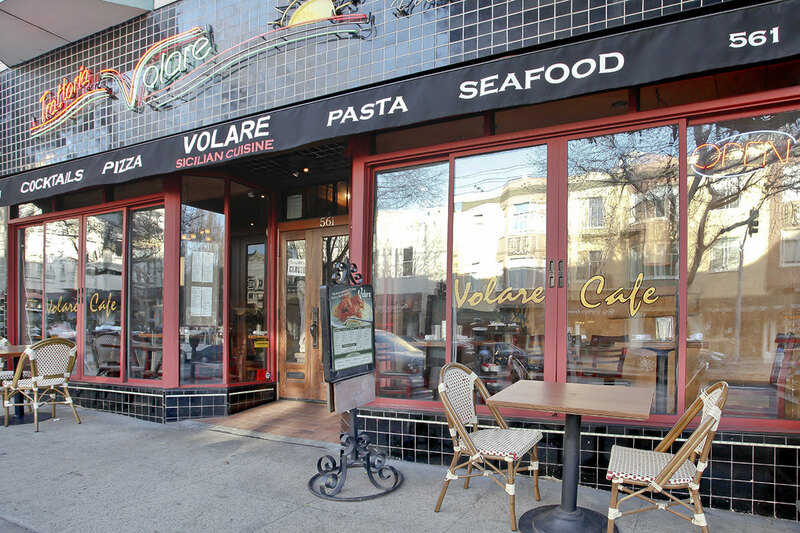 Wander up the street to Coit Tower or down the stairs to vibrant North Beach eateries and amenities. 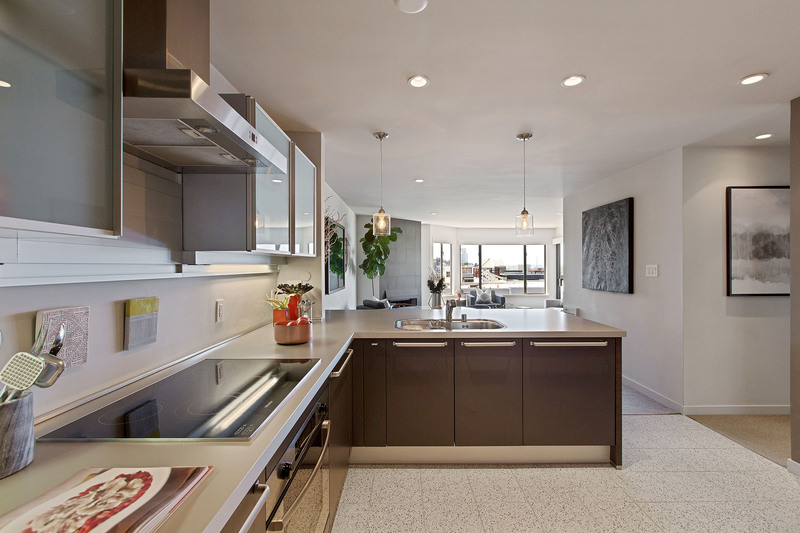 The modern open floor plan combines kitchen, dining area and living room to take full advantage of the mesmerizing views. 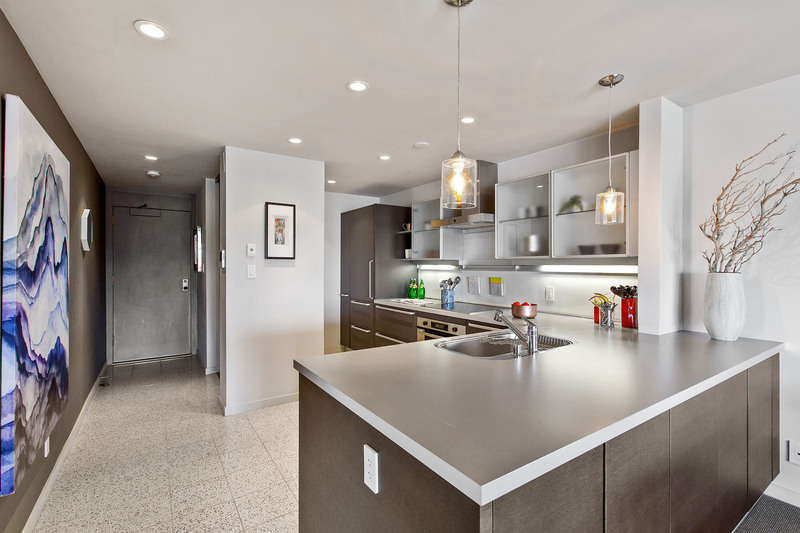 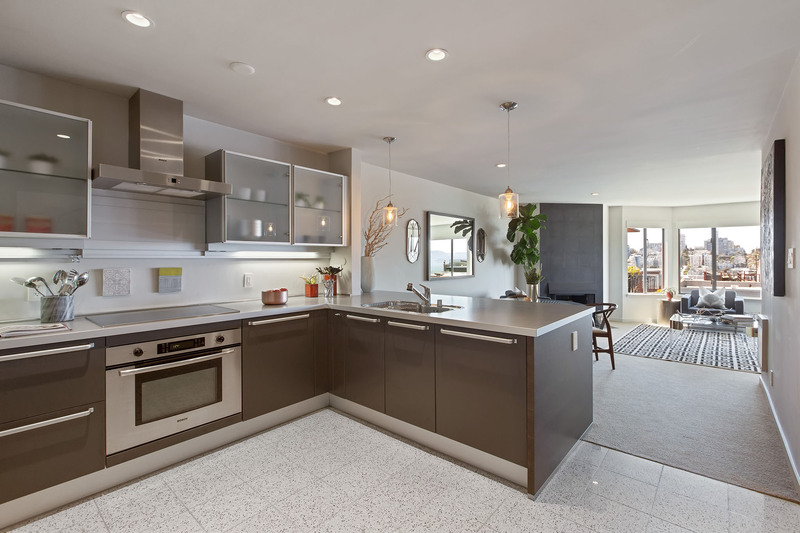 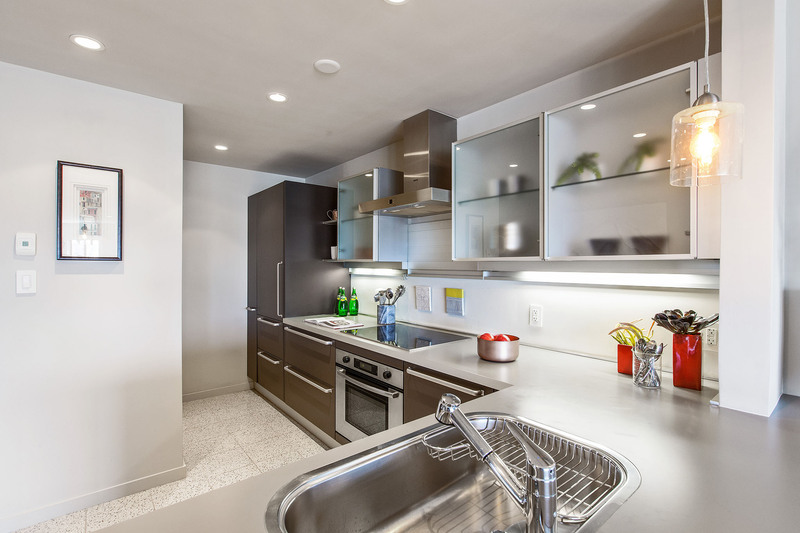 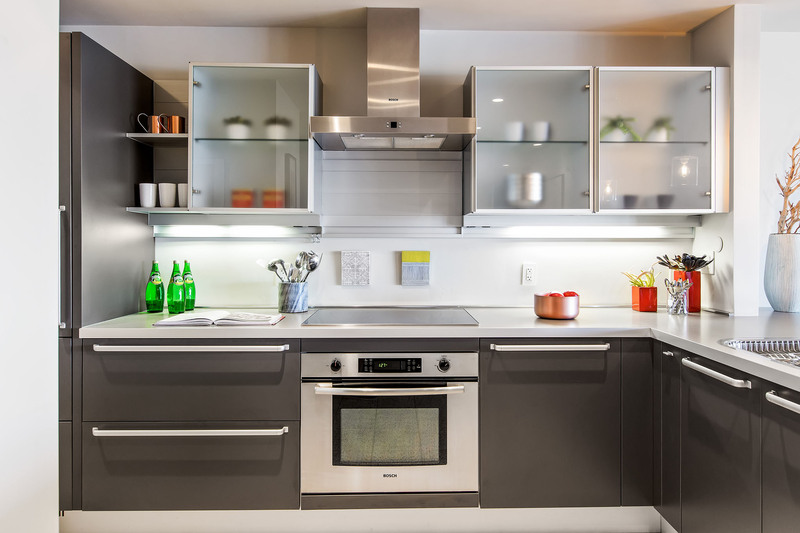 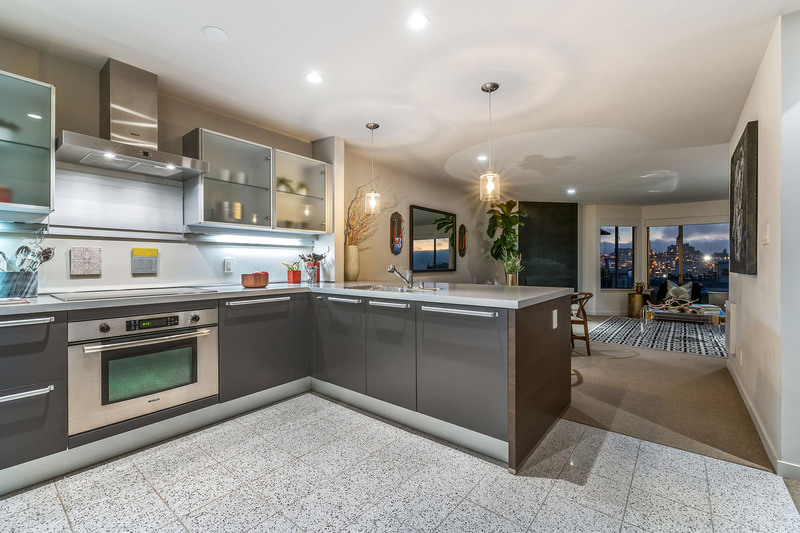 Enjoy the chef’s kitchen with Arclinea Italian kitchen cabinets, and top of the line Miele, Sub Zero and Bosch appliances. 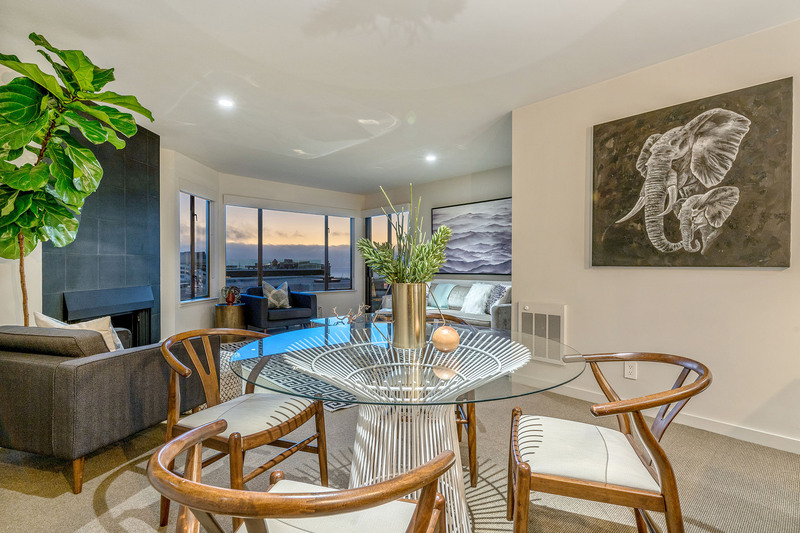 Eat by the fireplace or on the private deck connected to both the living room and master suite. 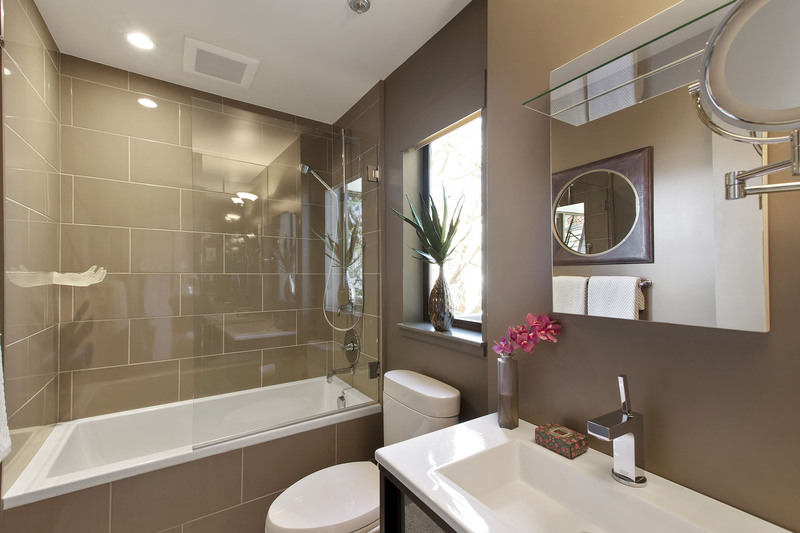 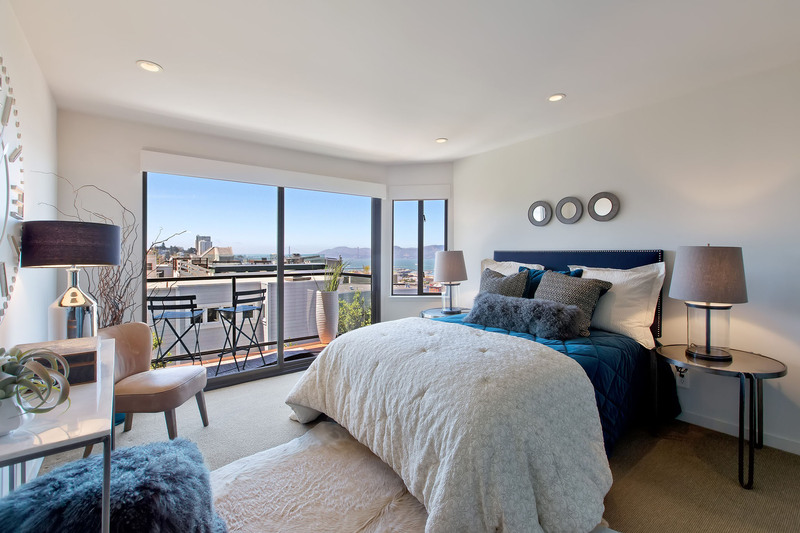 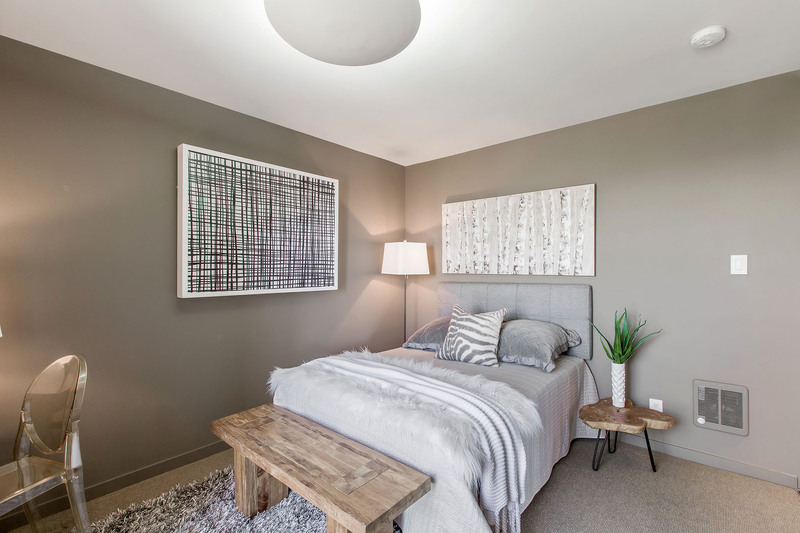 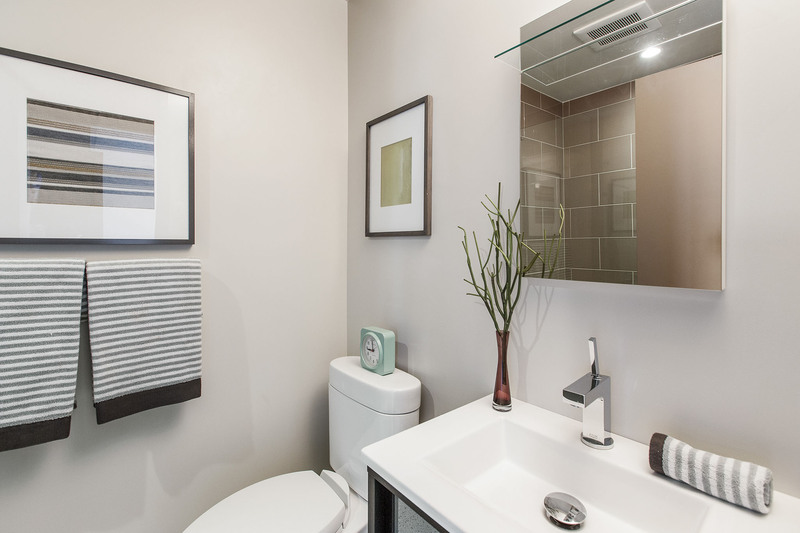 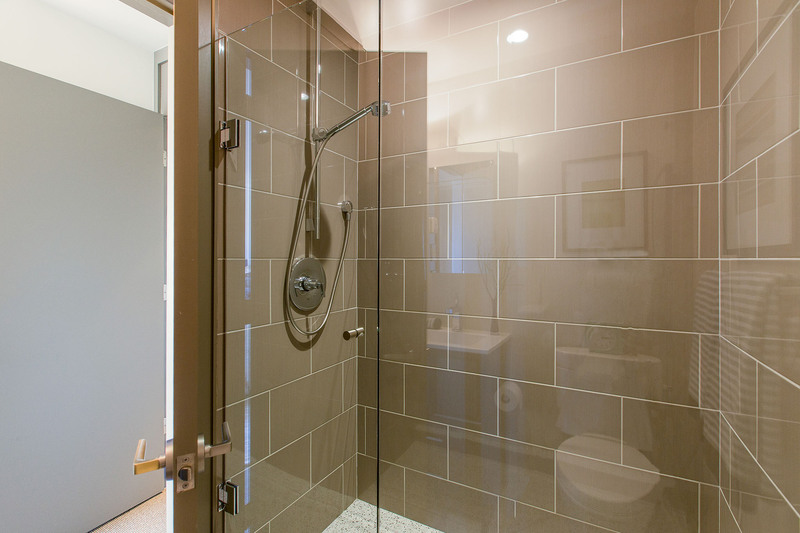 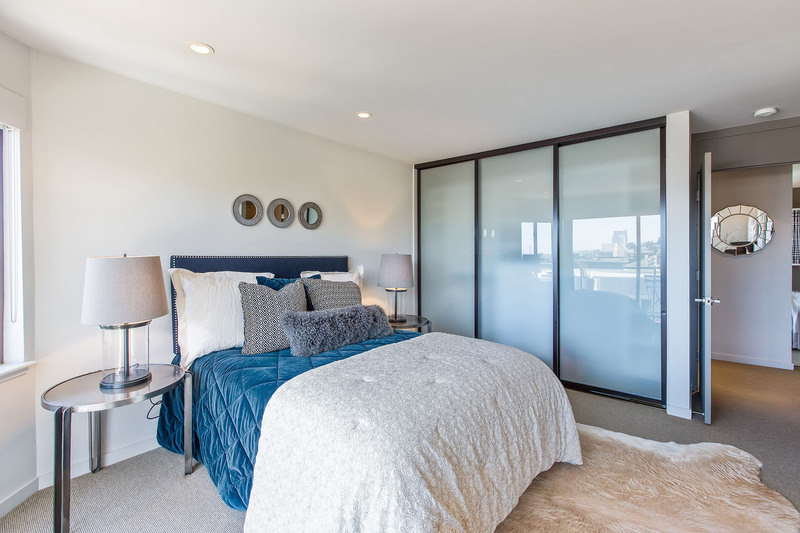 The master suite features an amazing view, elegant updated bathroom with radiant heated floors and custom closet. 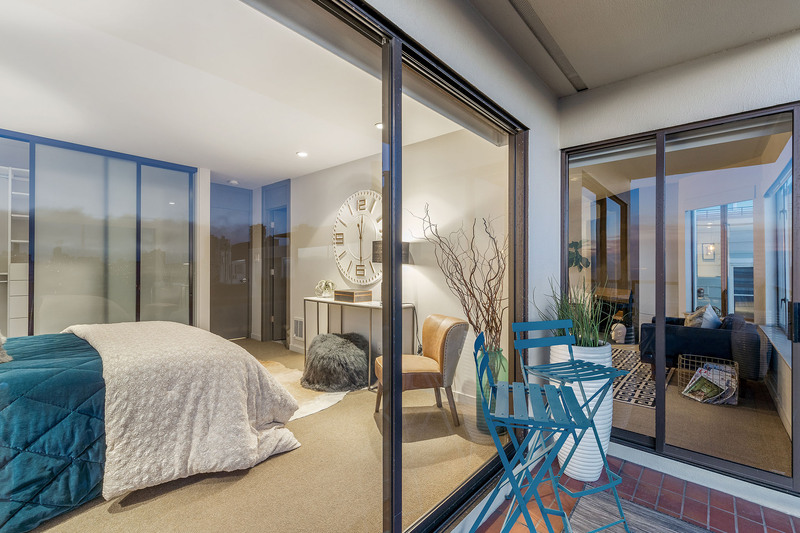 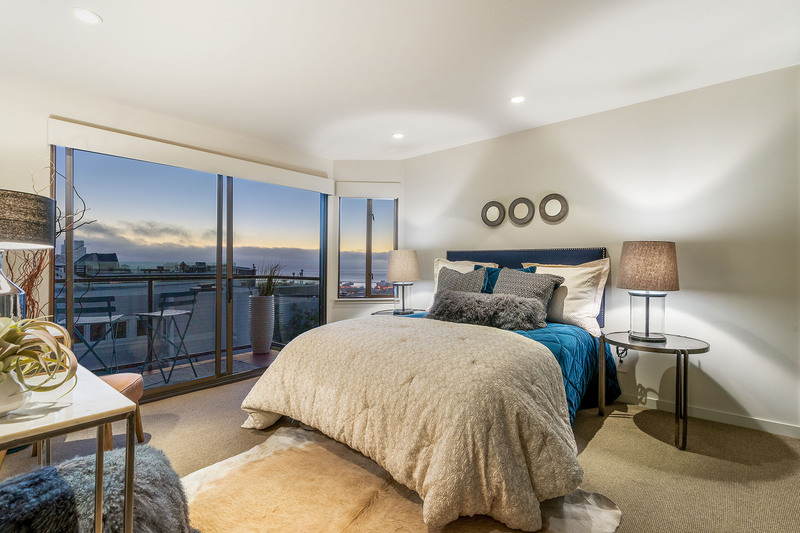 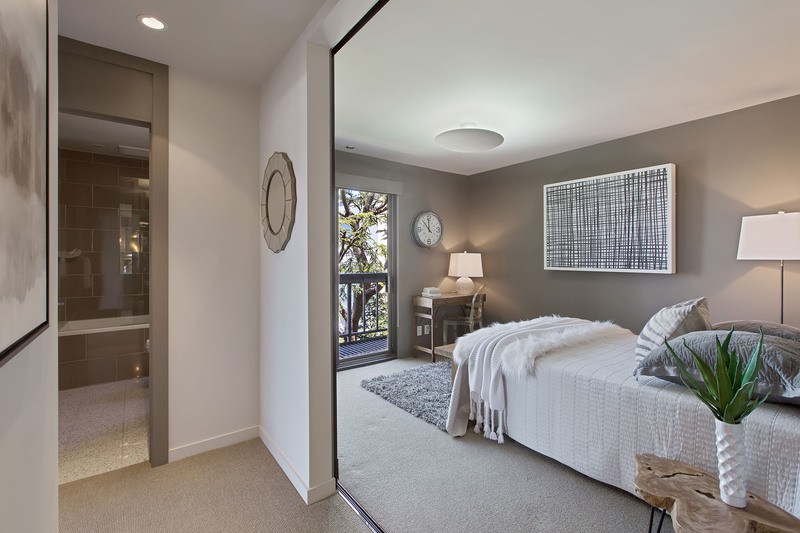 A den with sliding frosted panel doors is an ideal guest bedroom, den or home office. 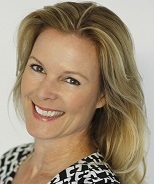 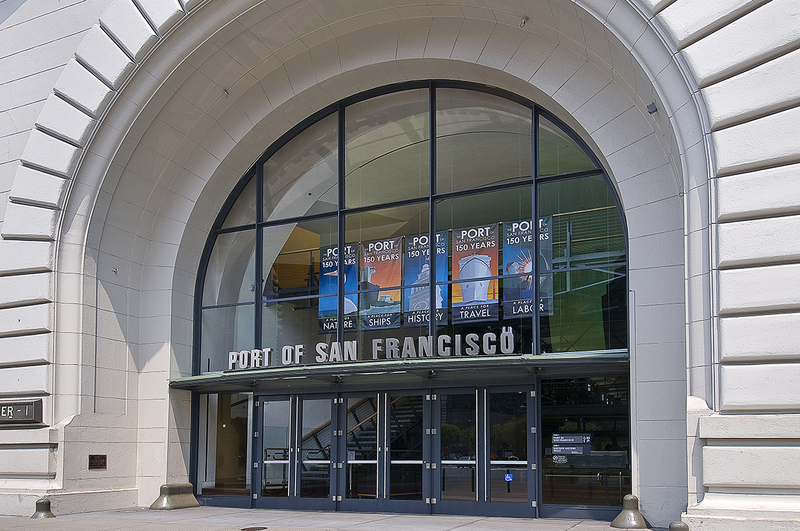 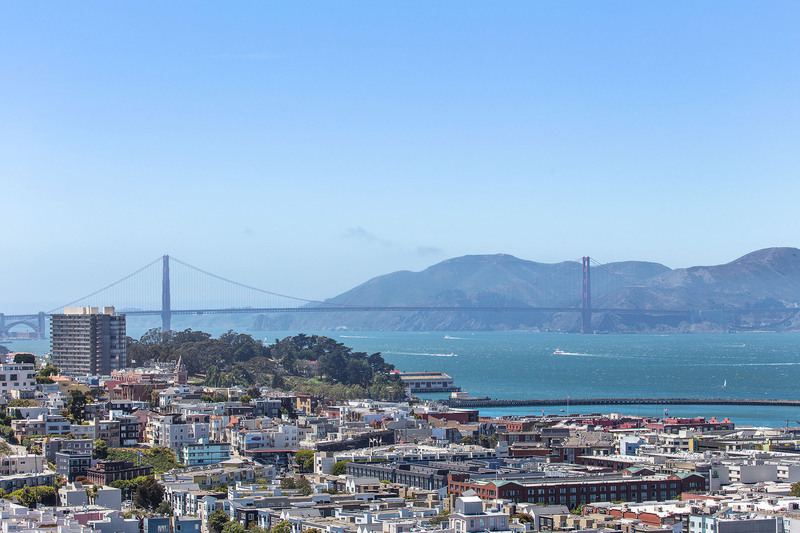 Welcome to a fabulous San Francisco experience. 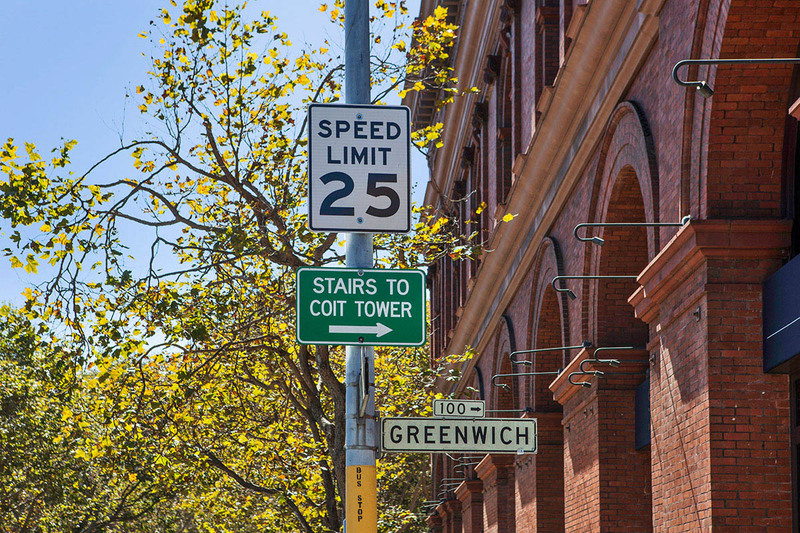 Telegraph Hill is one the city's oldest neighborhoods, inhabited long before the gold rush by the men who worked on the nearby waterfront. 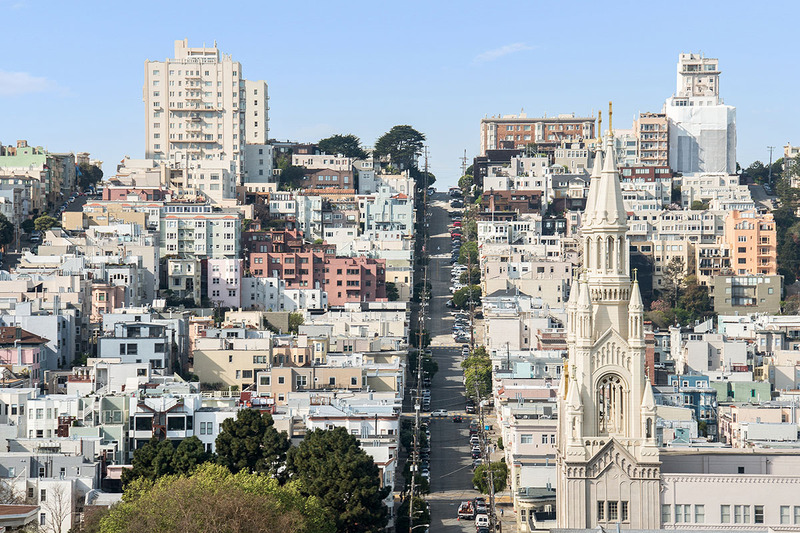 Today Telegraph Hill is home to the largest concentration of pre-1870 buildings in San Francisco, some of which predate the gold rush. 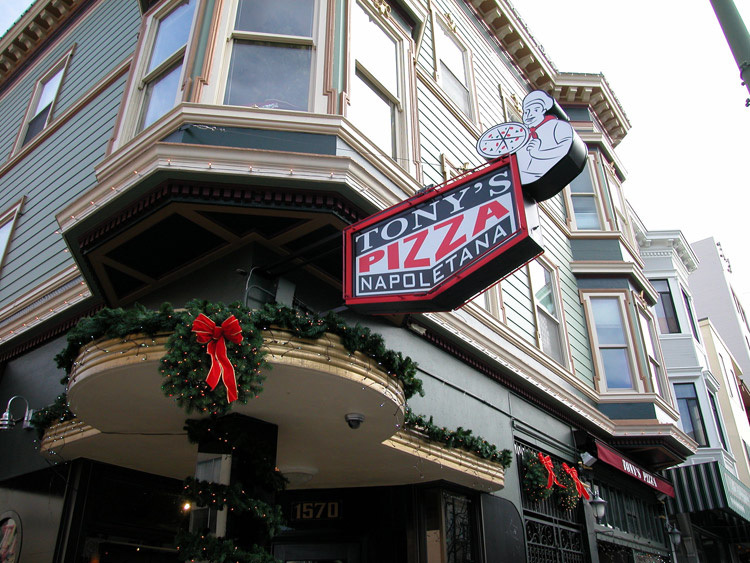 The neighborhood still bears witness to those glory days. 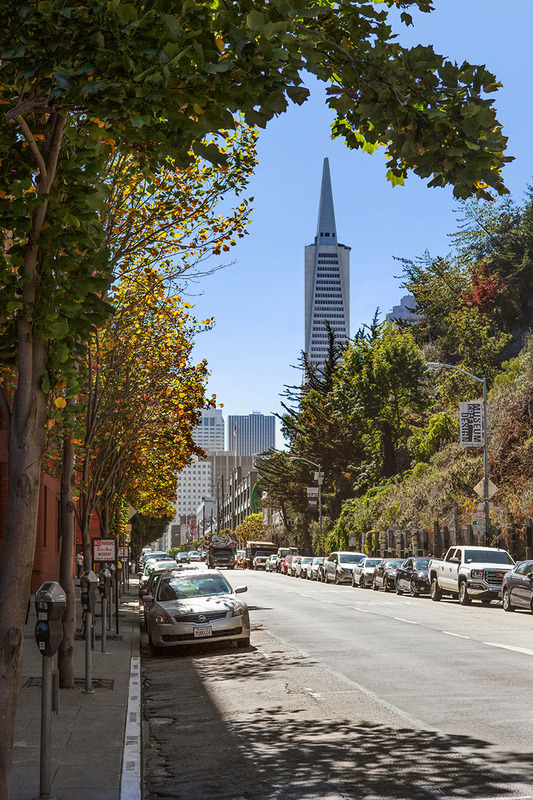 As ships unloaded their cargo, a quarry at the top of Telegraph Hill supplied the rocks they needed for ballast, and today the exposed cliff face above Broadway remains one of the neighborhood's defining features. 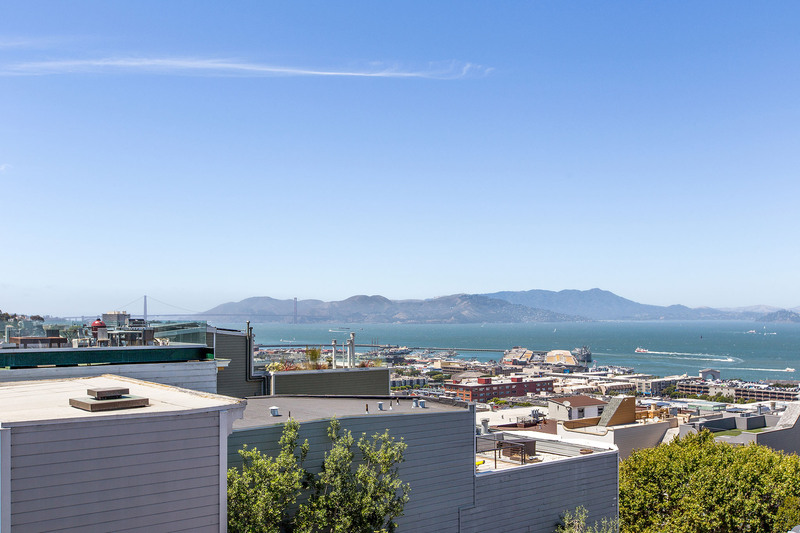 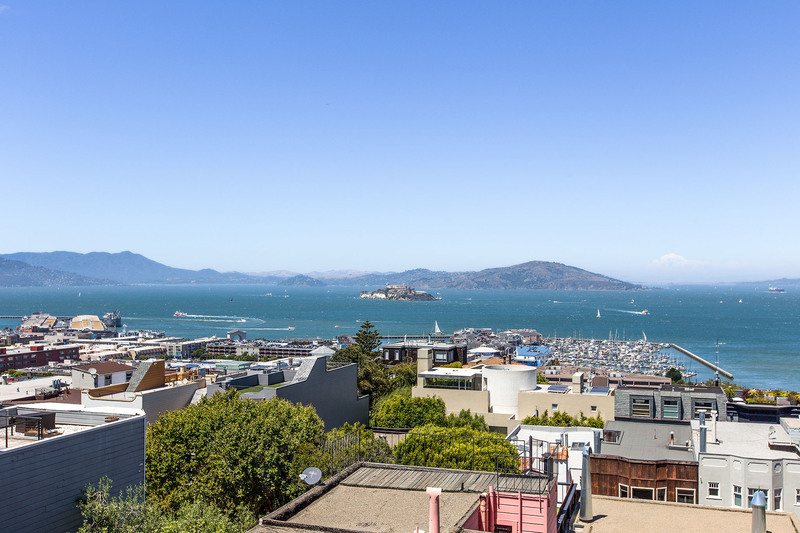 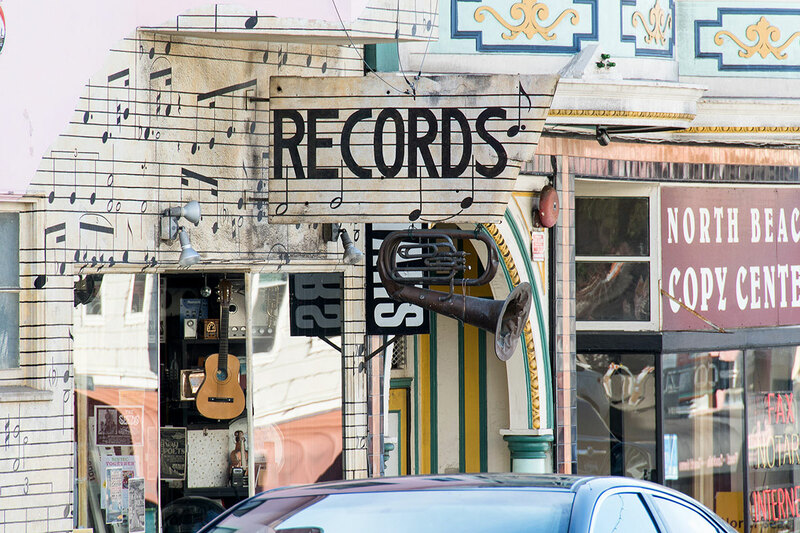 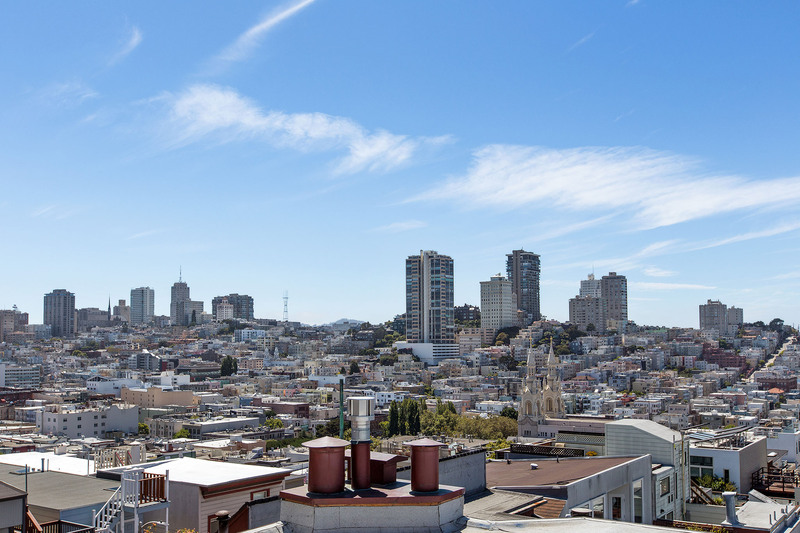 Telegraph Hill is famed for its Italianate homes, Carpenter Gothic, and charming cottages with their steeply pitched roofs and ornate wooden scroll work. 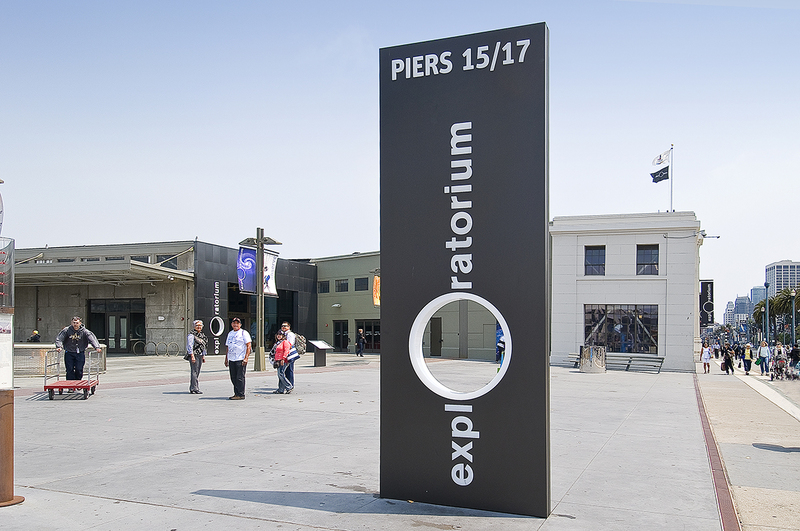 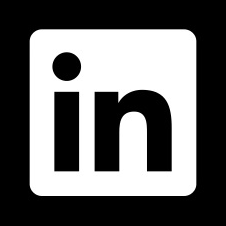 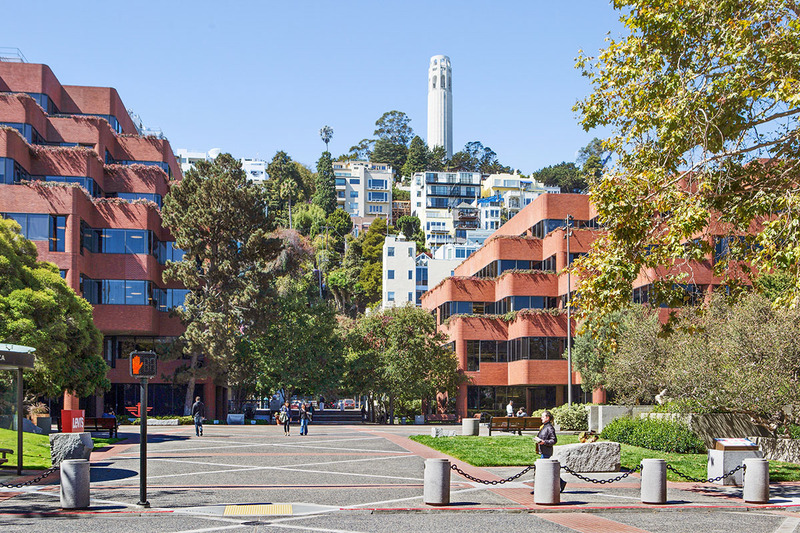 Those examples of old San Francisco are joined by newer additions including modernist homes by noted architects Richard Neutra, Gardner Dailey, and William Wurster. 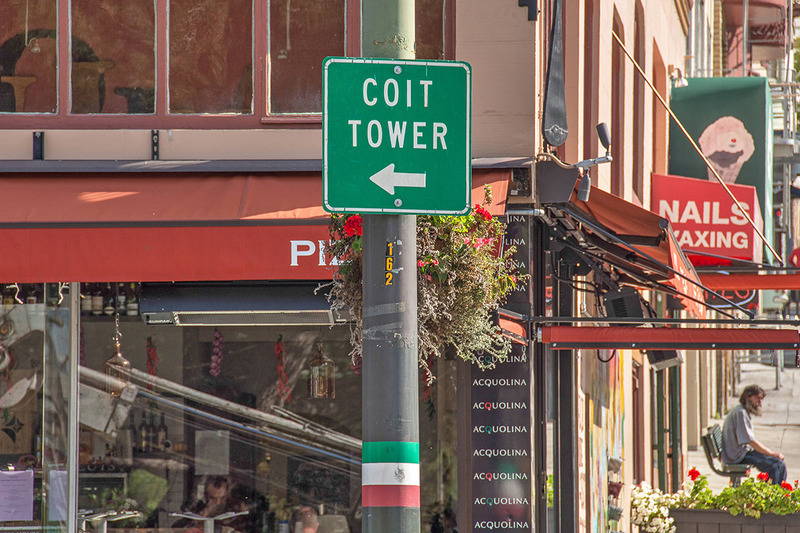 Coit Tower, named after the heiress who donated the funds to honor San Francisco's firefighters, dominates the skyline of this residential community just above North Beach and Chinatown. 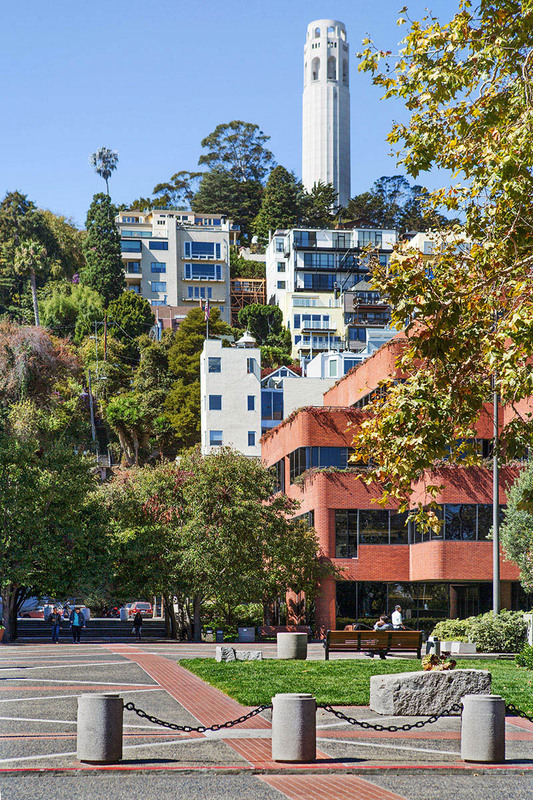 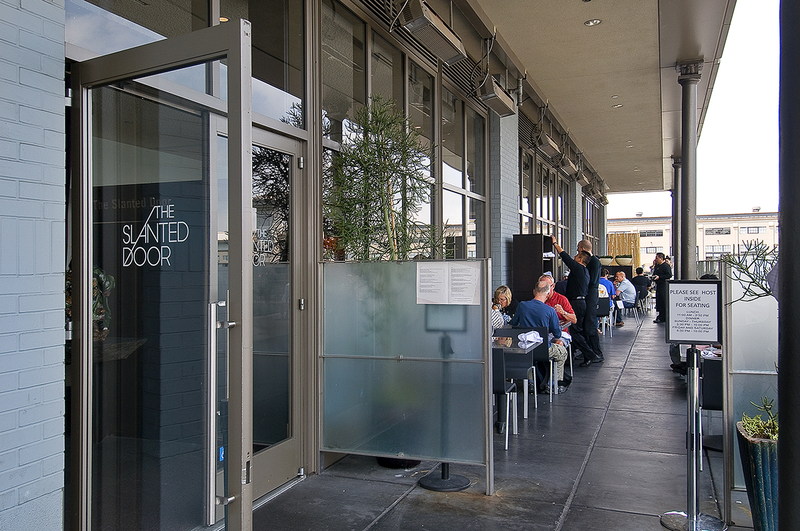 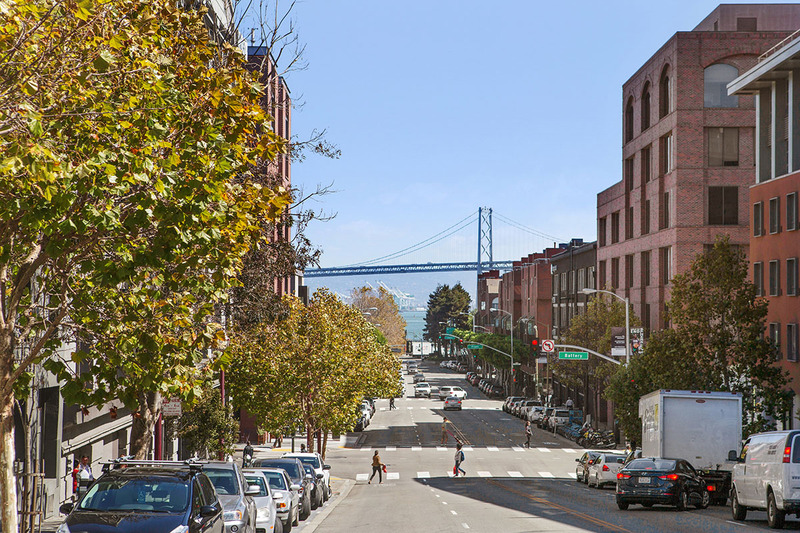 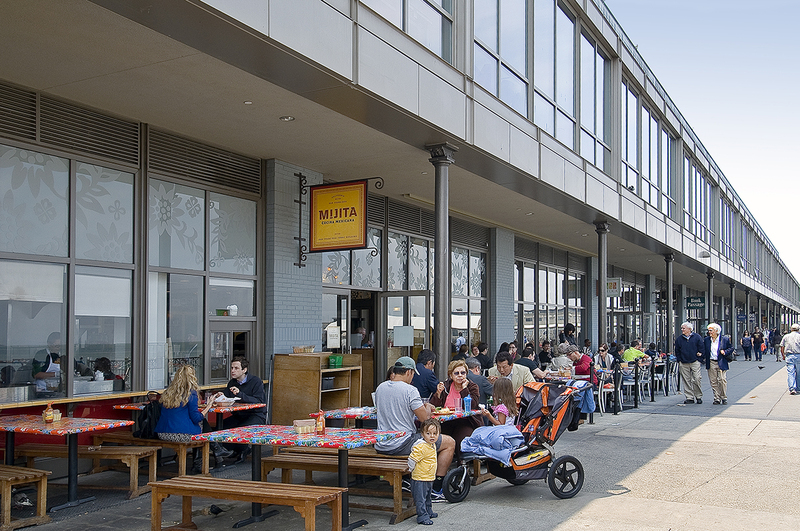 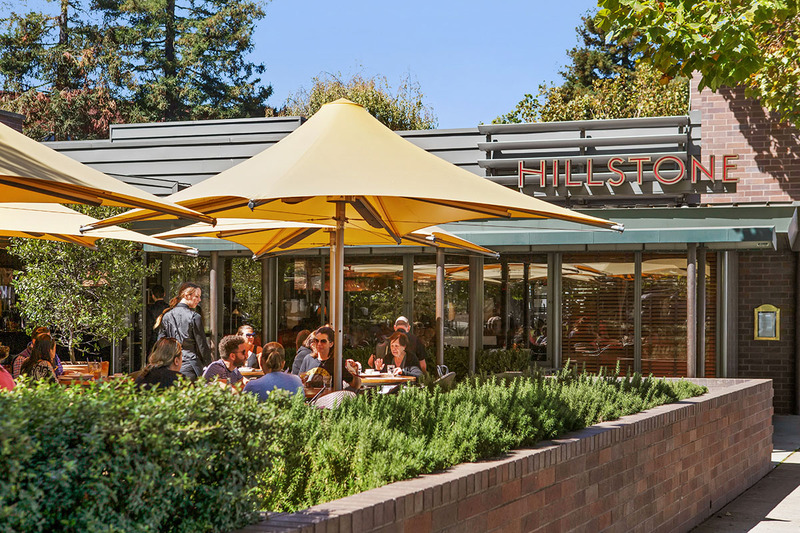 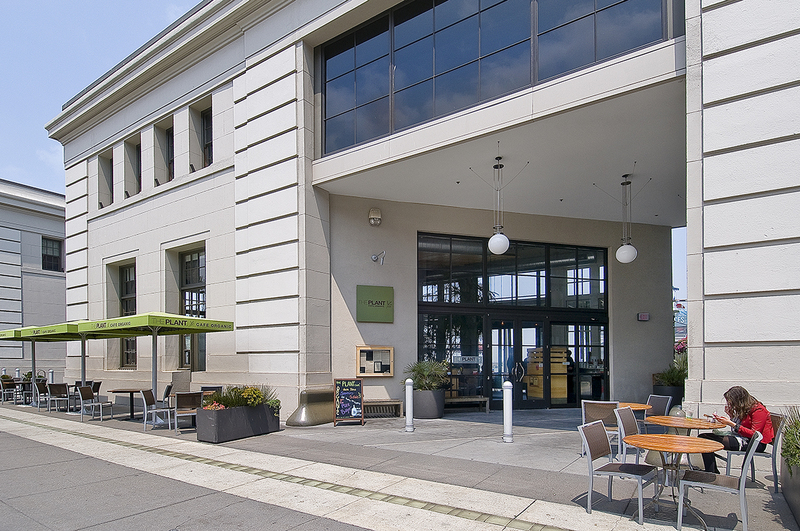 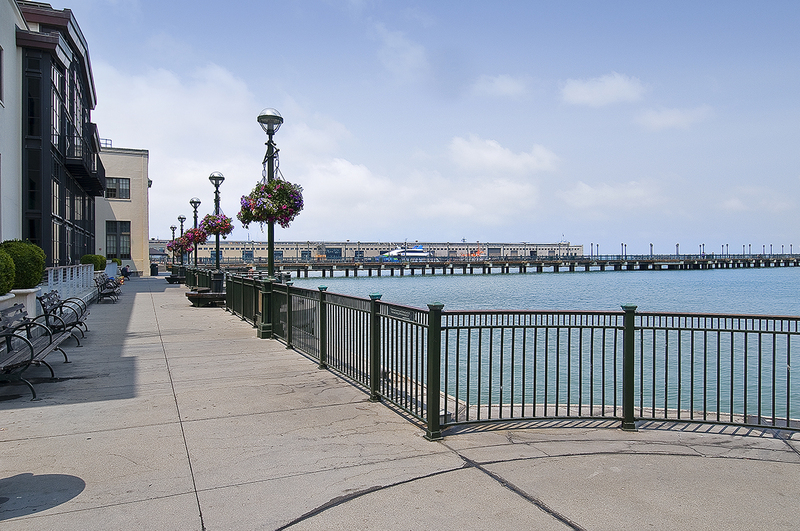 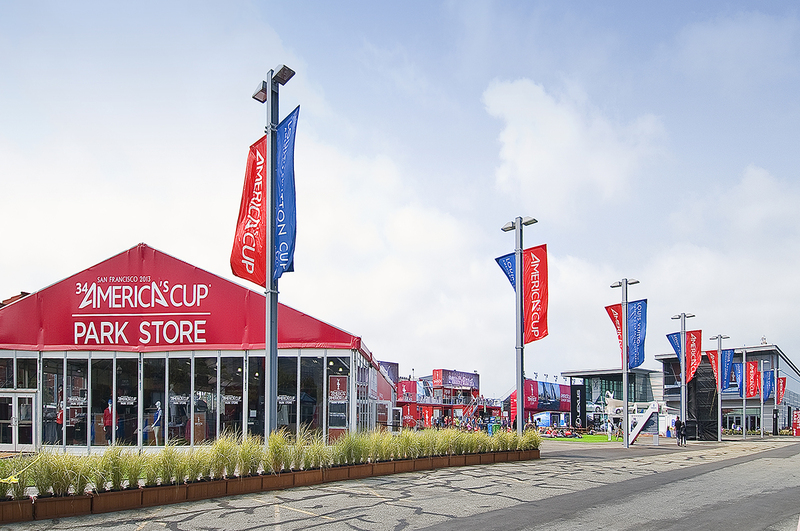 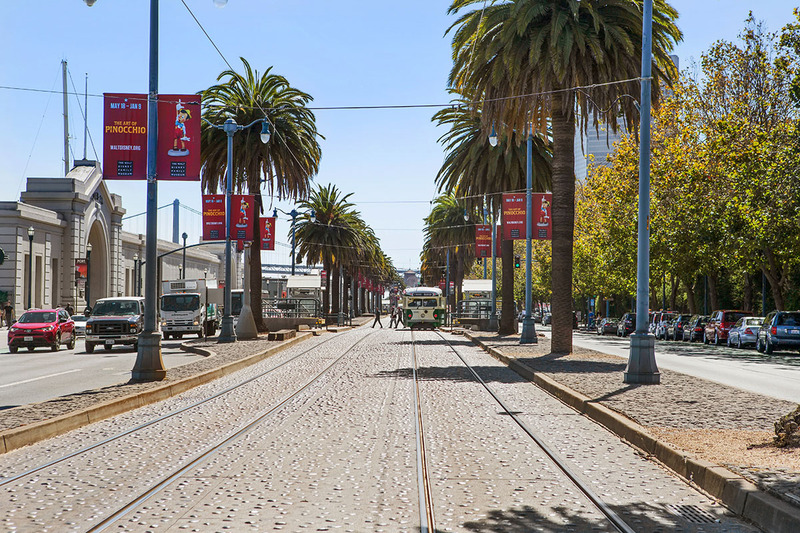 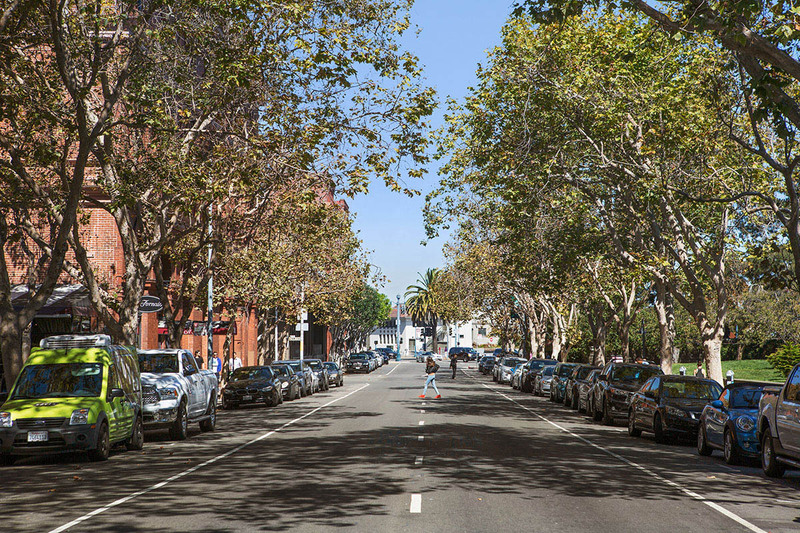 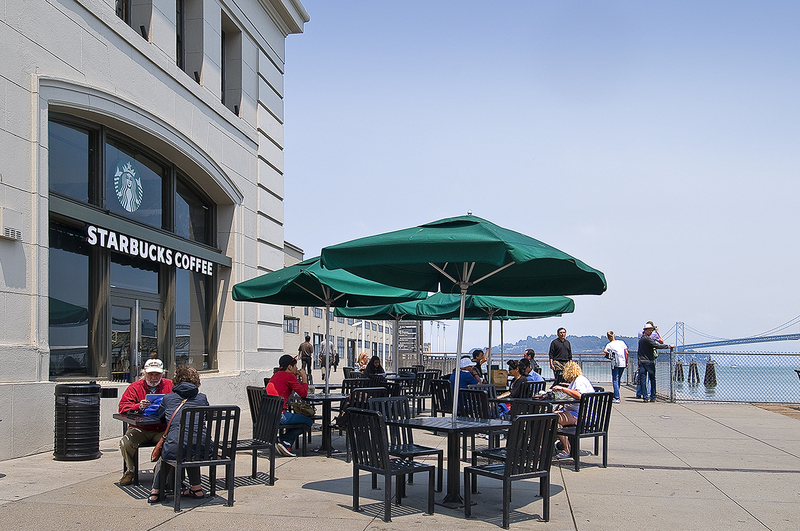 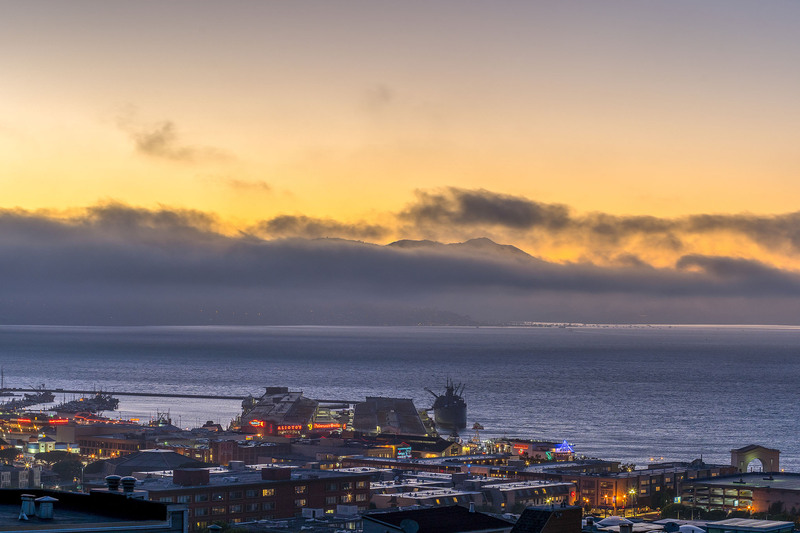 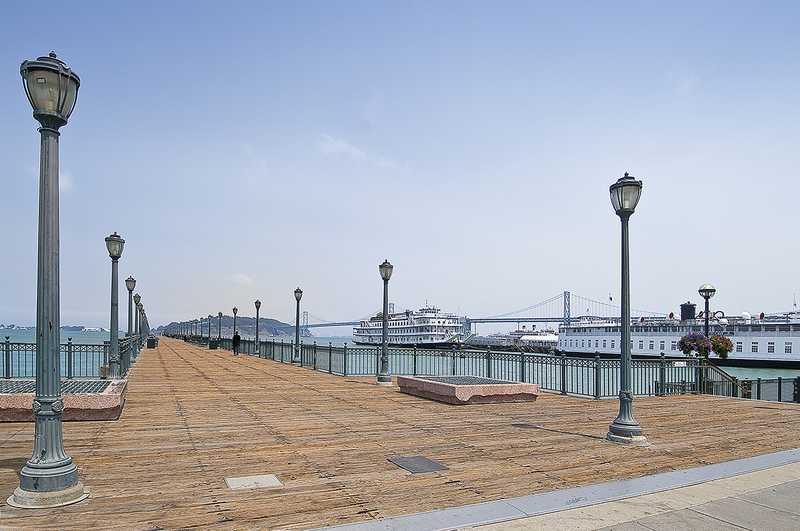 While steep, the slopes of Telegraph Hill lead to the financial district, Fisherman's Wharf, and the waterfront, making this an extremely walkable neighborhood. 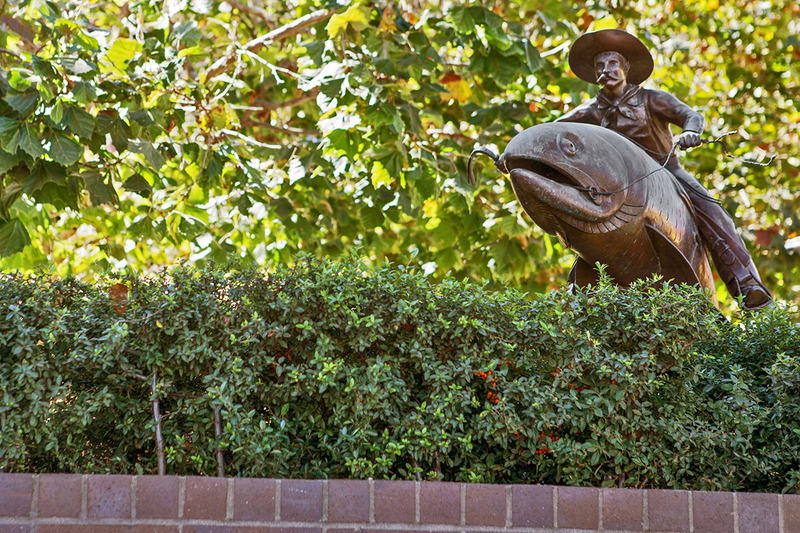 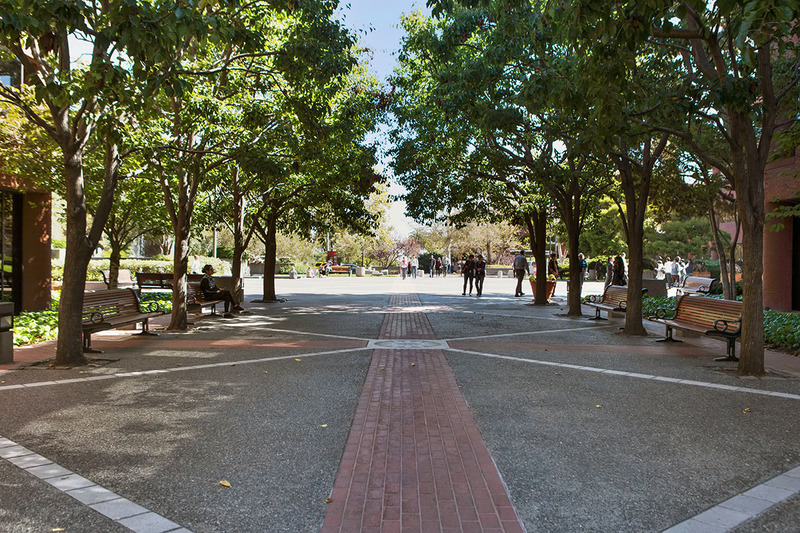 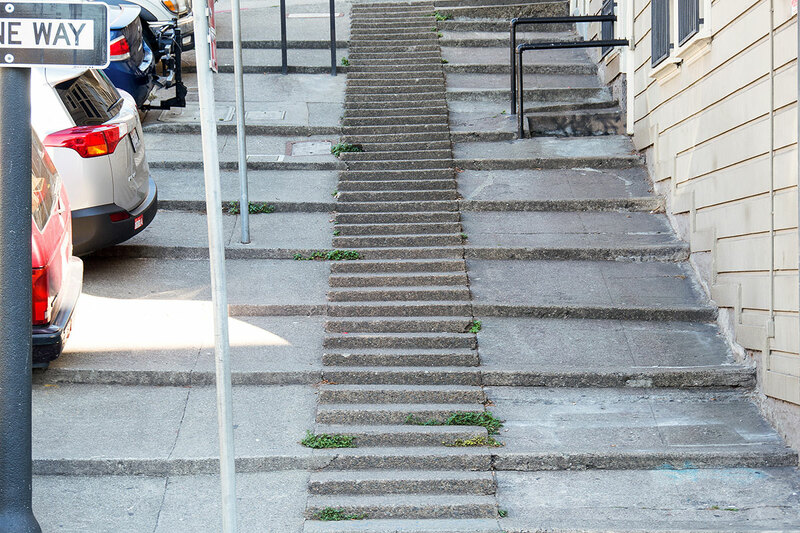 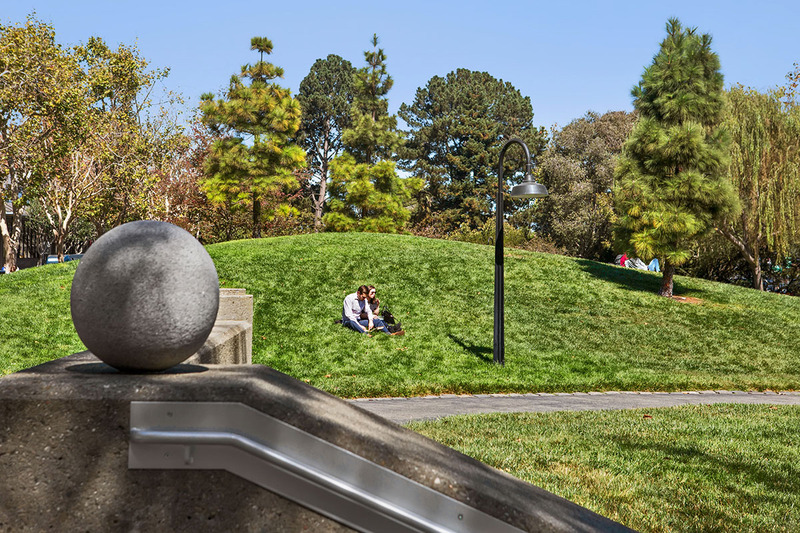 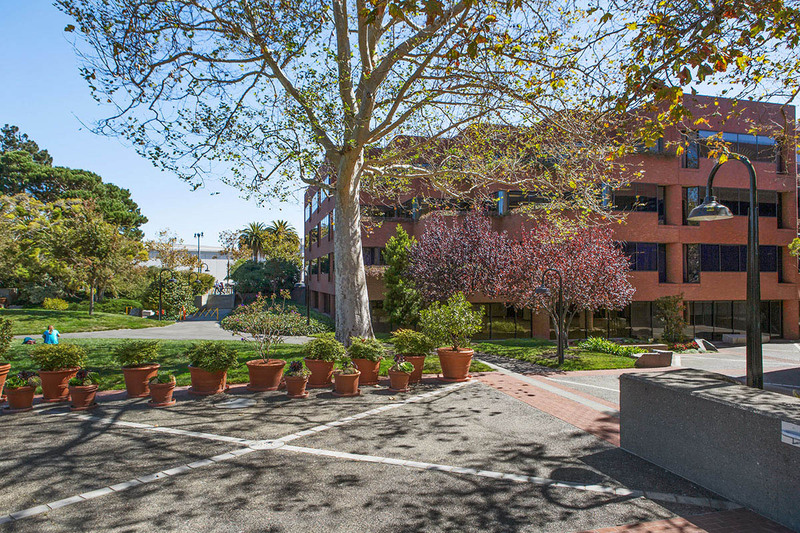 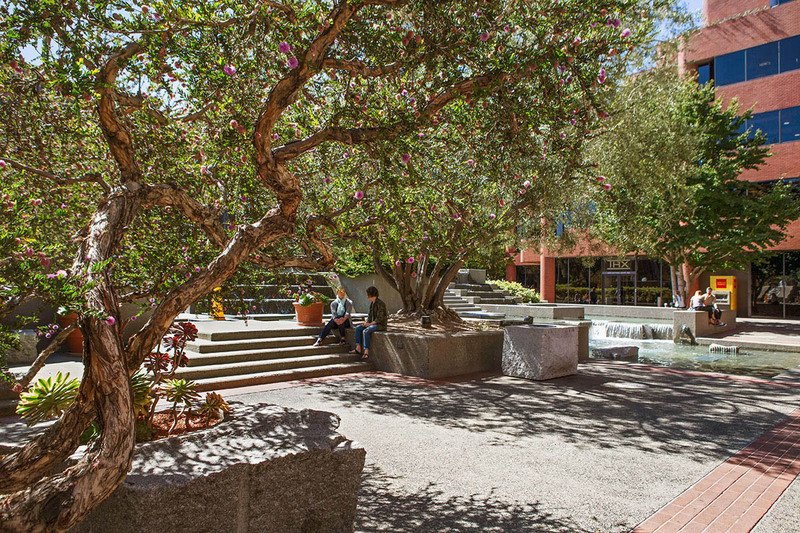 The Filbert Street Steps, one of the many wooden walkways that crisscross this community, provides a pathway up the hill from Levi Plaza. 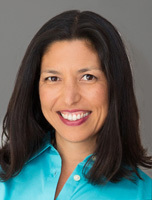 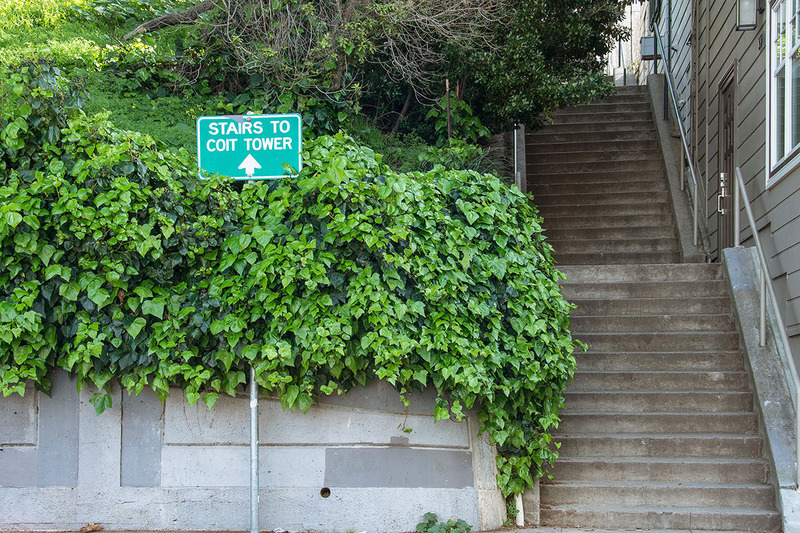 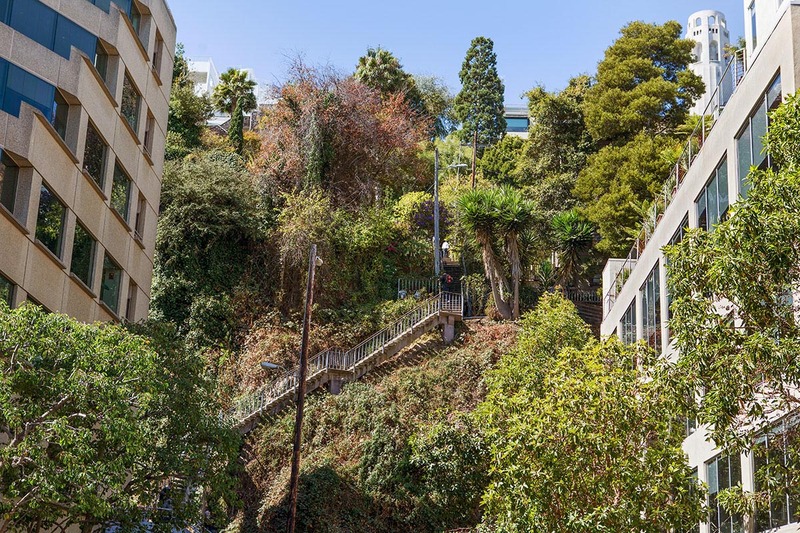 Fortified with a meal from Il Fornaio, climbers can take the steps to Coit Tower, past flowering community gardens, and towering trees colonized by rowdy flocks of escaped parrots now gone feral. 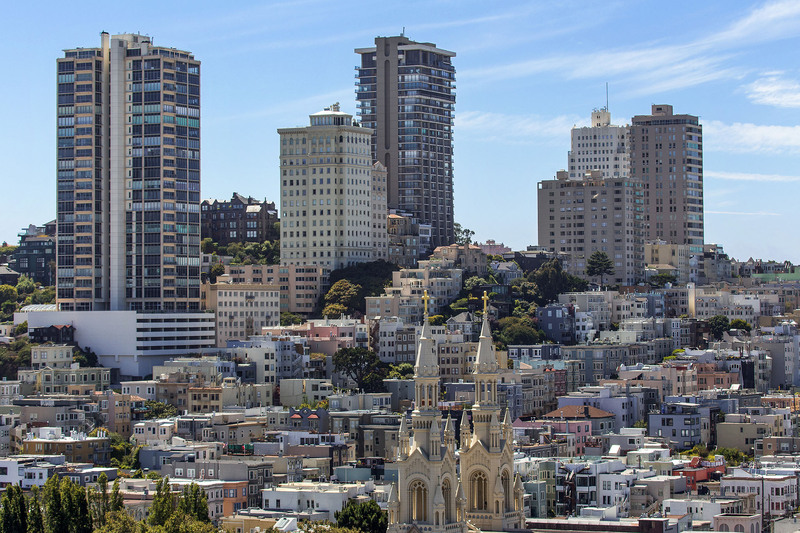 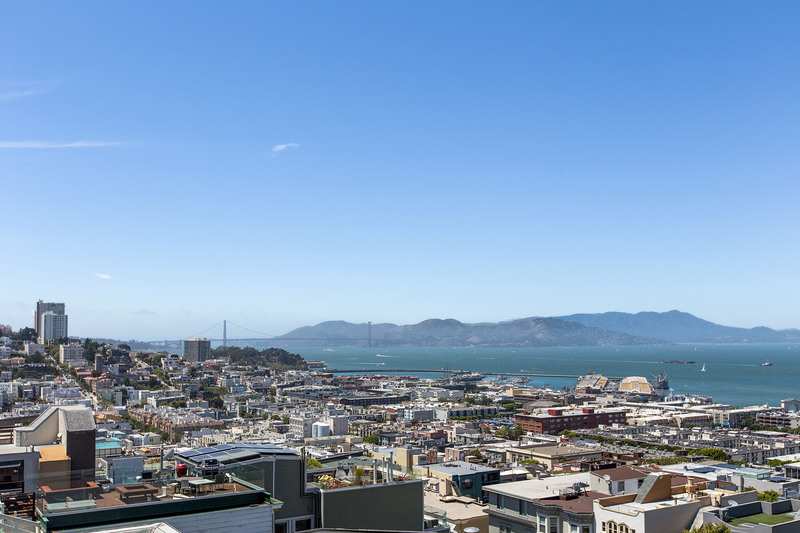 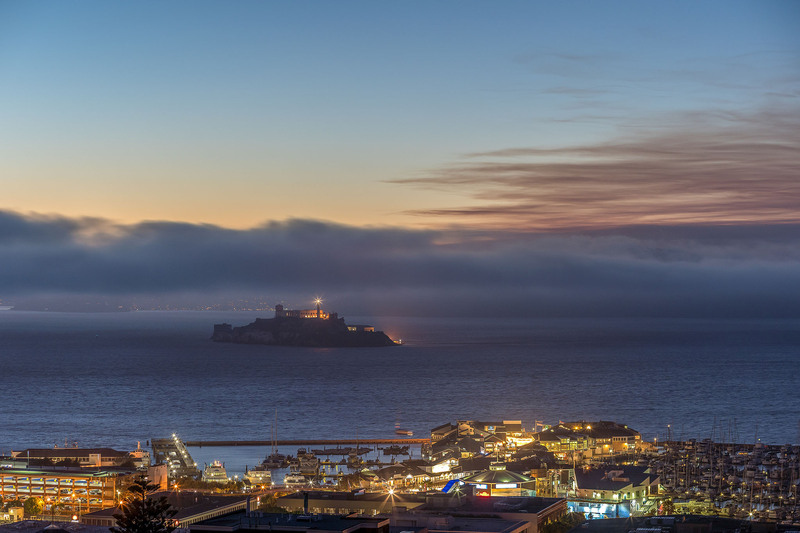 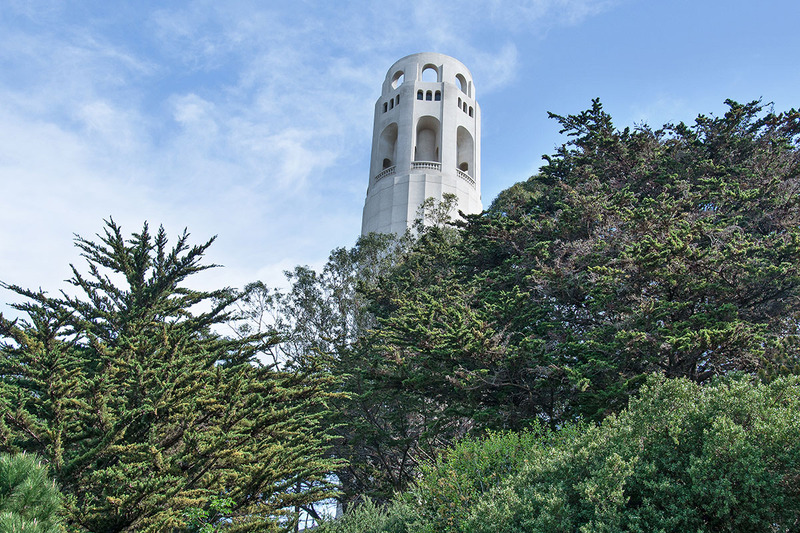 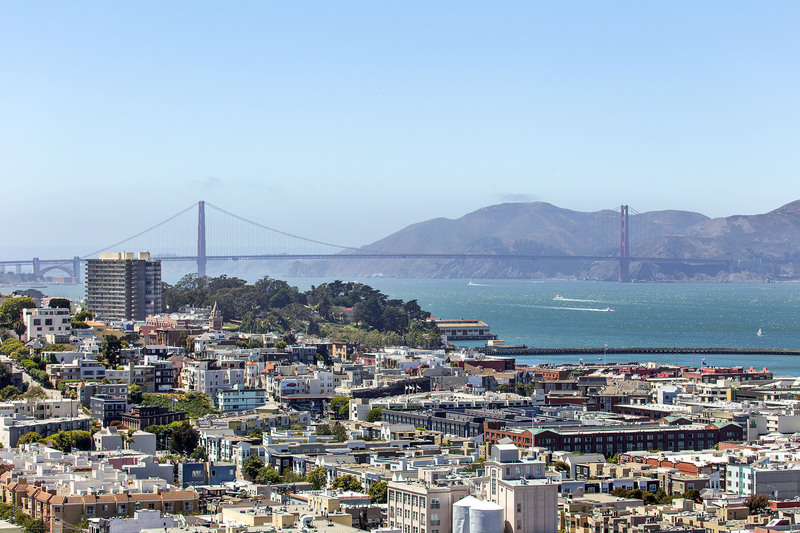 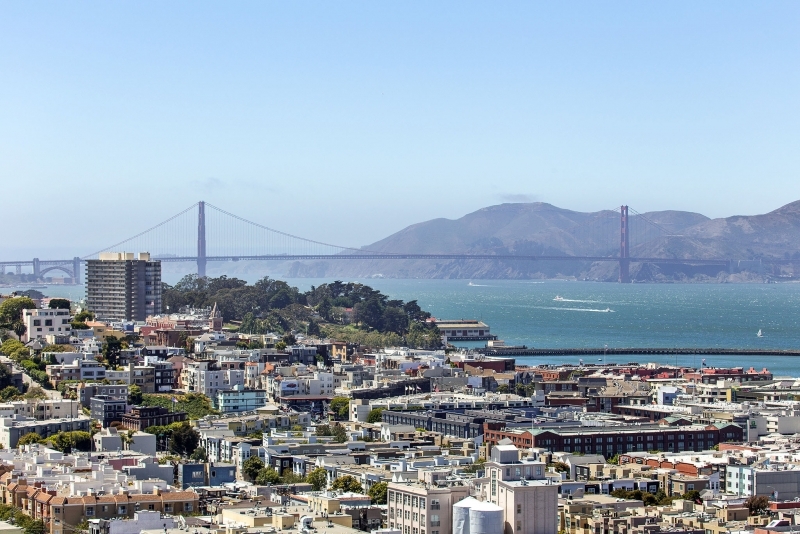 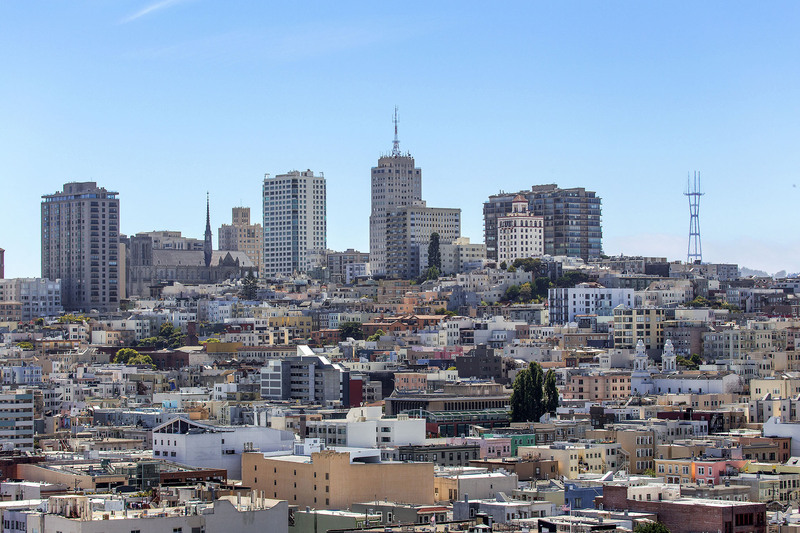 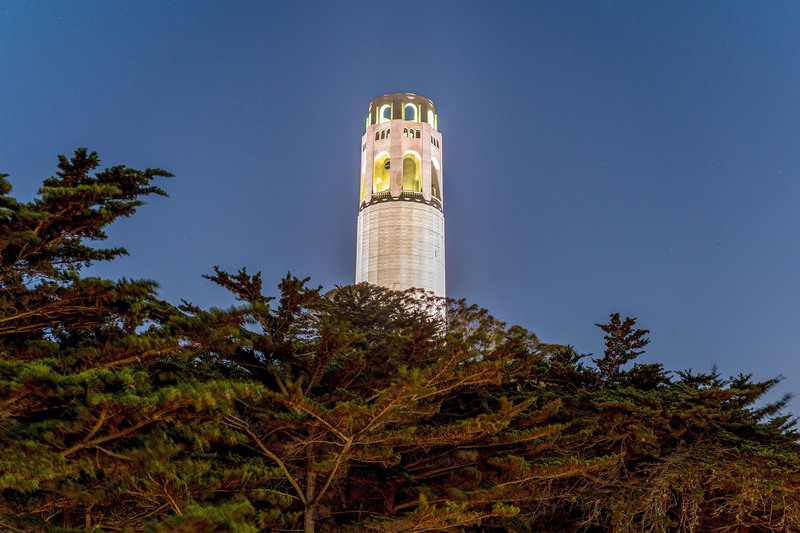 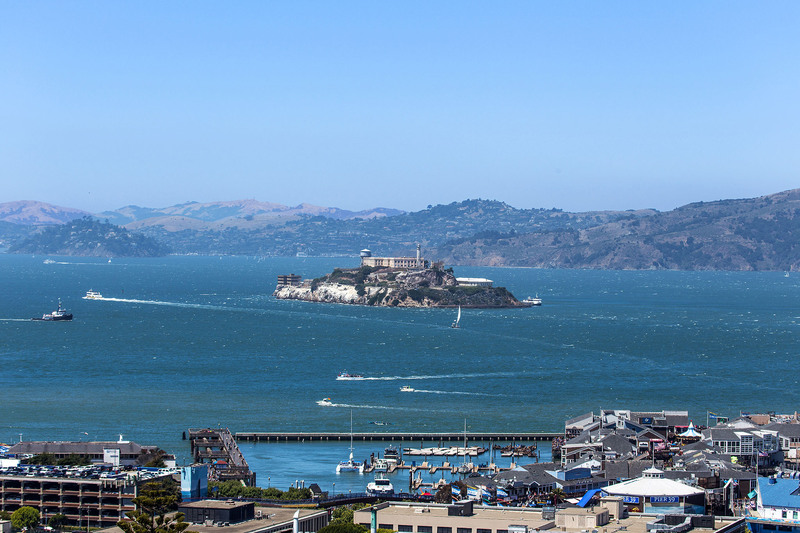 The view from the top of Coit Tower draws tourists from around the world.